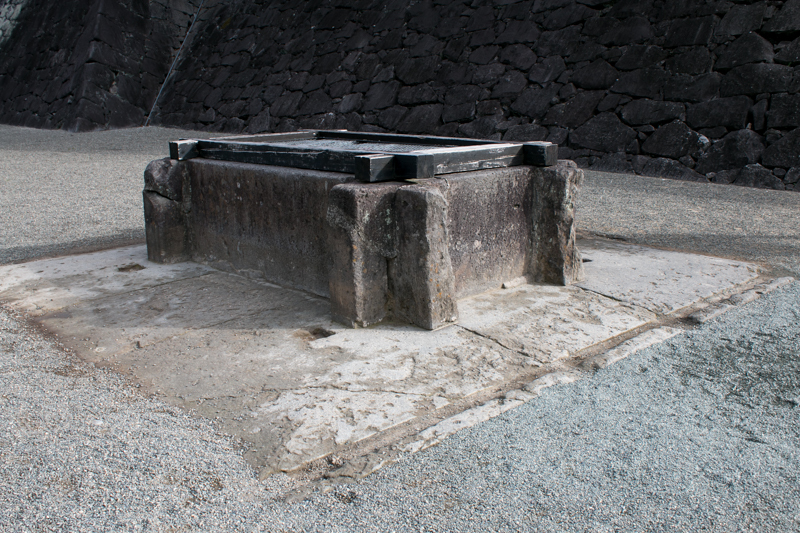 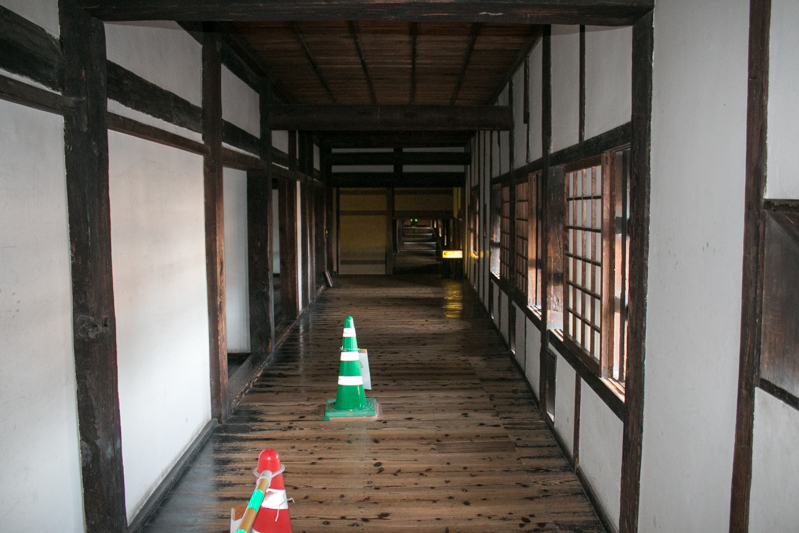 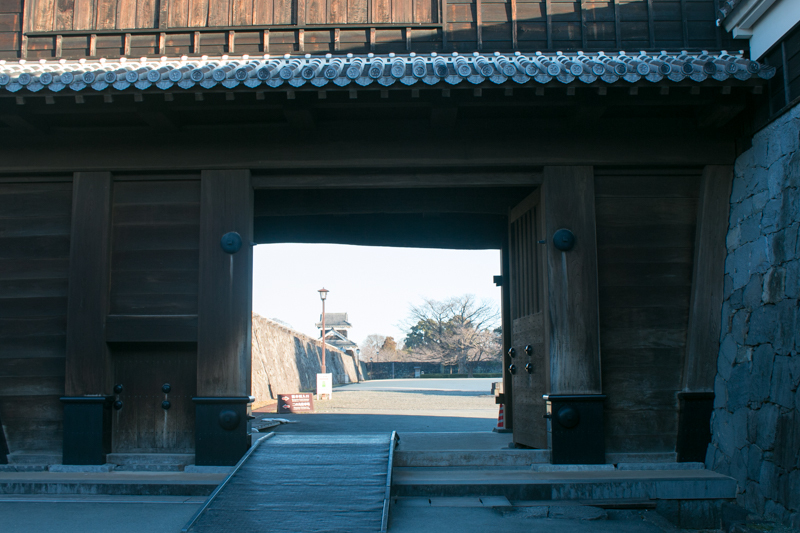 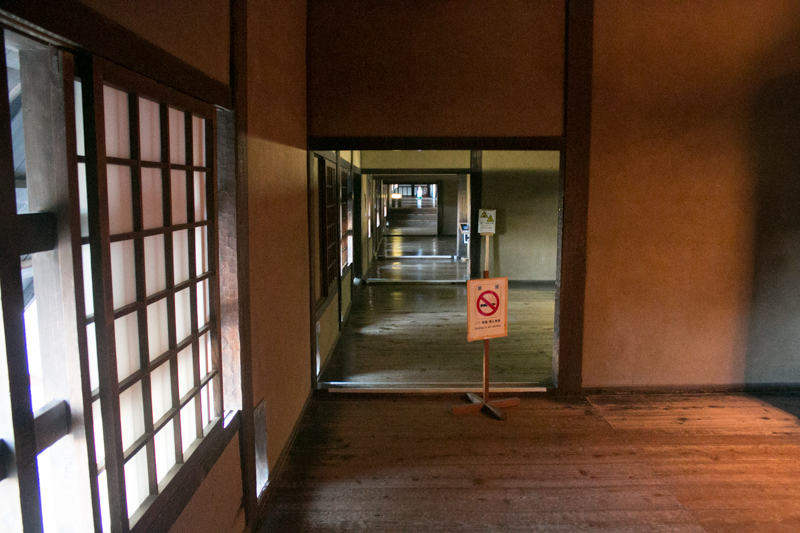 Kumamoto castle was severely damaged by severe earthquake in 2016 and now entrance into most part of the castle is still prohibited. Most part of posted pictures were taken before earthquake, except for several dozen pictures posted at the last of part 2. 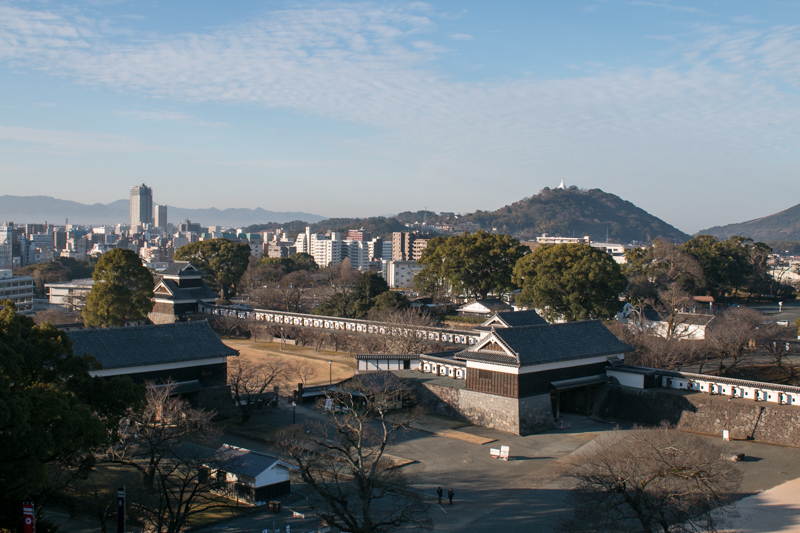 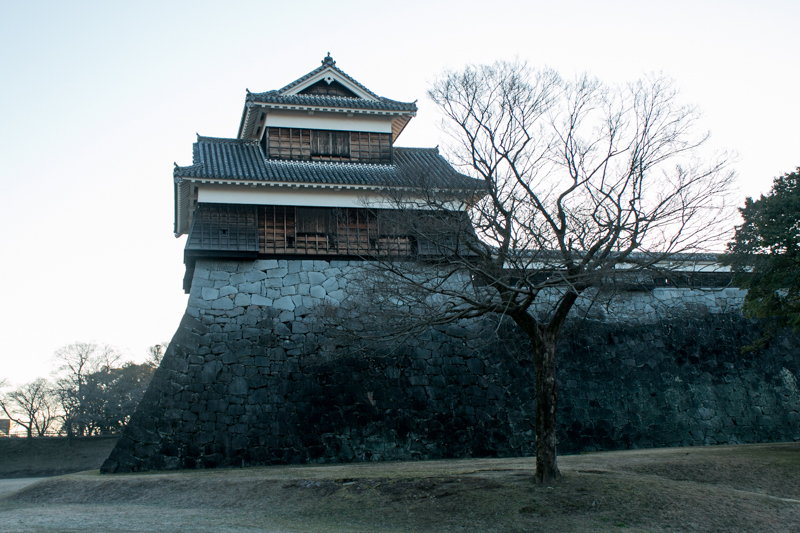 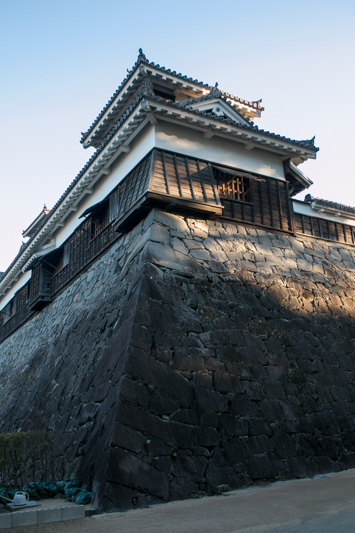 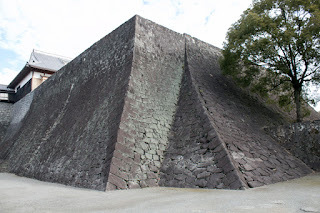 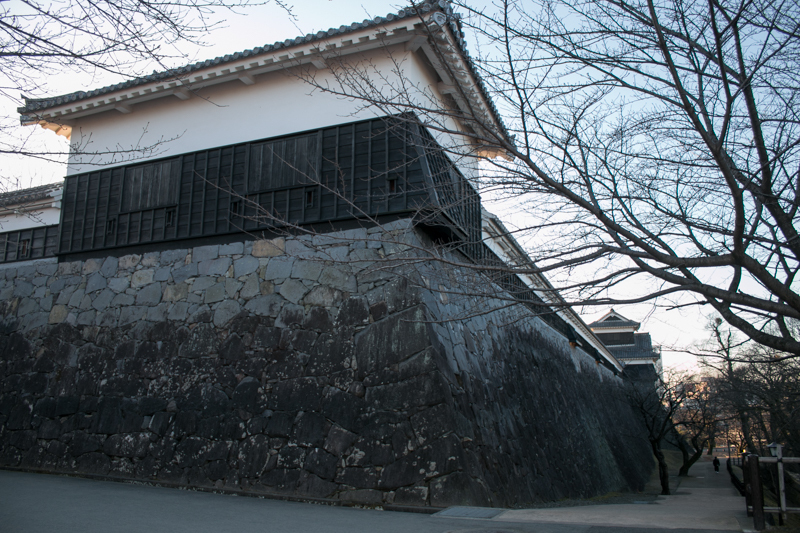 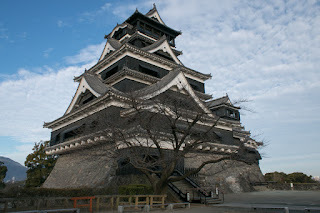 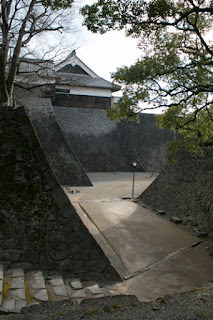 Kumamoto castle (熊本城) is located over a wide hill at the center of Kumamoto city. 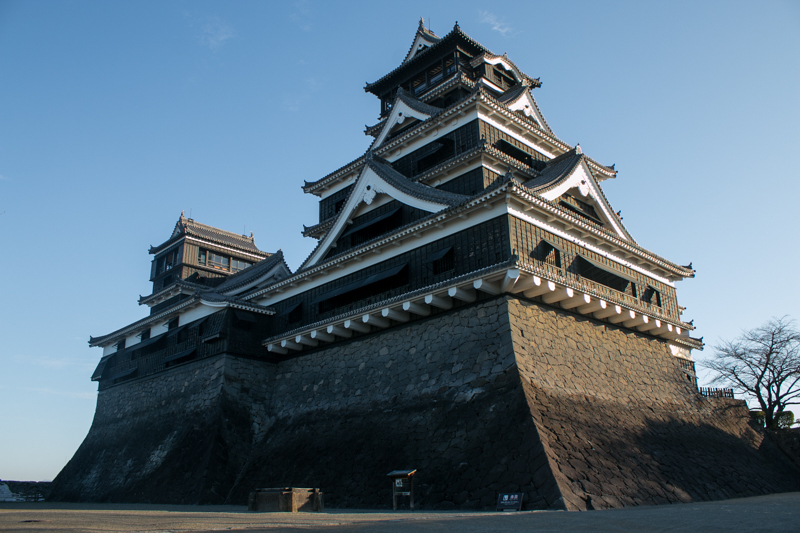 Kumamoto area is a plain at the mouth of river in the middle west part of Kyushu island, and geographically a center of Kyushu island. 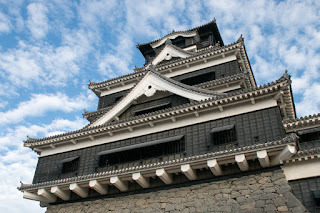 Now Kumamoto area is a connection point of roads or railways from north part of Kyushu island such as Fukuoaka city or Kitakyushu city, east part of the island like Oita area, and south part of the island including Kagoshima city. 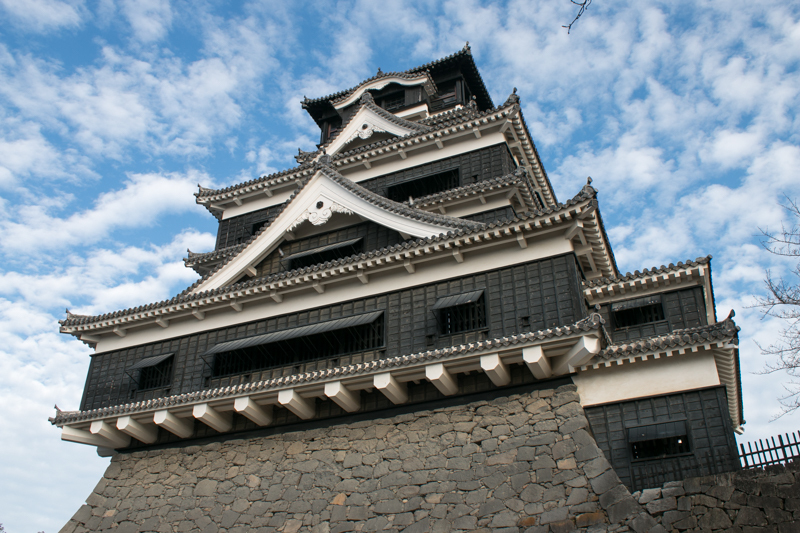 Utilizing this condition and agricultural production, Kumamoto area became an important area on and after Edo era. 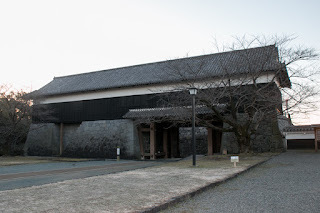 In medieval era, Higo province (Kumamoto prefecture) were divided by three large clans, which was Kikuchi clan at the northwestern part of the province, Sagara clan at the south edge and Aso clan which was the house of priest of Aso Daijingu shrine at the east part near Aso mountain. 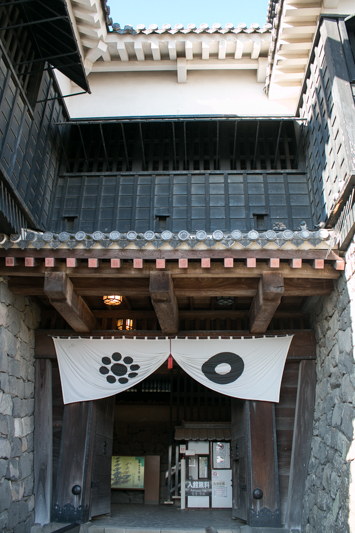 Kikuchi clan was a traditional clan stem from 11th century, and once was appointed as the governor of Higo province by Muromachi Shogunate. 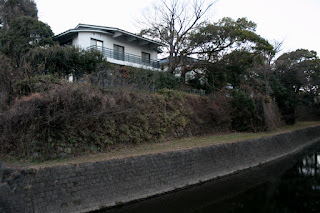 Kikuchi clan ordered his retainer Ideta clan to build a castle named Chiba castle at the southeast edge of the height(current NHK broadcasting center), and this was the origin of Kumamoto castle. But Kikuchi clan ruined by internal conflict by the end of 15th century, and Higo province became highly affected by external powers. 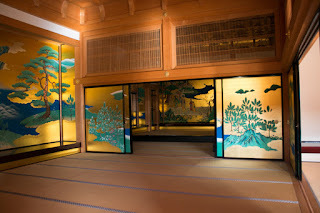 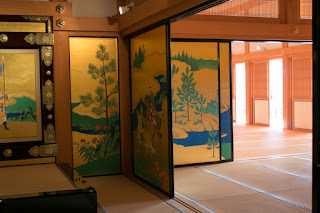 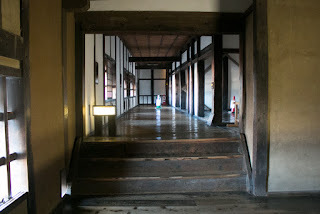 In the middle of 16th century, Otomo clan, a house of the governor of Bungo province (Oita prefecture), grew their power under Yoshishige Otomo (1530-1587, also known as his Buddhist name Sorin). 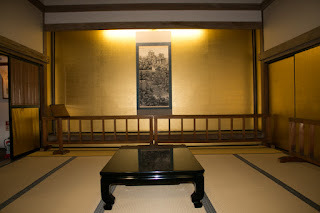 After the fall of Ouchi clan, the distinguished and strong warlord of Suo province (Yamaguchi province), Otomo clan exercised their influence around the north part of Kyushu island, and local lords of Higo province followed Otomo clan. 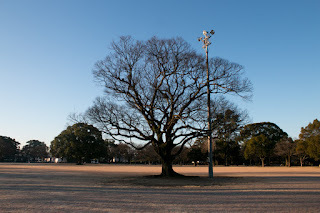 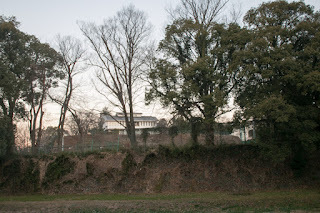 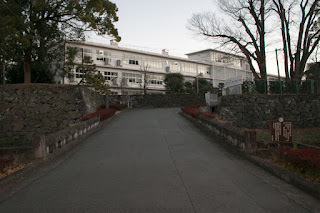 Remaining Kikuchi lord who followed Otomo clan next ordered his retainer Kanokogi clan to build old Kumamoto castle, at the southwest of the height currently the place of high school. 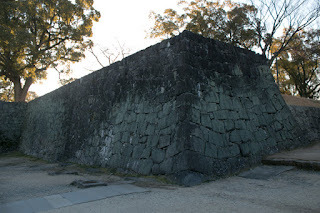 But Kikuchi clan and Kanokogi clan was involved in the incident of Nikaikuzure, an internal conflict of Otomo clan and were expelled, then Jyo clan became the commander of old Kumamoto castle. 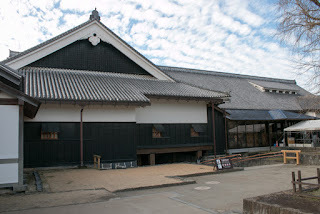 But after 1560’s, Shimazu clan, the house of the governor of Satsuma province (western half of Kagoshima prefecture), overcame long internal conflict under Takahisa Shimazu (1514-1571) and started to expand their territory. 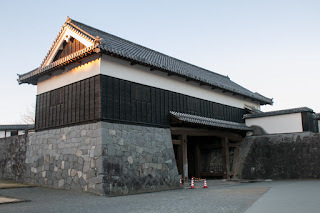 Under next leader Yoshihisa Shimazu (1533-1611), being supported by brilliant younger brothers such as Yoshihiro Shimazu (1535-1619), Toshihisa Shimazu (1537-1592) and Toshihisa Shimazu (1547-1587), Shimazu clan united Satsuma country by 1570 and next captured Osumi province (east half of Kagoshima prefecture) . 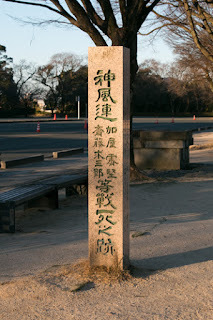 In 1570, the power of Shimazu clan reached to Higo province and Hyuga province (Miyazaki prefecture). 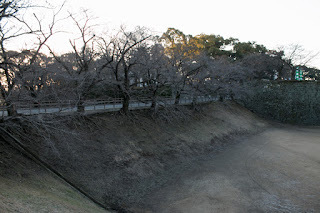 Seeing this situation Yoshishige Otomo led large army and attacked Shimazu clan in 1578, but suffered a fatal defeat before “Tsurinobuse” (ambush tactics) of Shimazu clan at the battle of Mimikawa. Otomo clan lost many generals and soldiers, then the power of Otomo clan and Shimazu clan reversed. 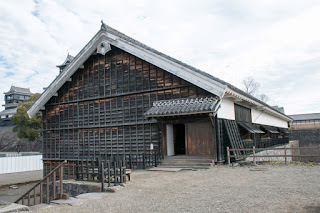 Shimazu clan who won against Otomo clan aggressively attacked Higo province. 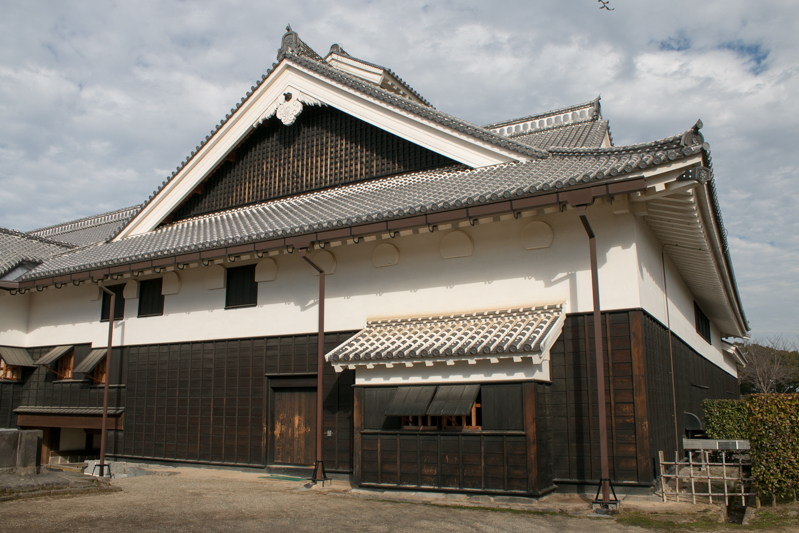 Sagara clan stood the attack of Shimazu clan during nearly 10 years, but finally subordinated to Shimazu clan by the end of 1570’s. 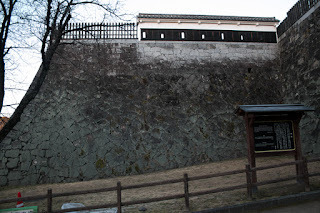 Aso clan left weakened Otomo clan tried to kept independence between both clans, but was finally attacked by Shimazu clan and ruined. 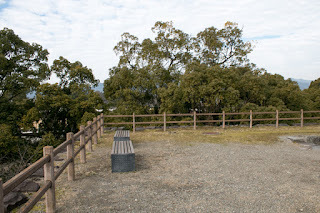 Around 1580 Takanobu Ryuzoji (1529-1584), a warlord of Hizen province (Saga prefecture) called as “the bear of Hizen” temporally grew and exercised his power at the north part of Higo province, but Takanobu died at the battle of Okitanawate in 1584, and Shimazu clan finally captured Higo province then. 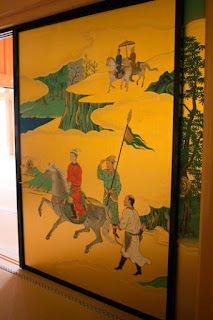 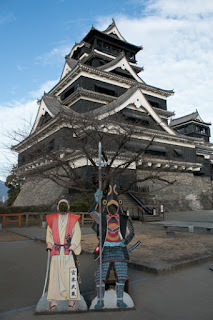 Jyo clan who had old Kumamoto castle also followed Shimazu clan. 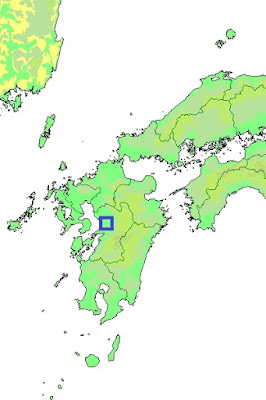 Shimazu clan who let Ryuzoji clan subordinate strengthened their attack to Otomo clan and once almost united Kyushu island. 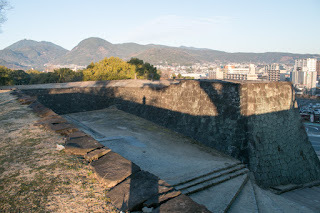 But central ruler Hideyoshi Toyotomi (1537-1598) supported Otomo clan to prevent expansion of Shimazu clan, and in 1587 Hideyoshi lead nearly 100,000 army and arrived at Kyushu island. 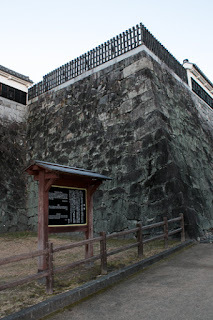 As lords of north part of Kyushu island turned or surrendered to Hideyoshi, Shimazu clan disposed north half of Kyushu island and tried to secure south part of the island. But Shimazu clan failed attack to Toyotomi army at the battle of Nejirozaka, and finally decided to surrender to Hideyoshi. Higo province was confiscated by Hideyoshi, and Hideyoshi at first placed Narimasa Sasa (1536-1599) as a lord of the province. 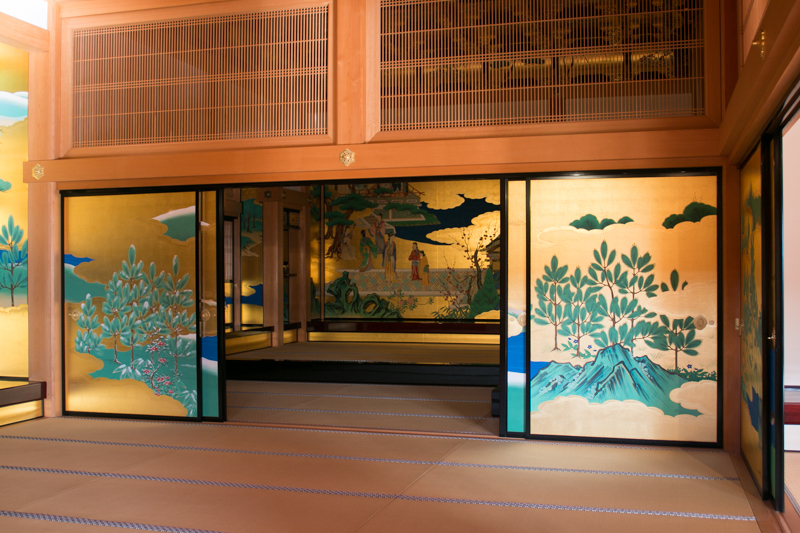 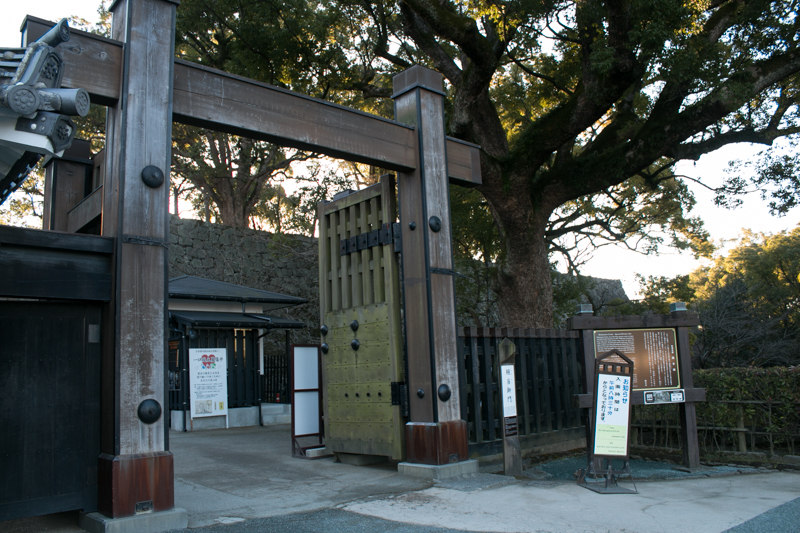 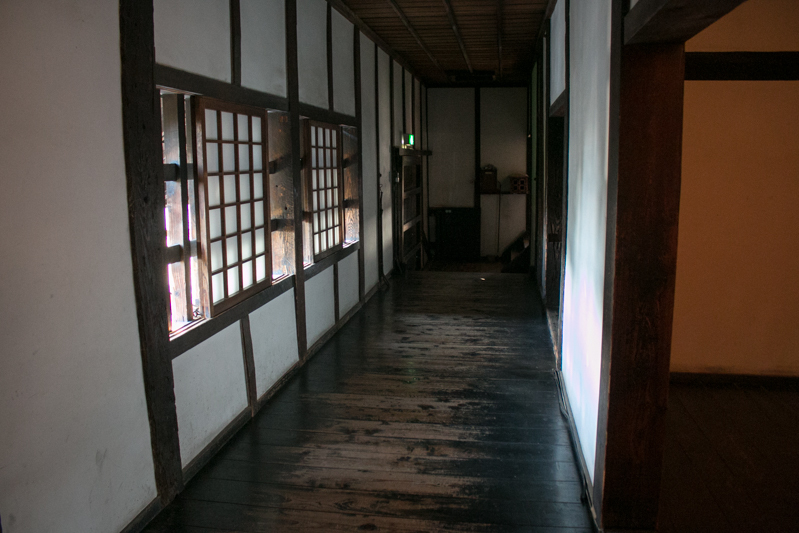 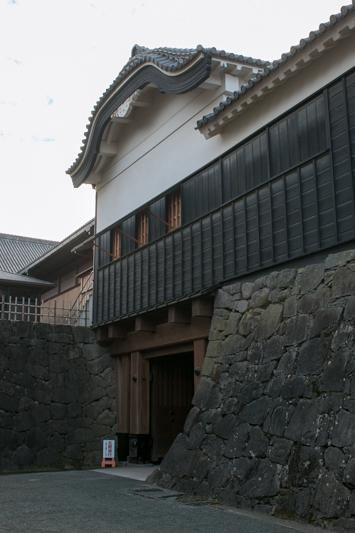 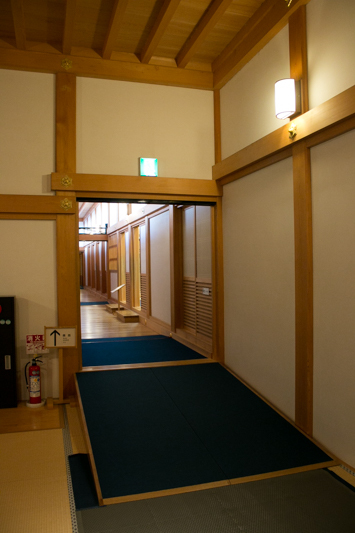 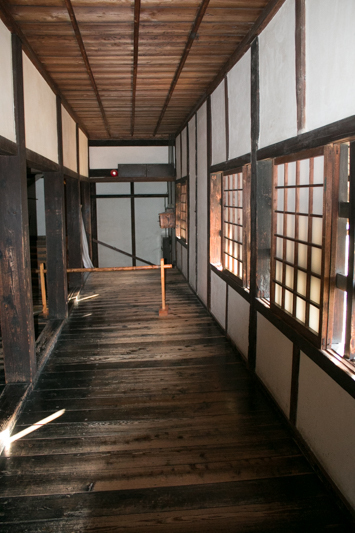 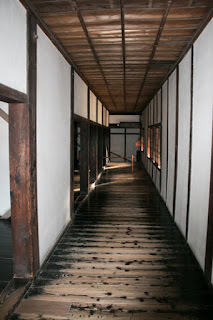 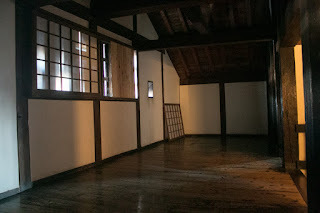 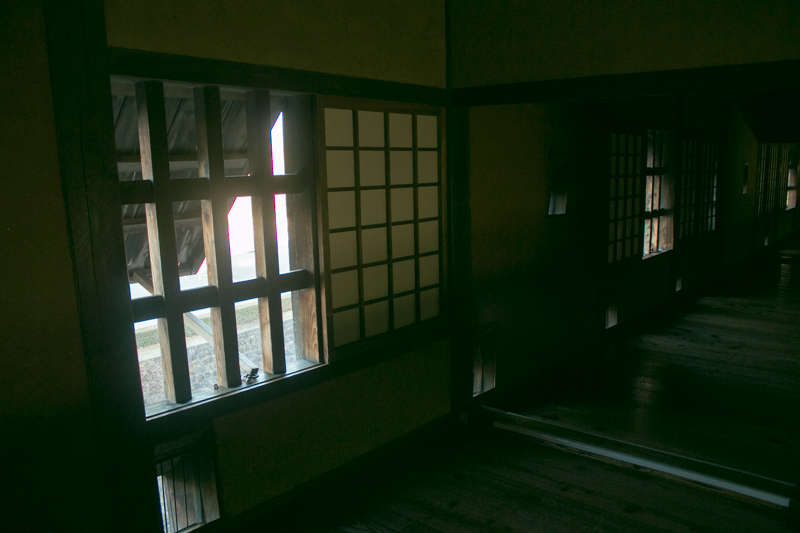 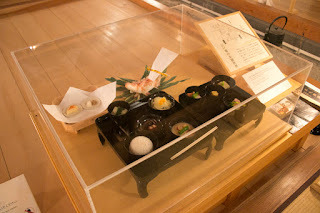 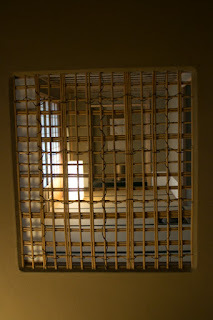 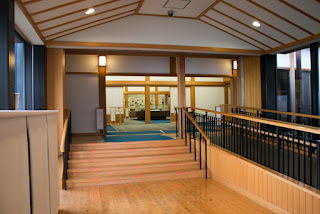 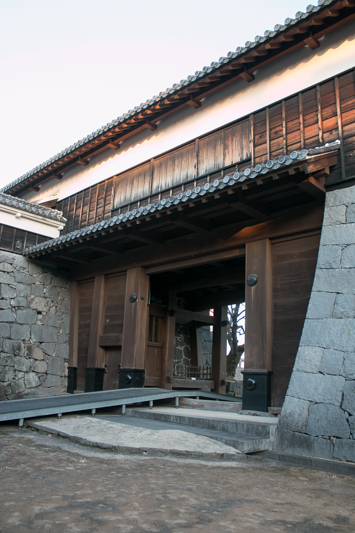 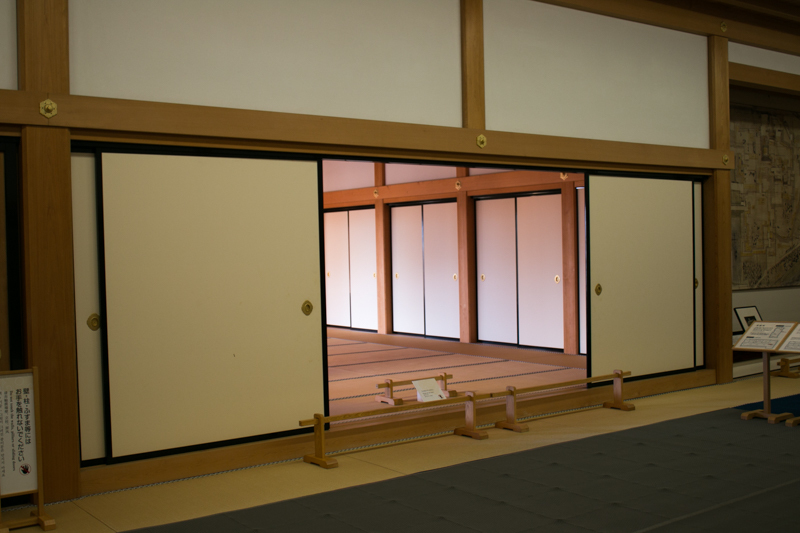 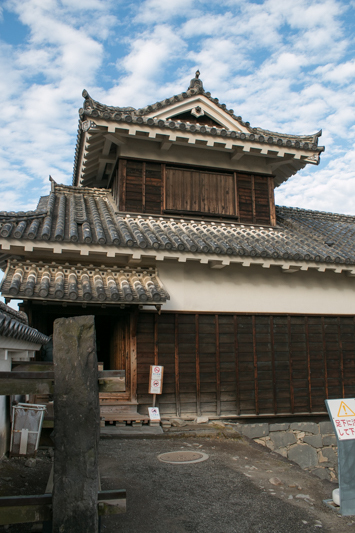 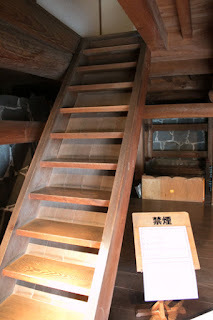 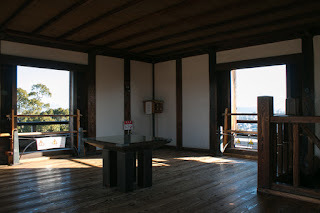 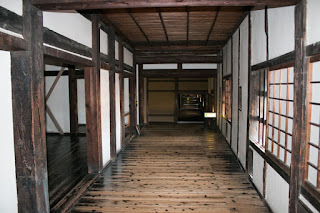 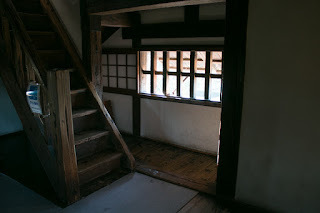 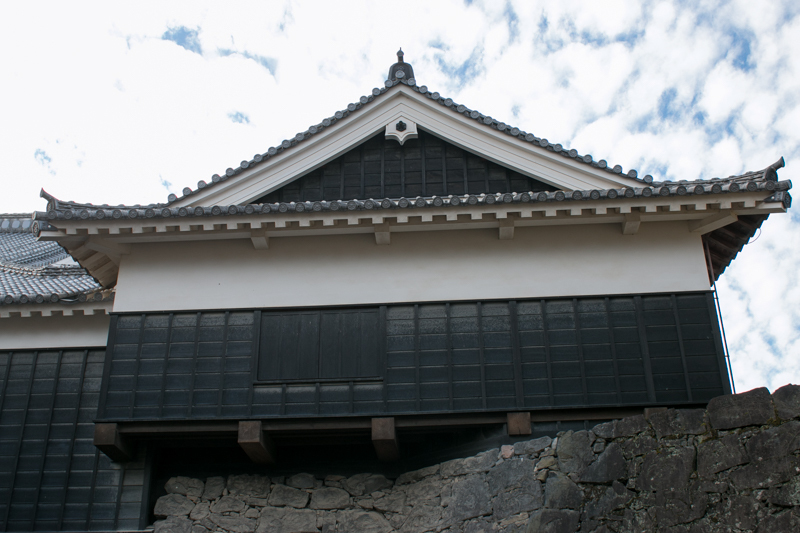 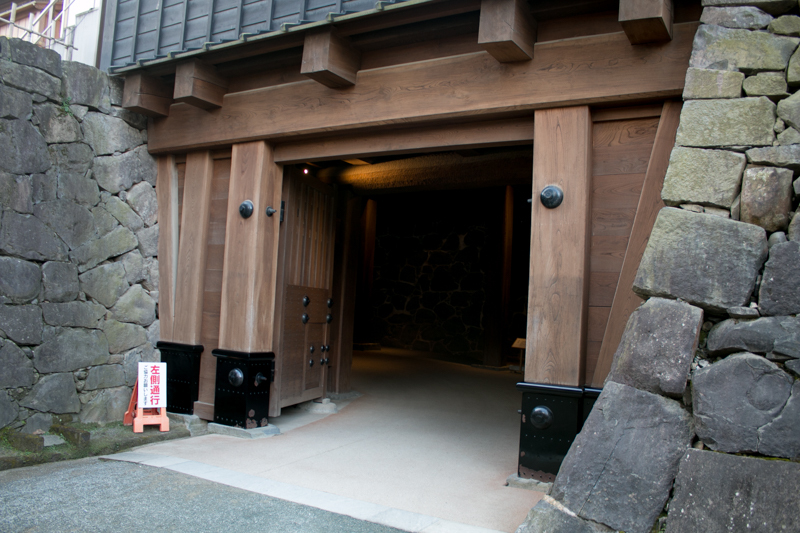 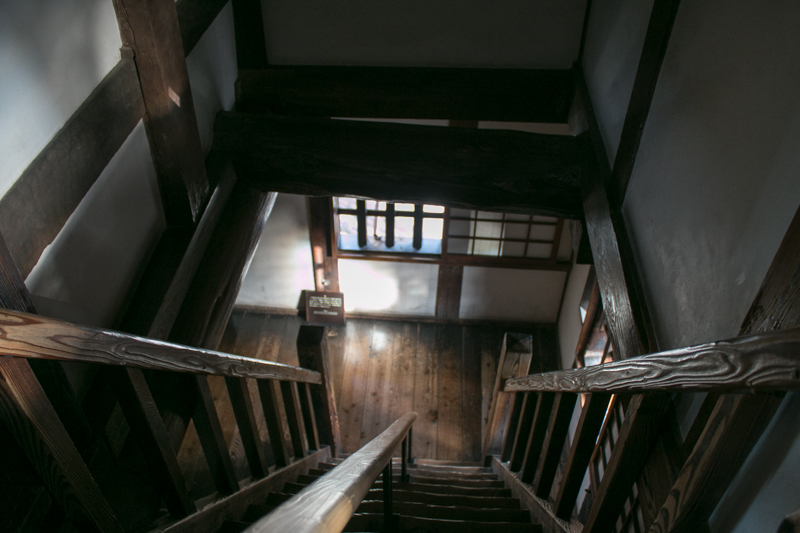 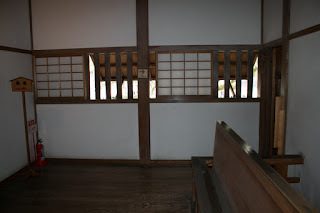 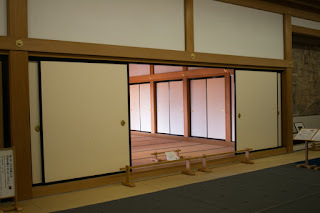 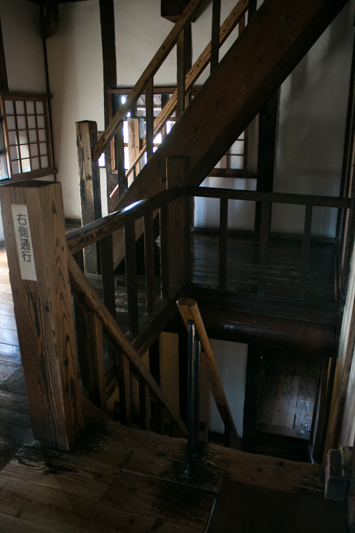 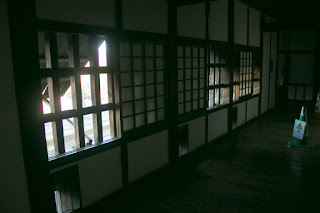 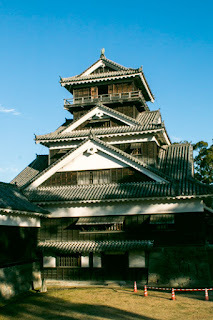 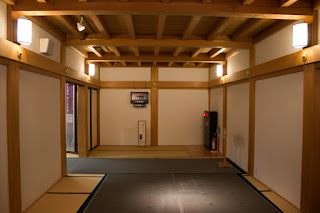 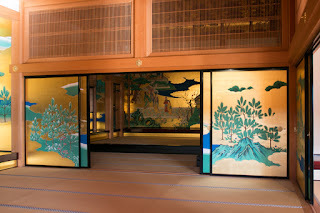 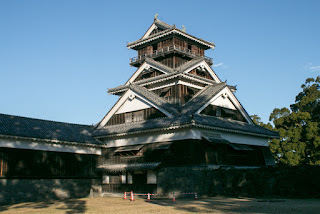 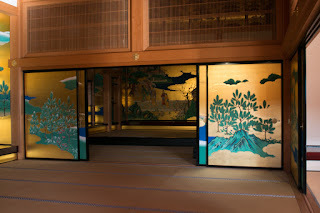 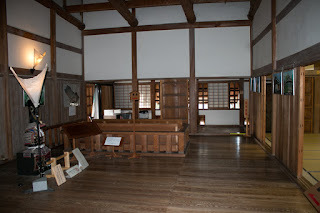 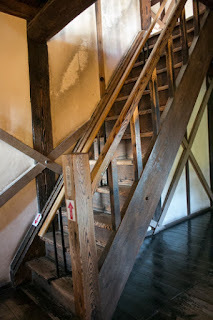 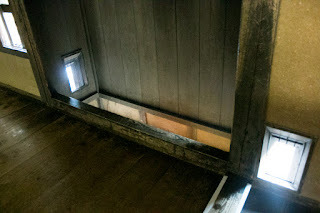 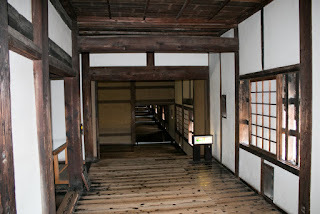 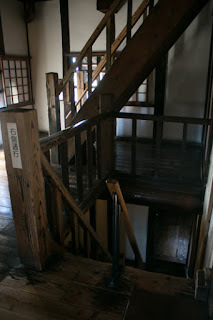 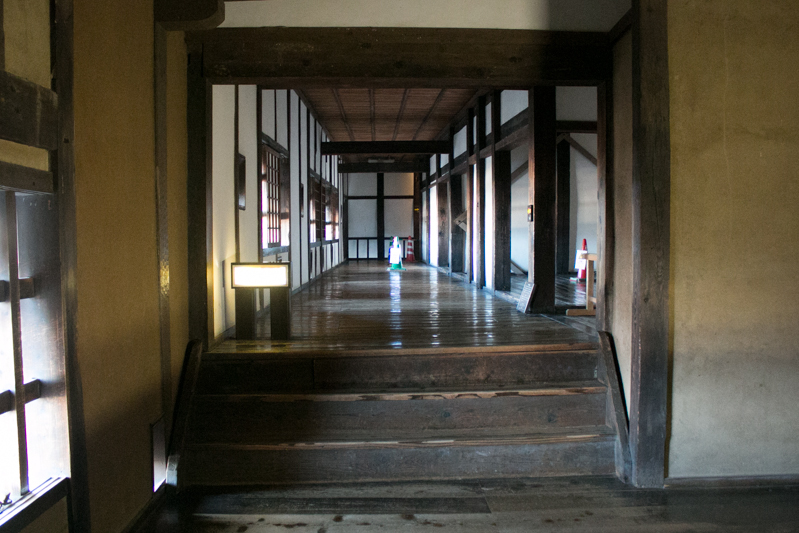 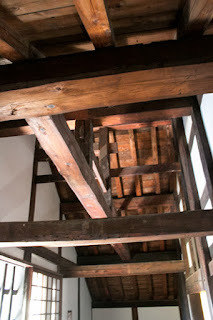 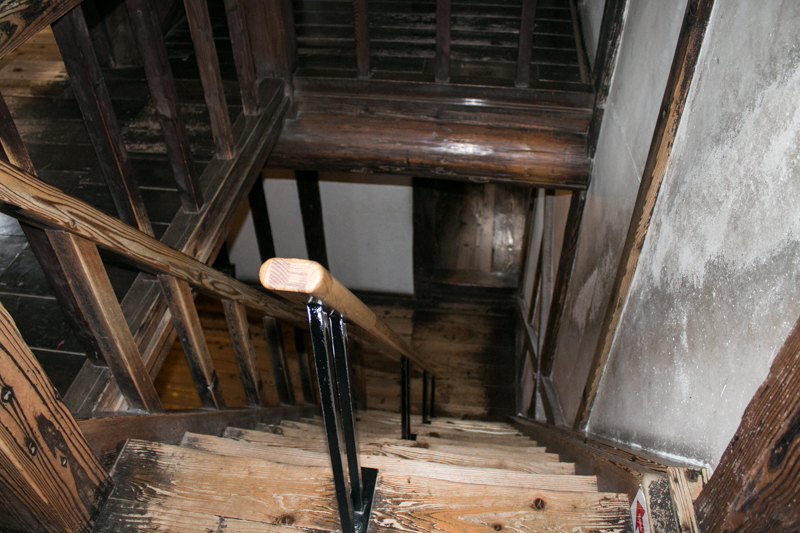 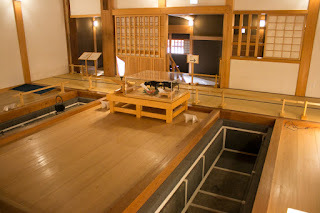 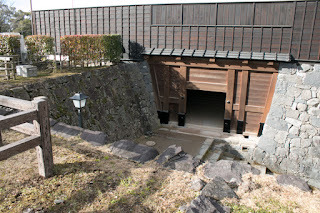 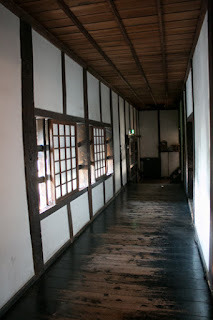 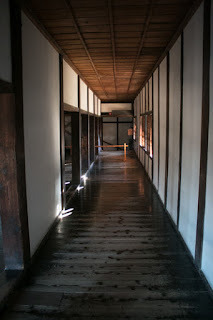 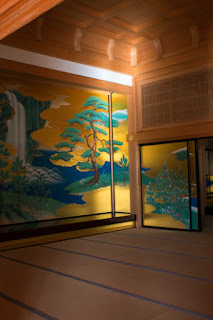 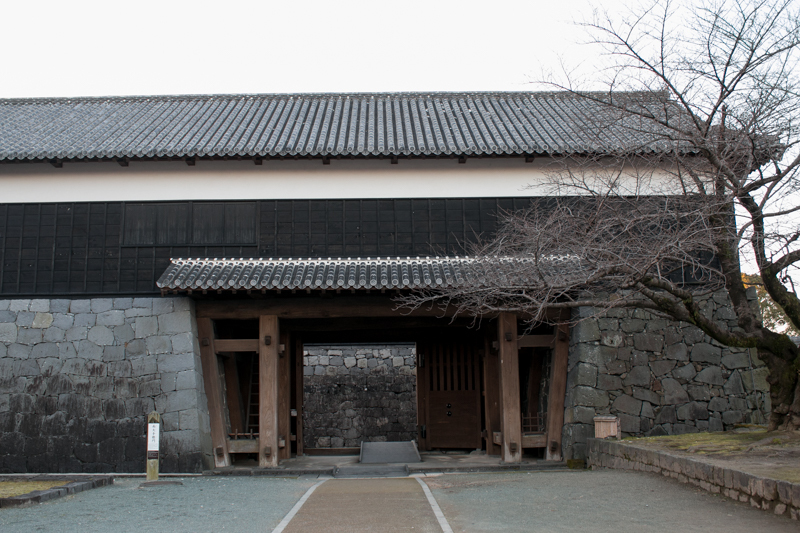 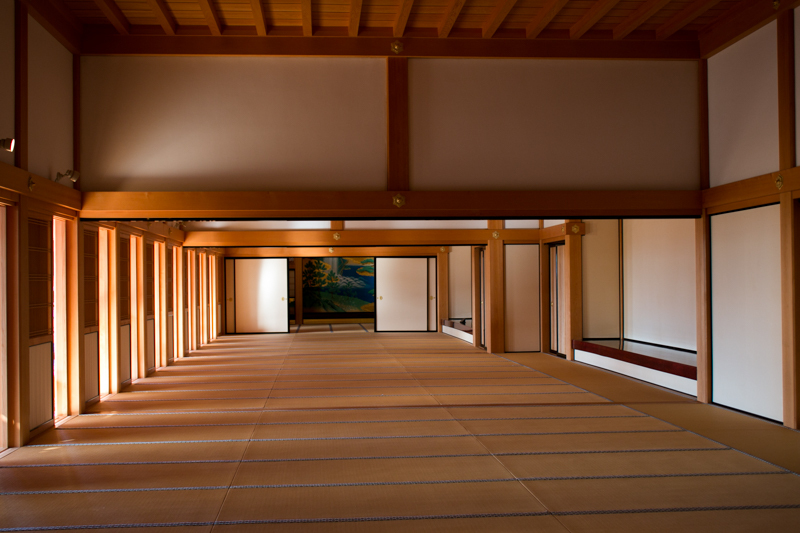 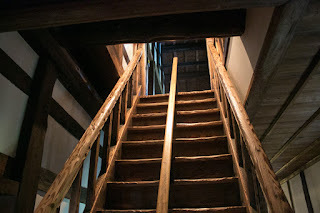 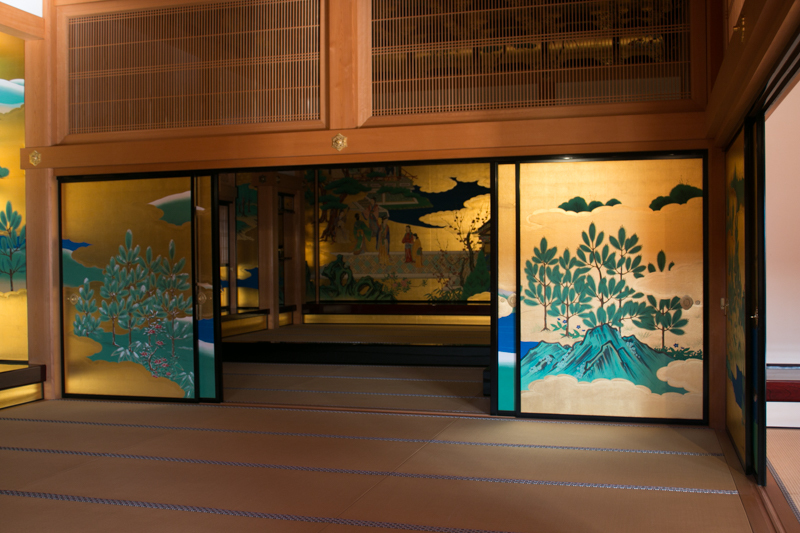 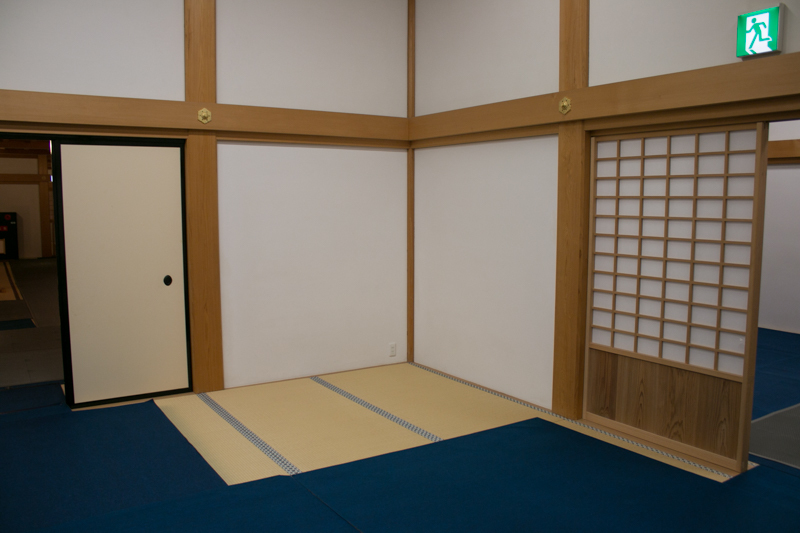 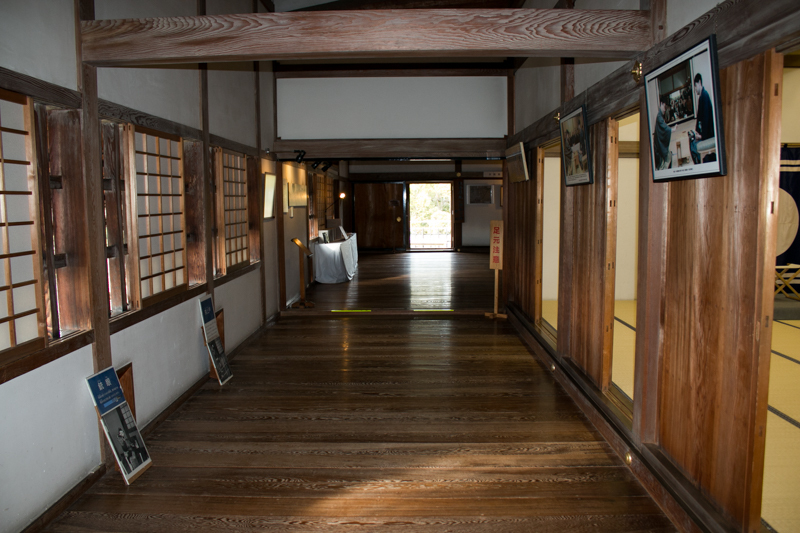 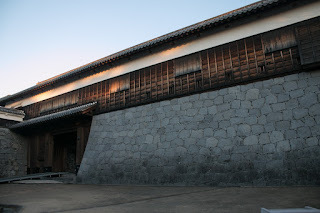 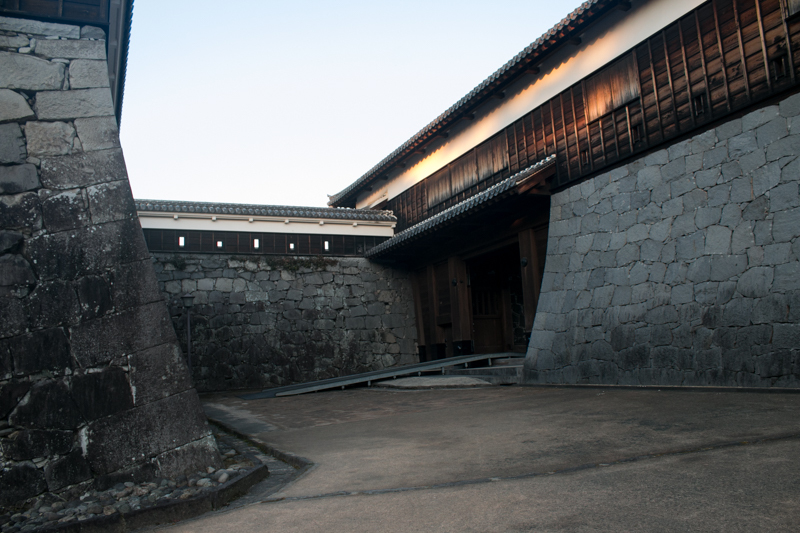 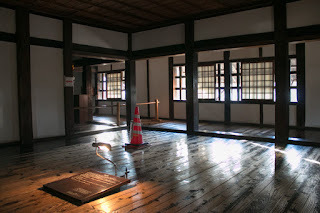 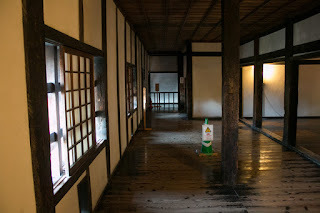 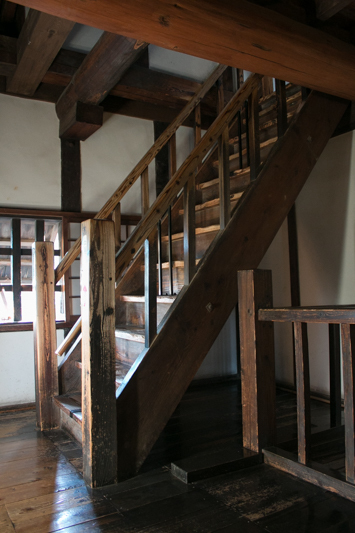 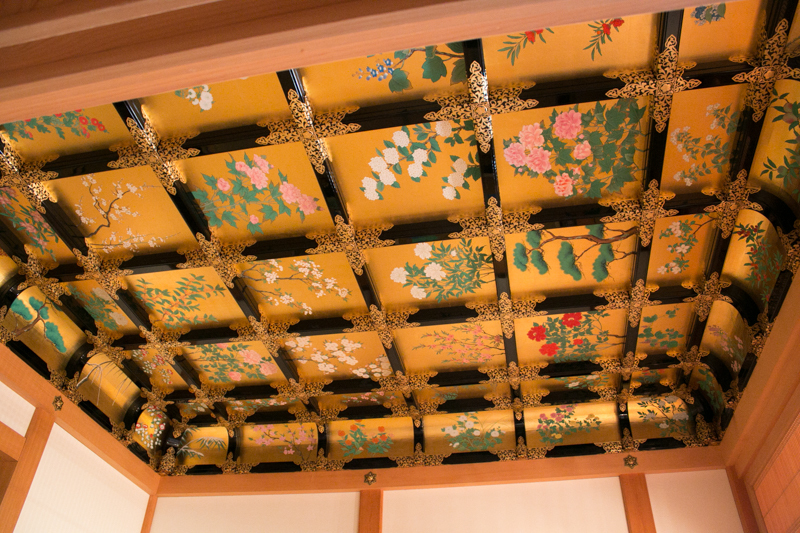 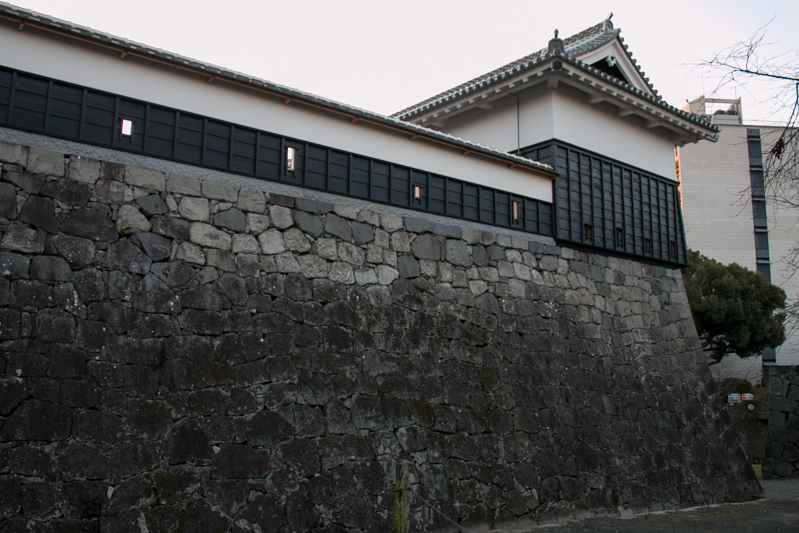 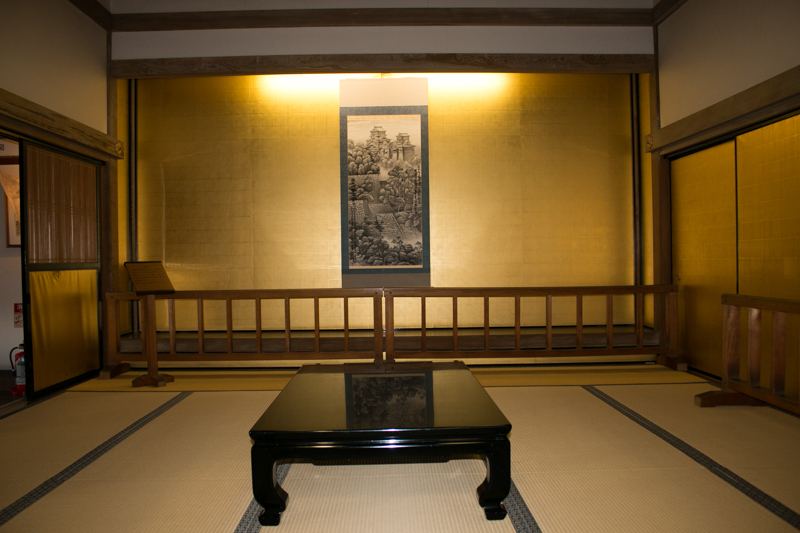 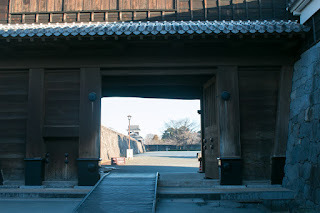 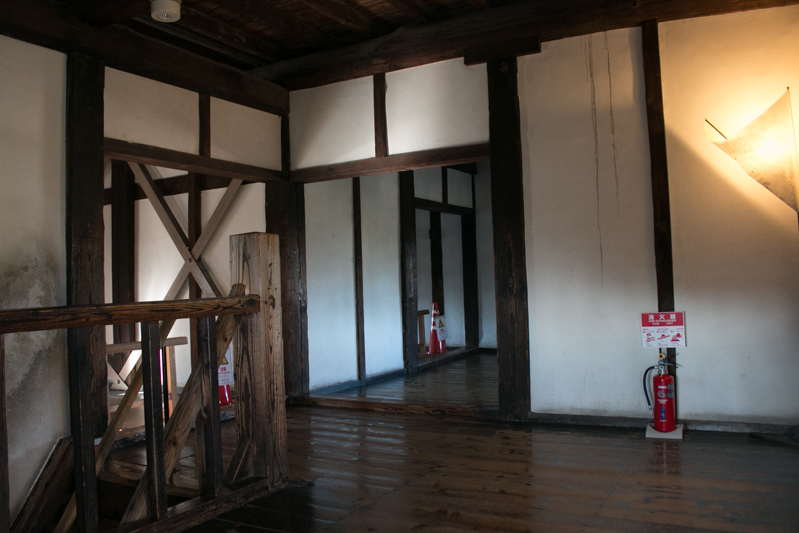 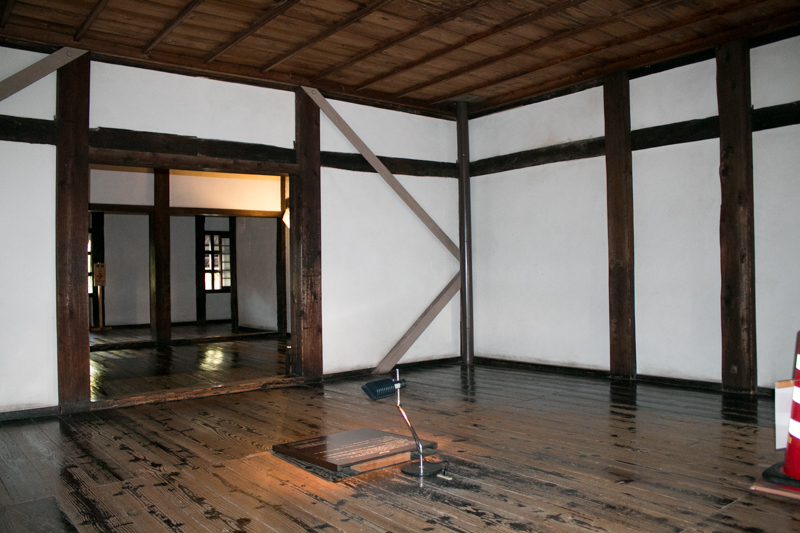 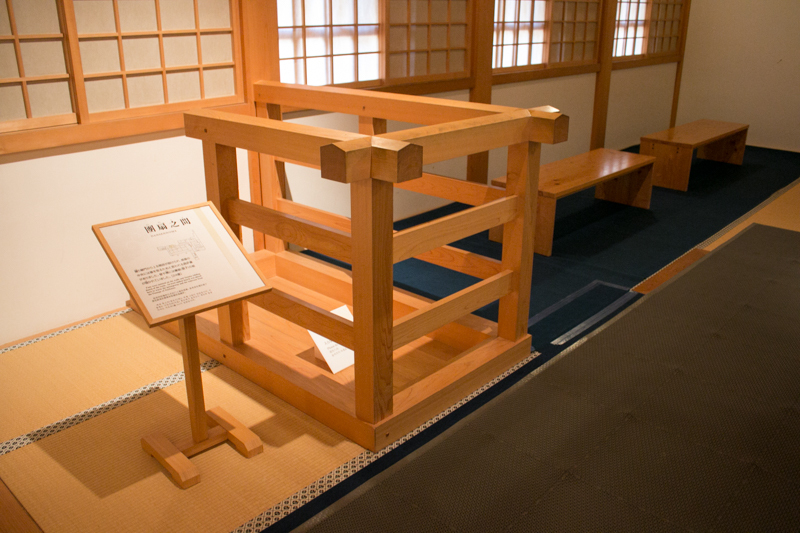 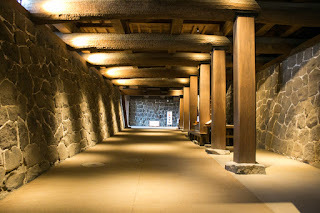 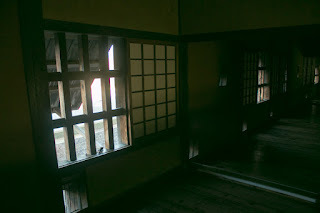 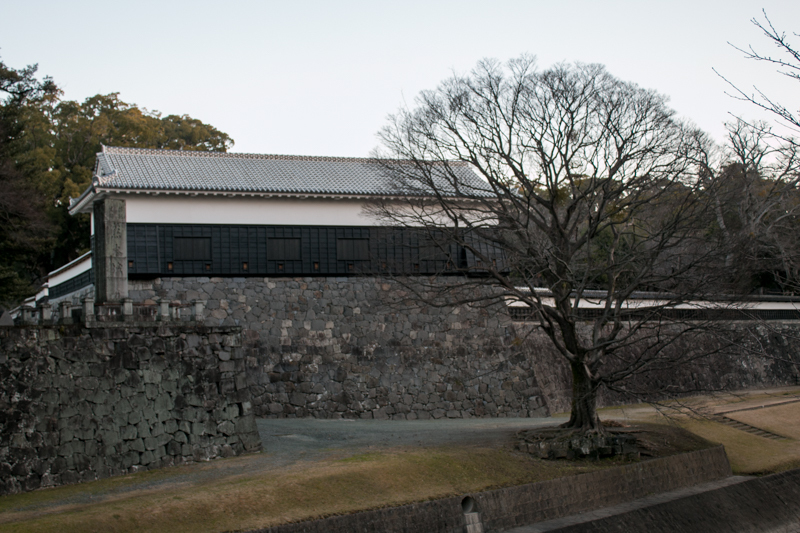 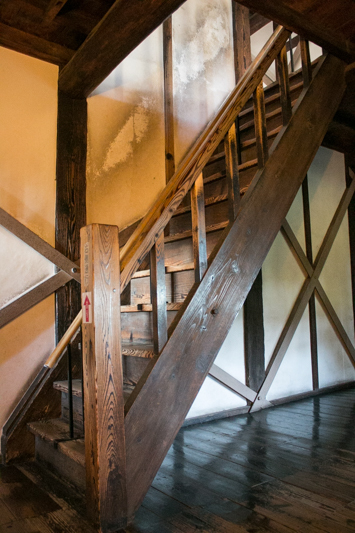 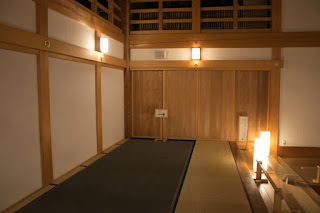 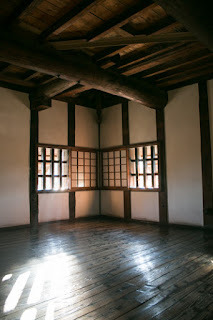 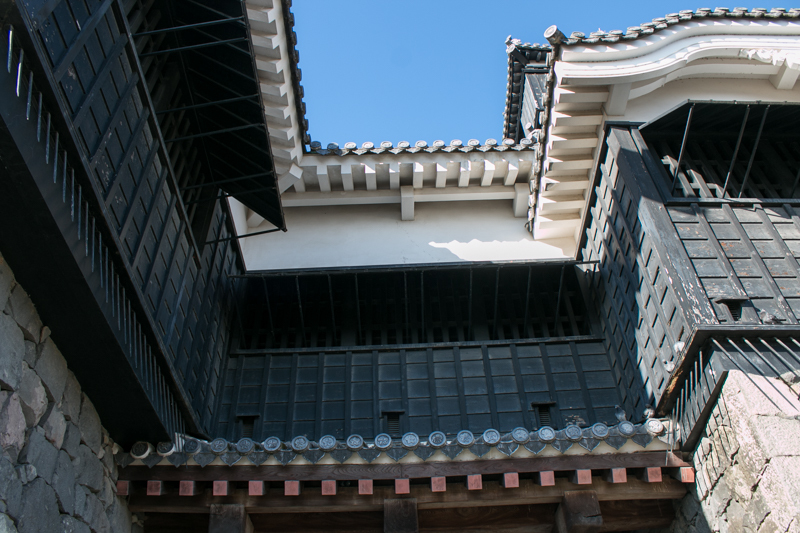 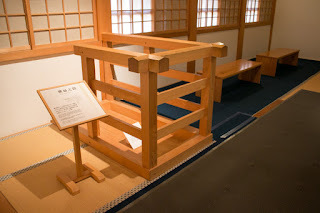 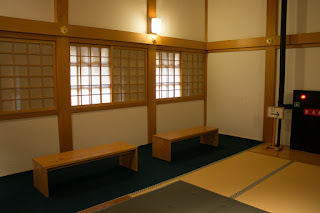 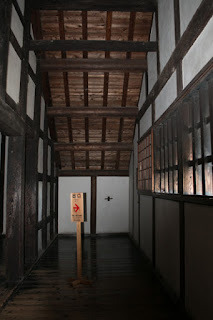 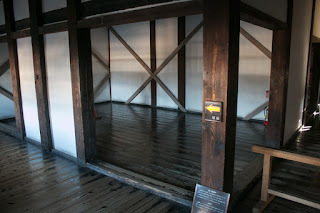 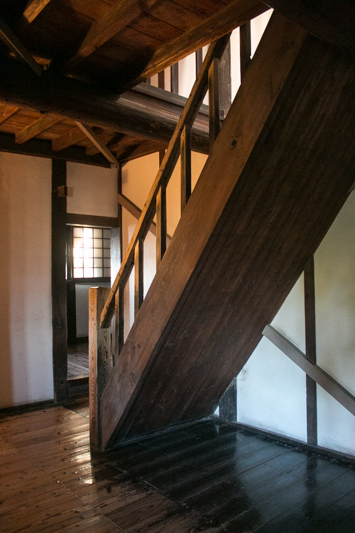 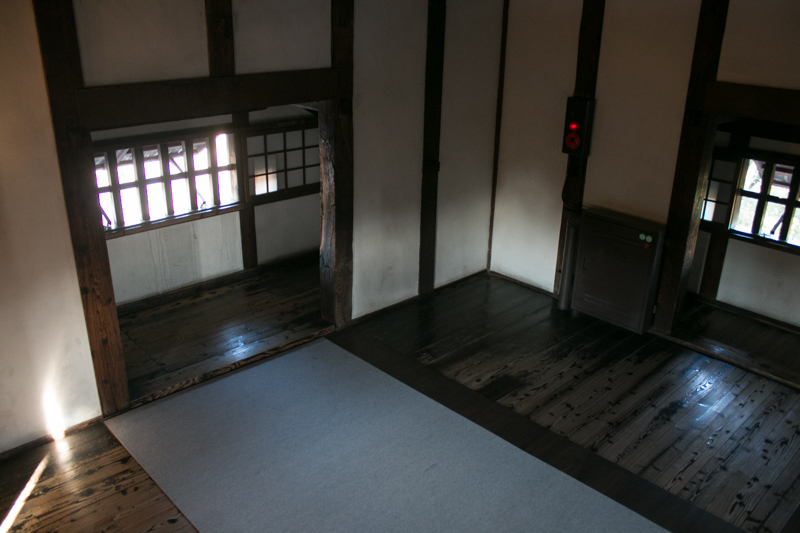 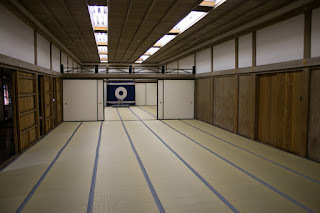 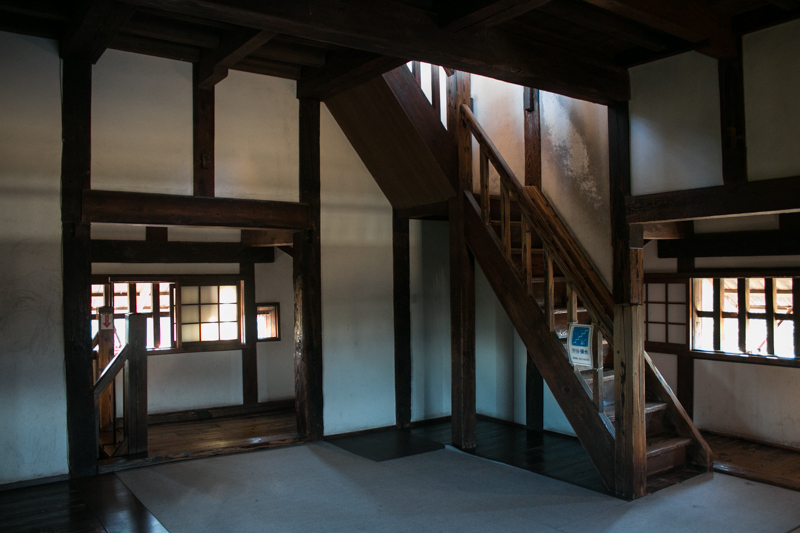 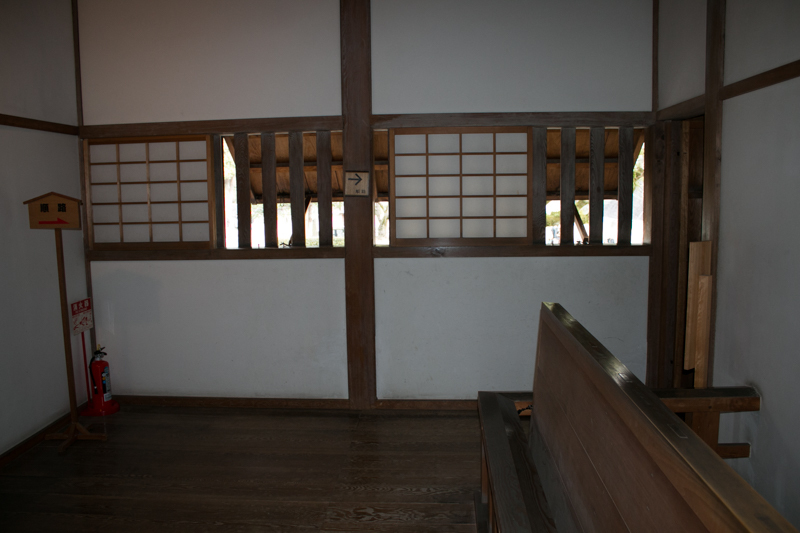 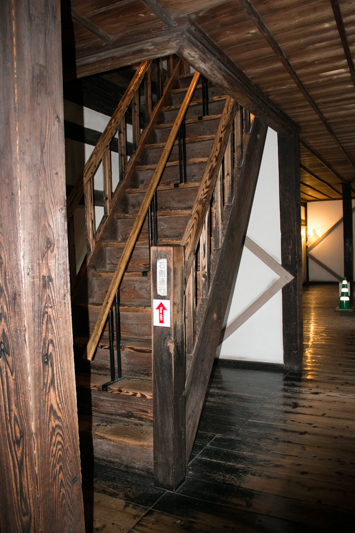 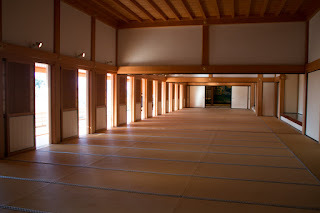 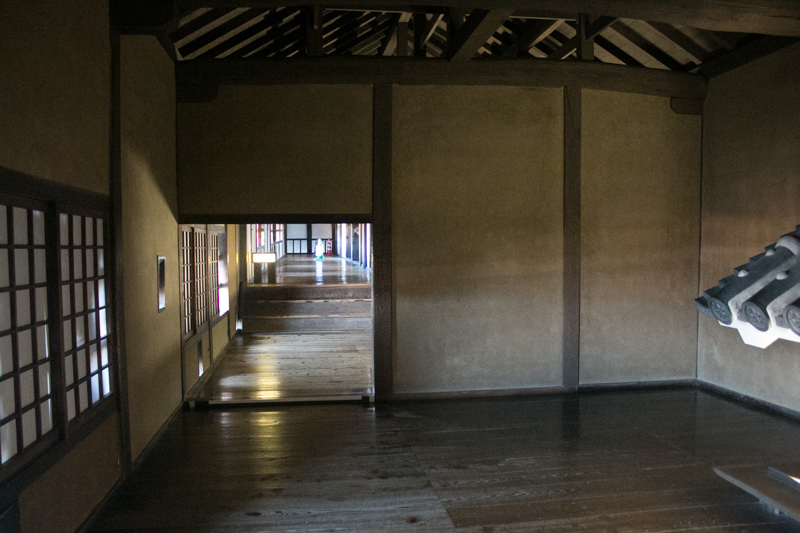 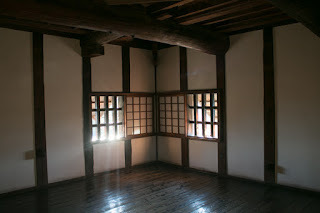 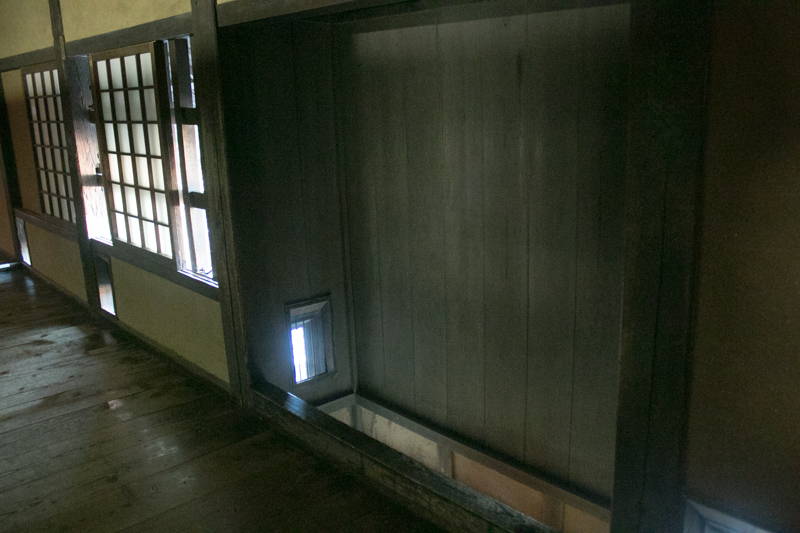 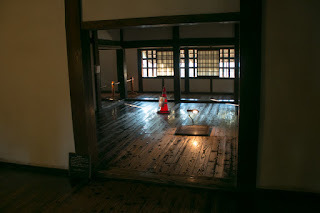 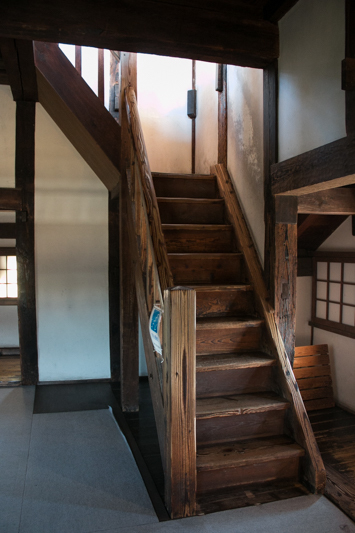 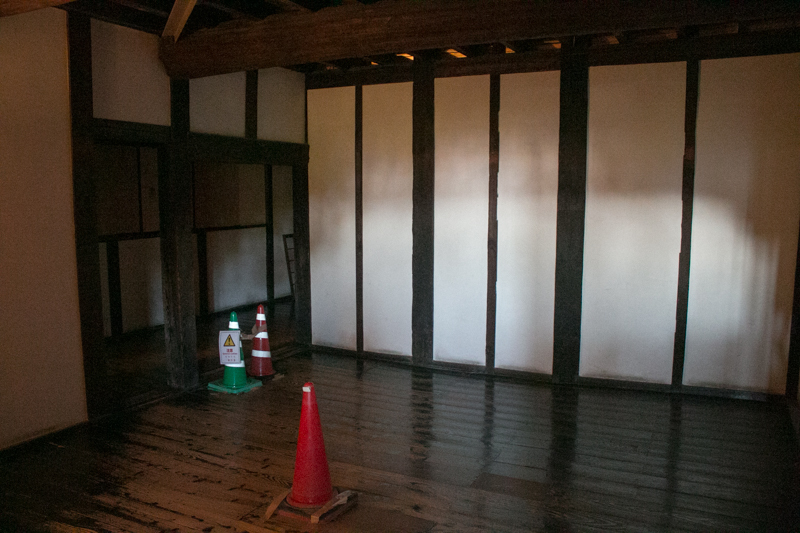 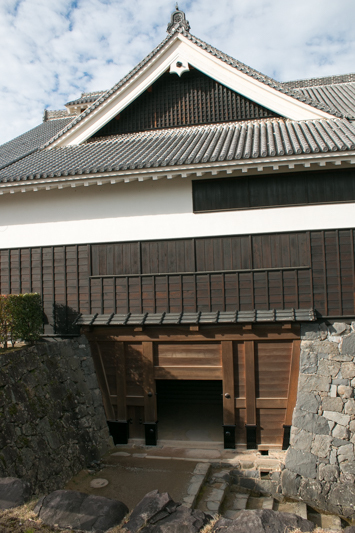 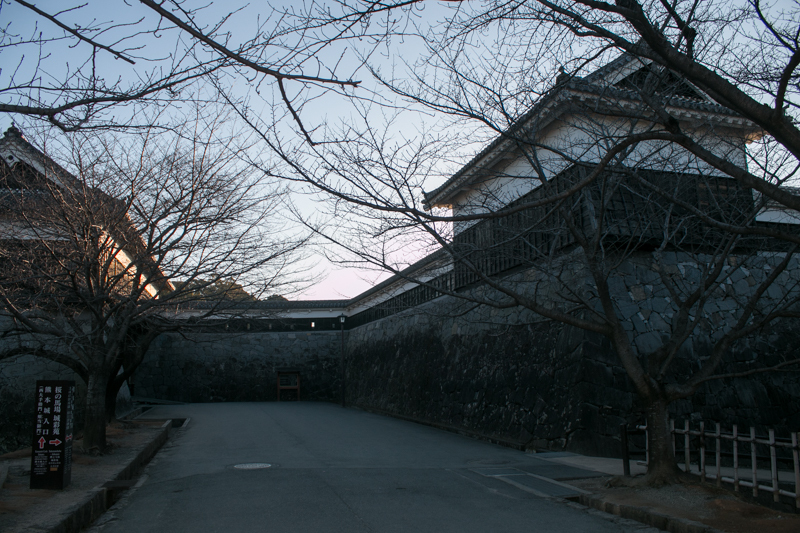 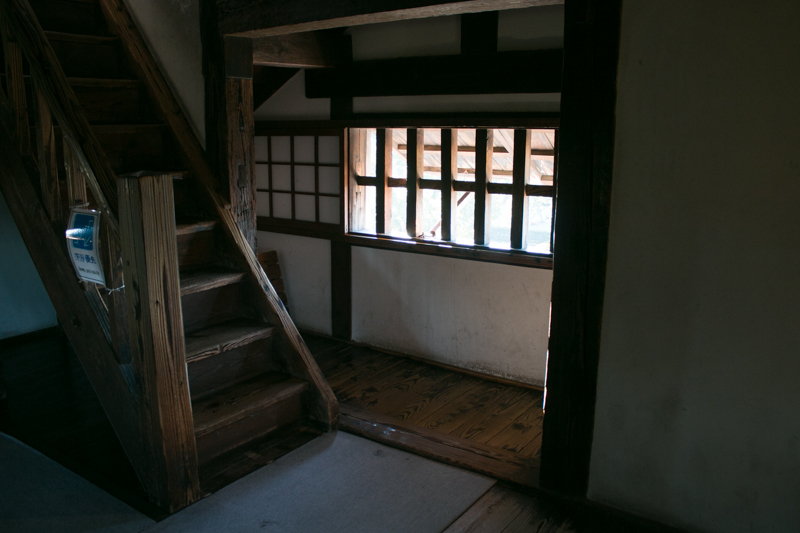 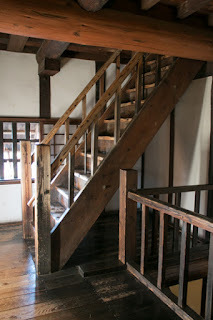 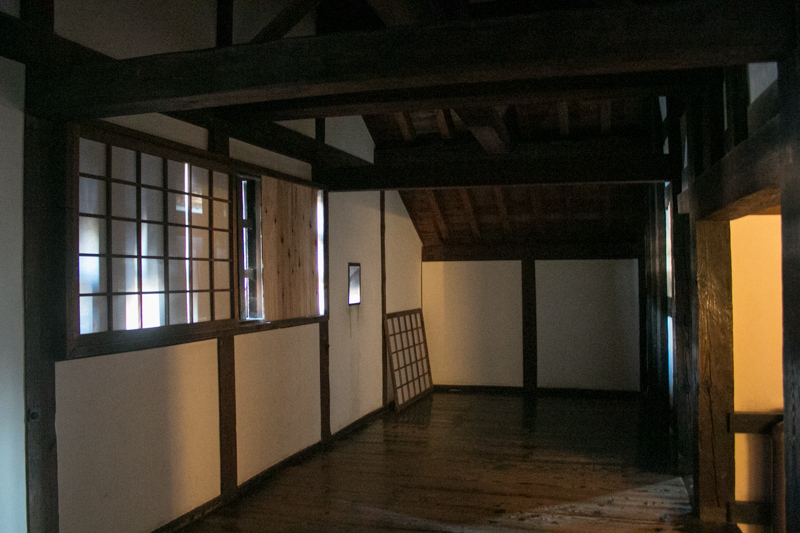 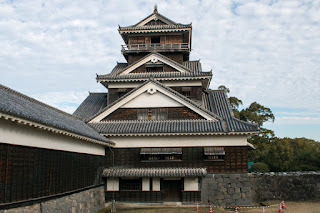 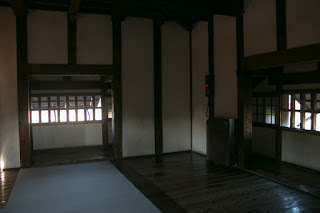 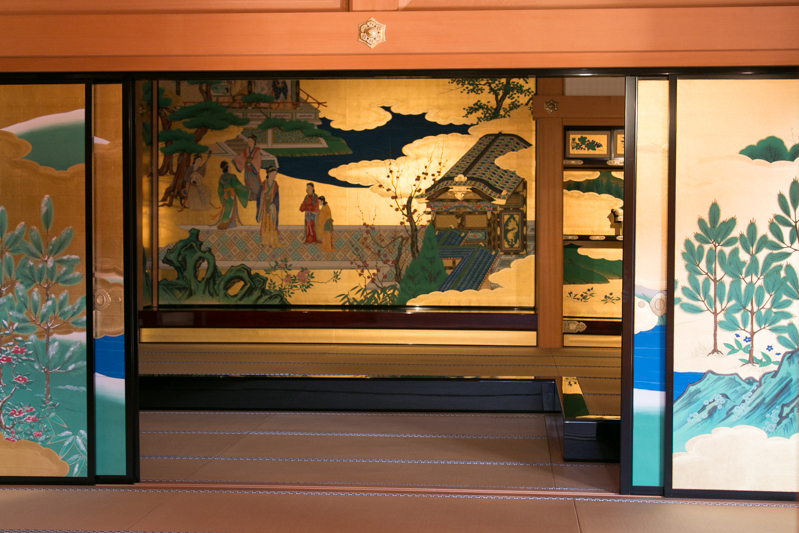 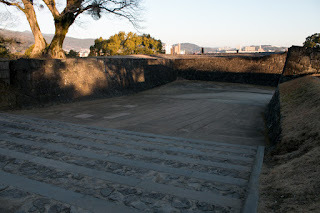 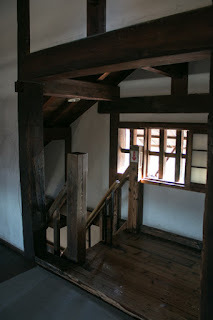 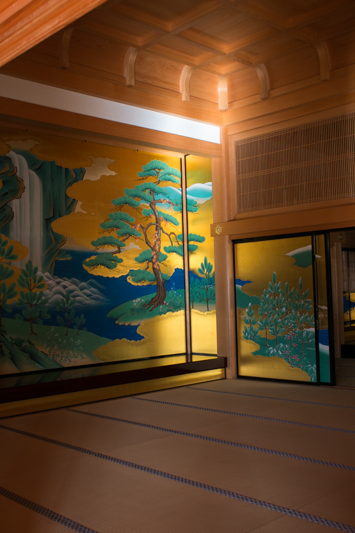 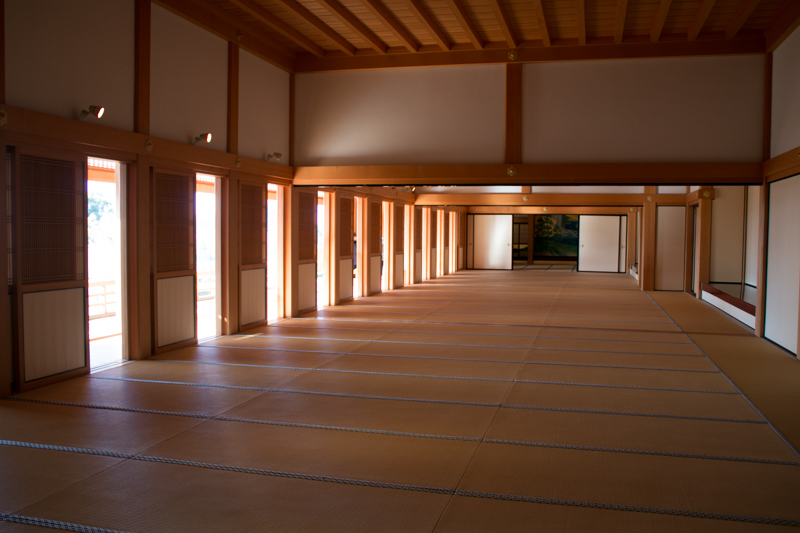 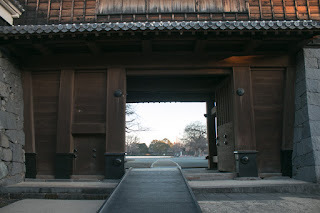 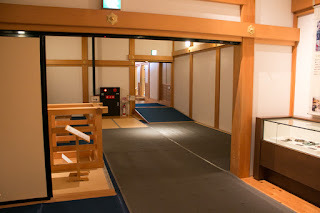 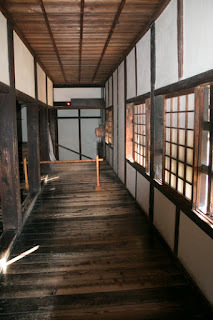 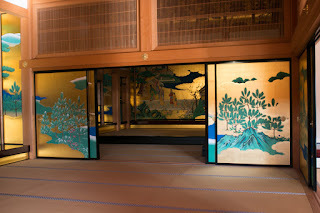 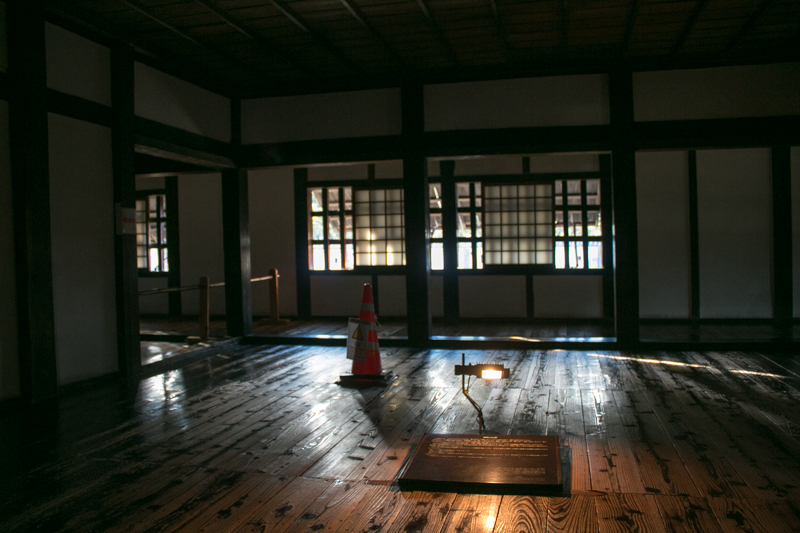 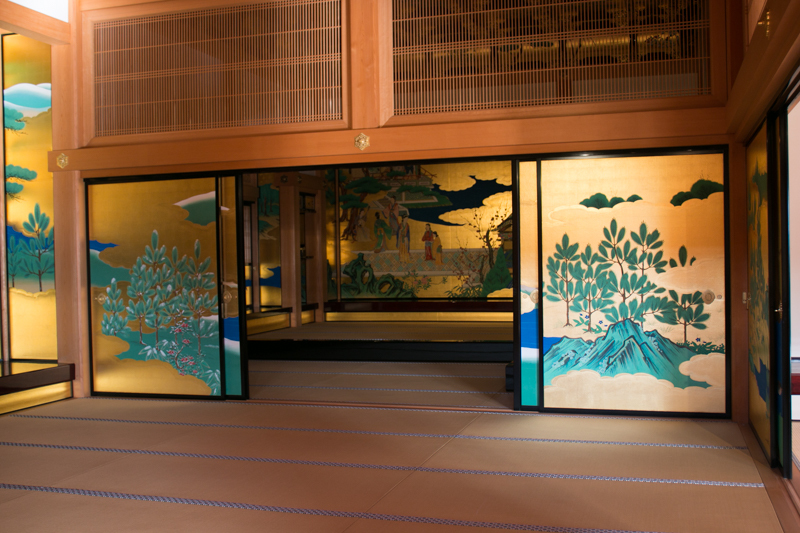 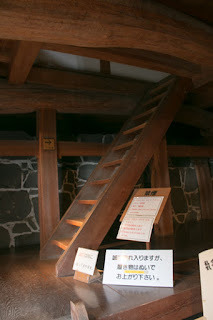 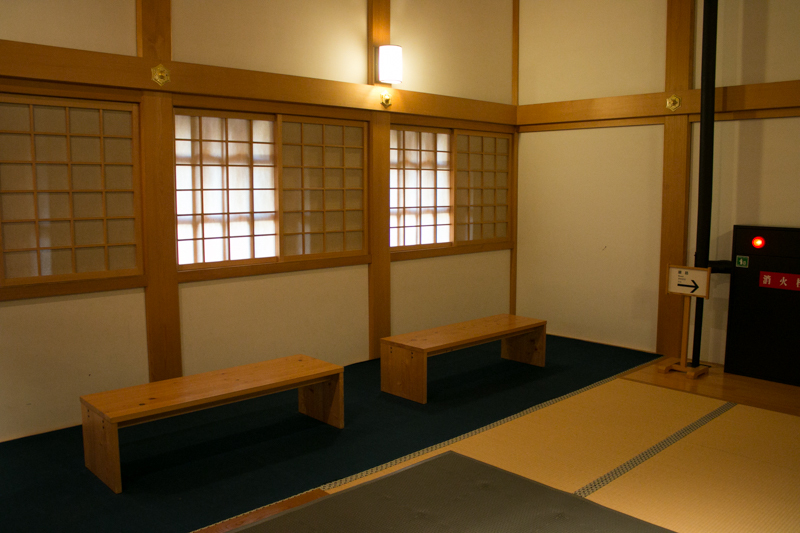 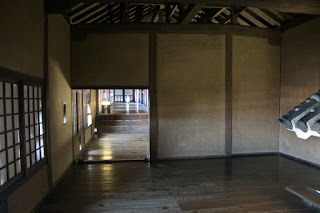 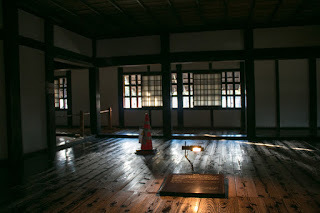 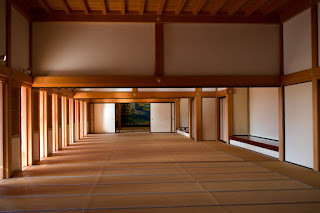 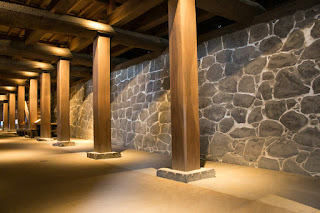 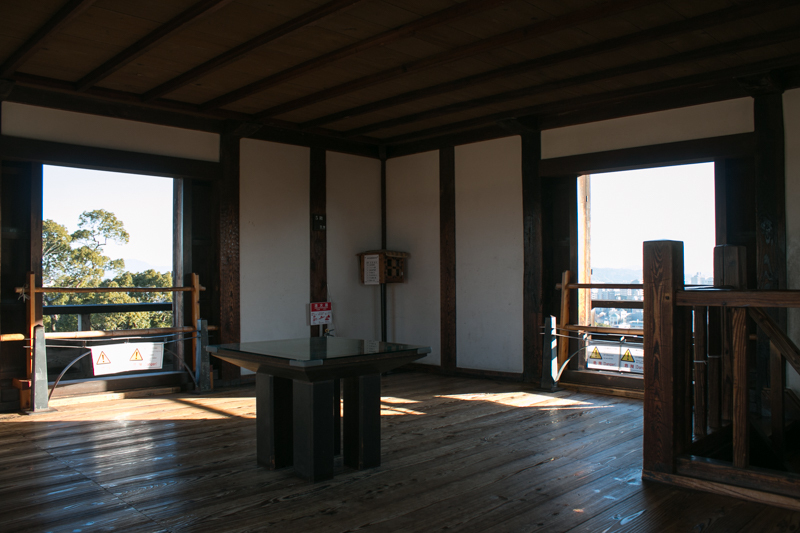 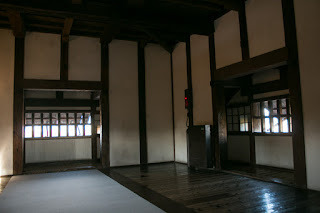 Narimasa entered old Kumamoto castle and used it as his residence. 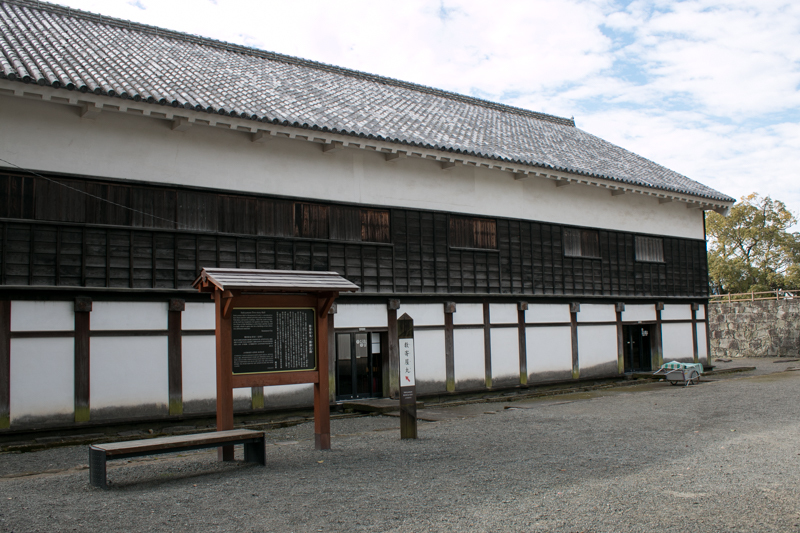 Narimasa Sasa was formerly a colleague of Hideyoshi and commander of direct army of former ruler Nobunaga Oda (1534-1582). 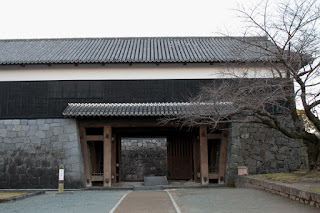 Narimasa later became the lord of Toyama castle (Toyama prefecture), and after the death of Nobunaga, Narimasa once resisted to new ruler Hideyoshi Toyotomi. Hideyoshi attacked Narimasa in 1585 and Narimasa once surrendered and was forgiven. 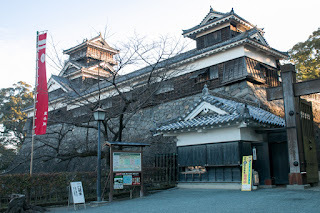 But Narimasa who entered Higo province forced “Kenchi” (land investigation) just after his entrance and induced total rebellion of local lords such as Kumabe clan or Wani clan at Tanaka castle (Kumamoto prefecture). 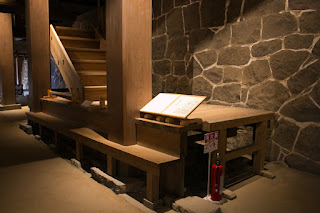 It is said that it was a punishment of Hideyoshi to let Narimasa govern difficult area, or Hideyoshi ordered to wait investigation for three years and Narimasa broke this advice. But Hideyoshi also expected Narimasa to organize strong army for foreign expedition, thus it was inevitable action for Narimasa. 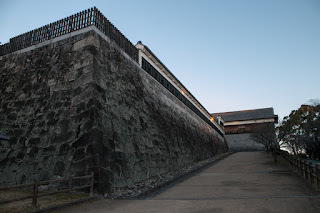 Narimasa could not settle the situation, and was rescued by reinforcement of Hideyoshi but finally was ordered to suicide to take the responsibility of this incident. After the failure of Narimasa, Hideyoshi appointed Kiyomasa Kato (1561-1611) and Yukinaga Konishi (1555-1600) at the lord of north half and south half of Higo province respectively. 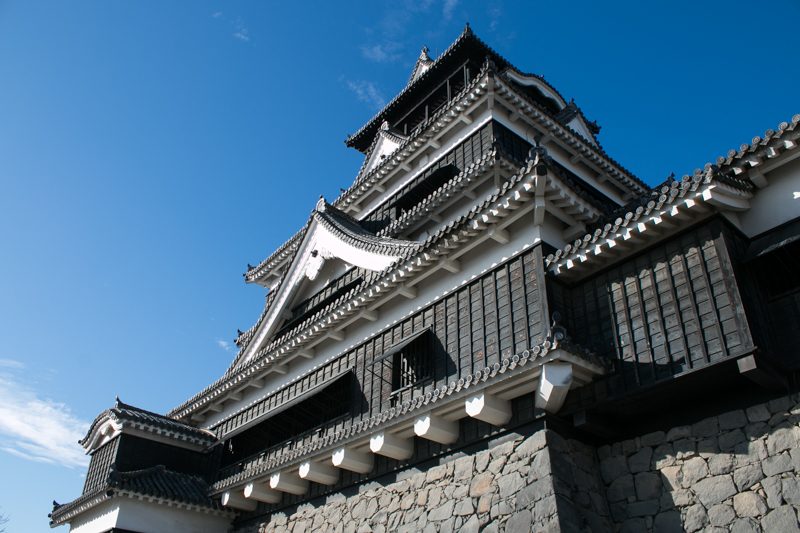 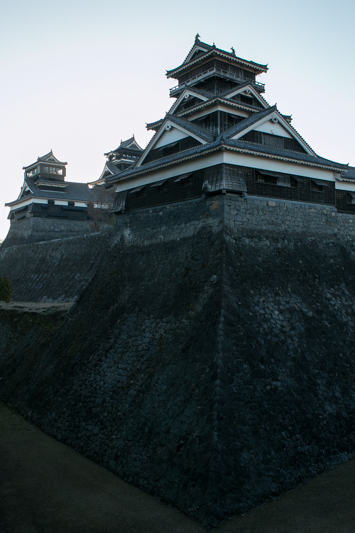 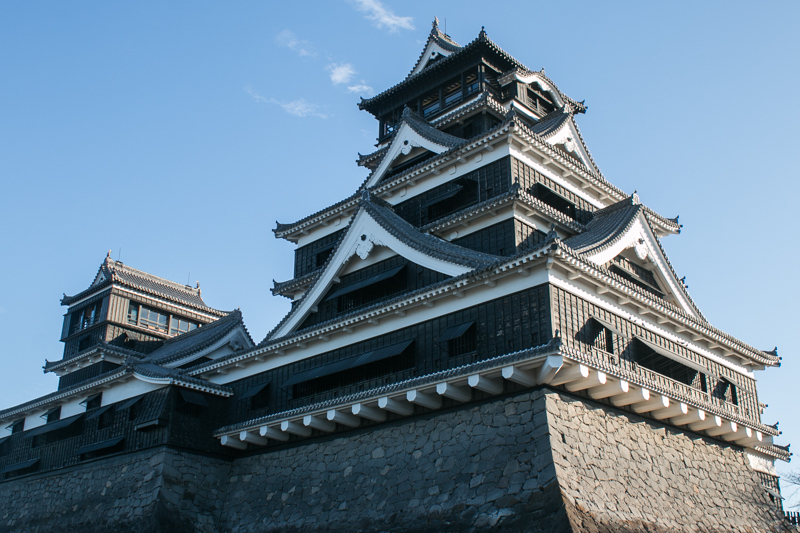 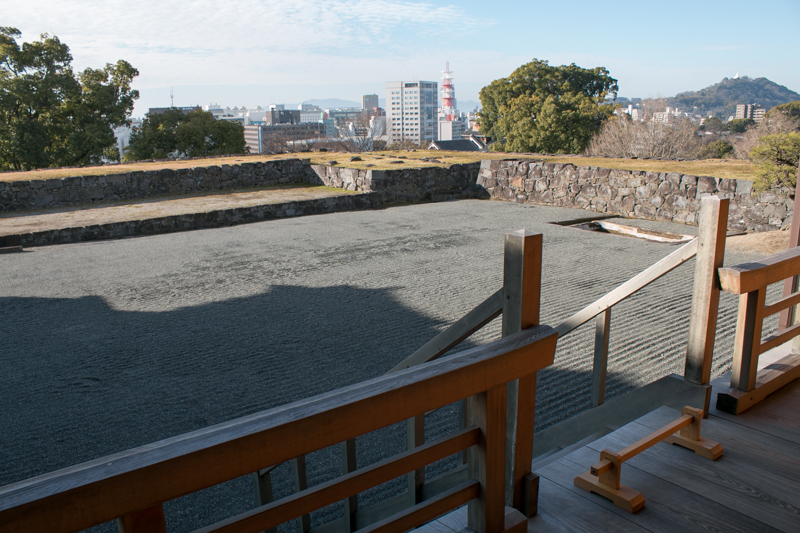 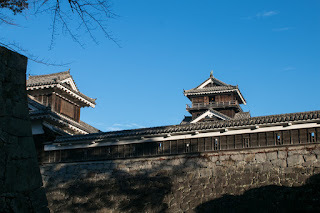 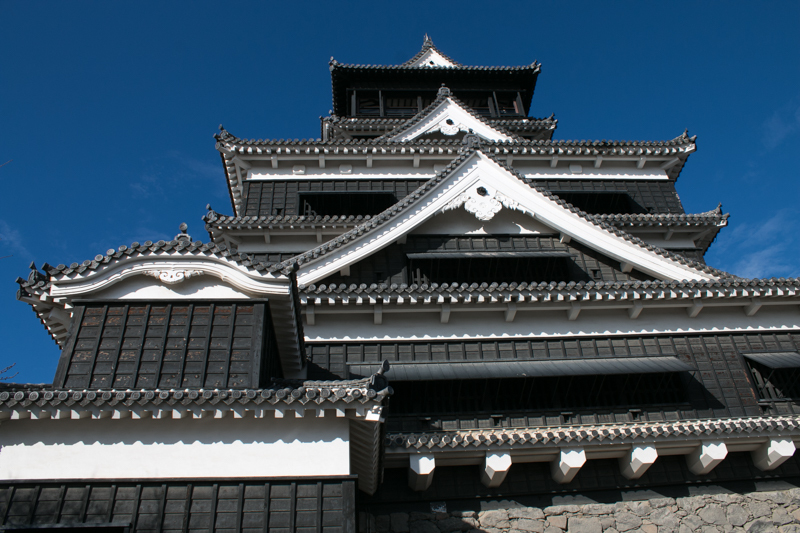 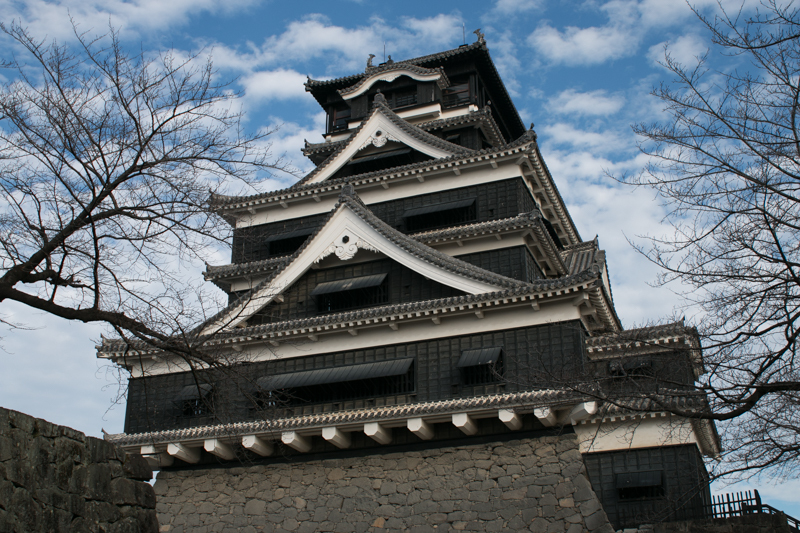 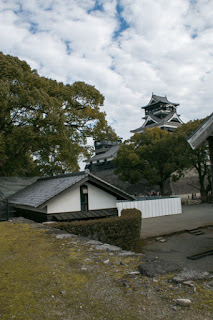 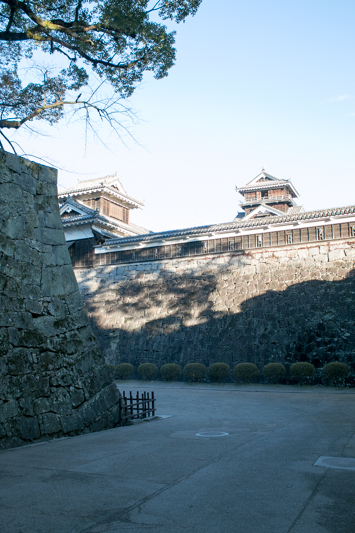 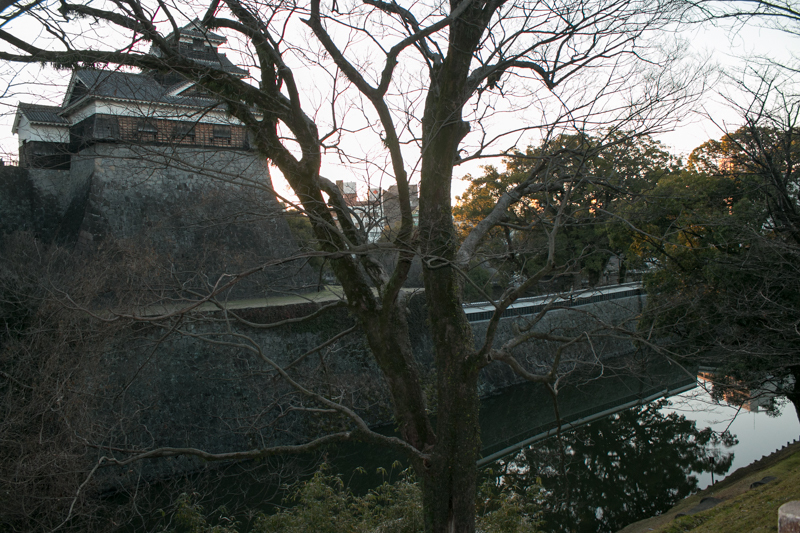 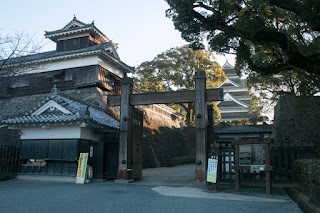 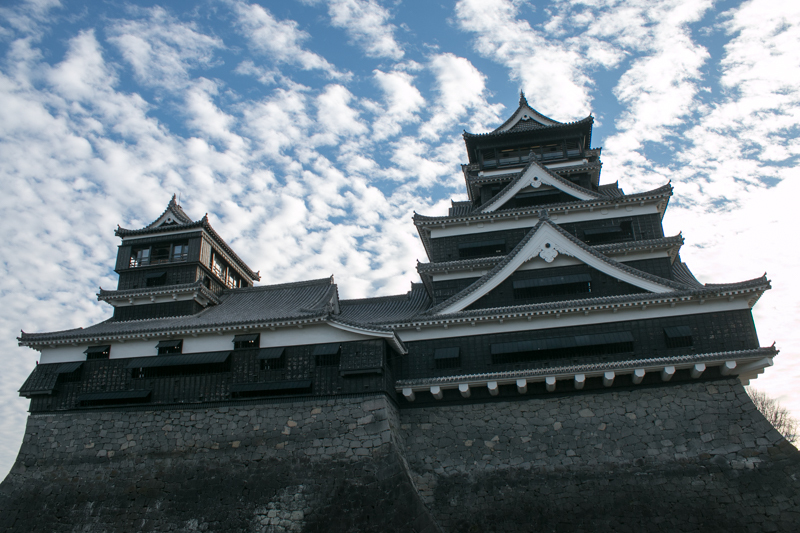 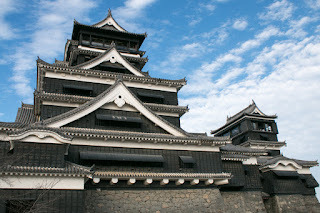 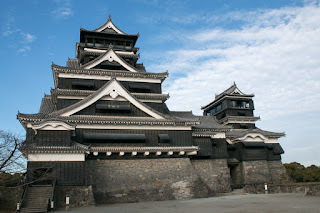 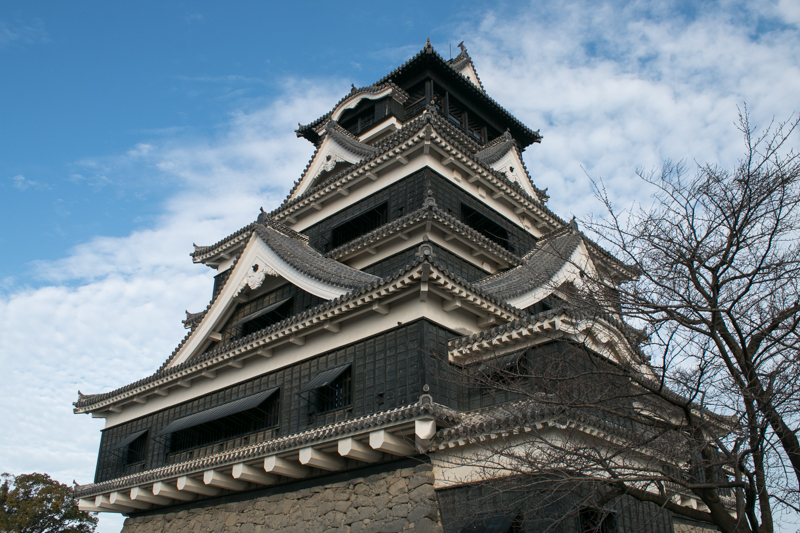 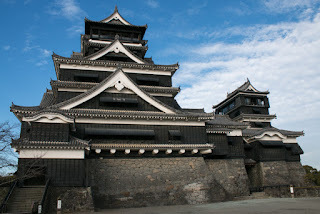 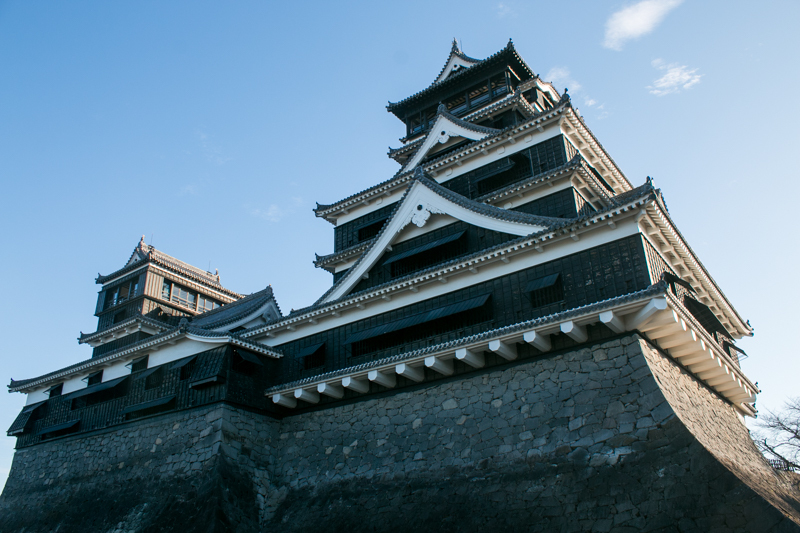 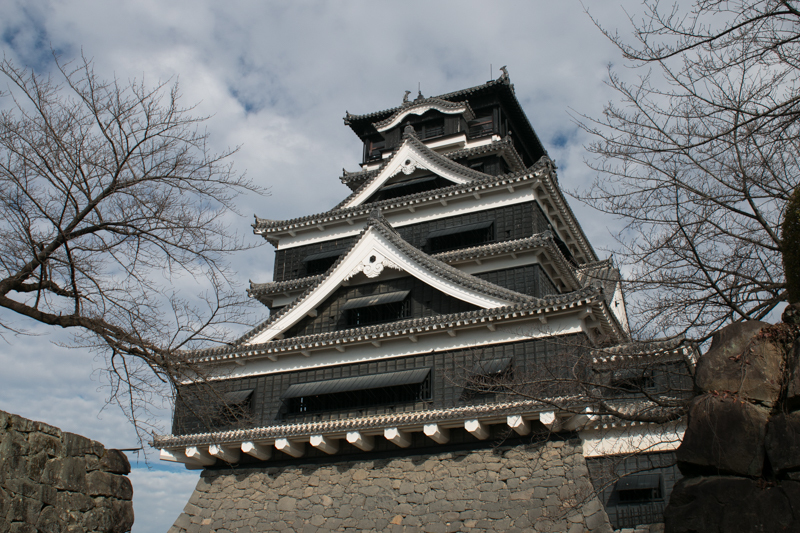 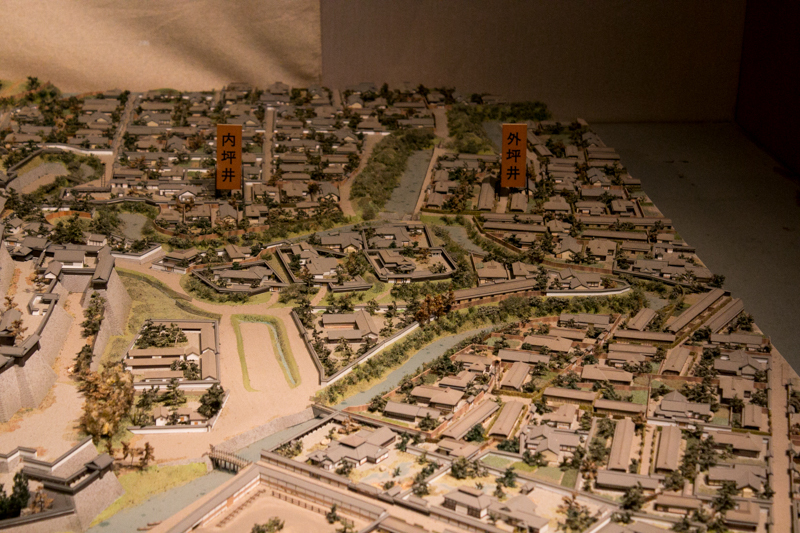 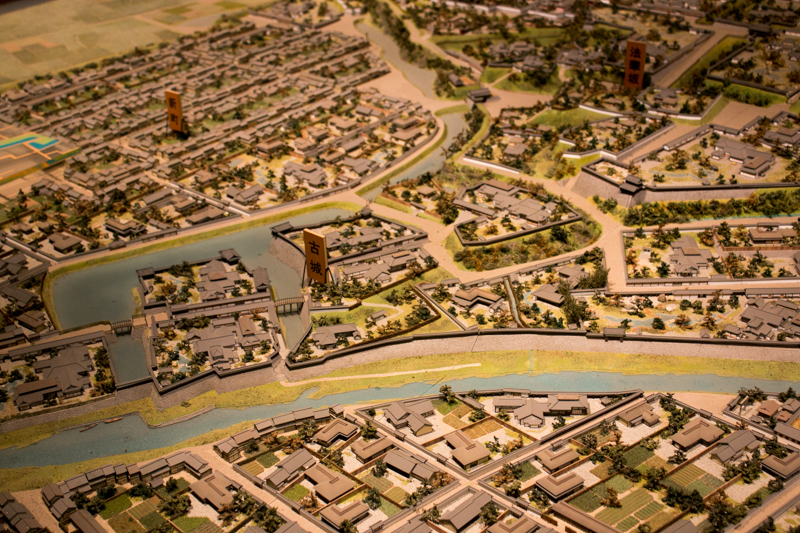 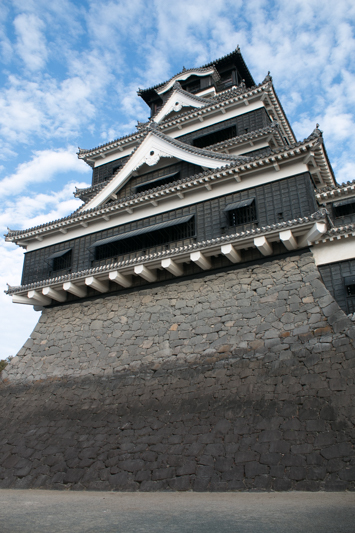 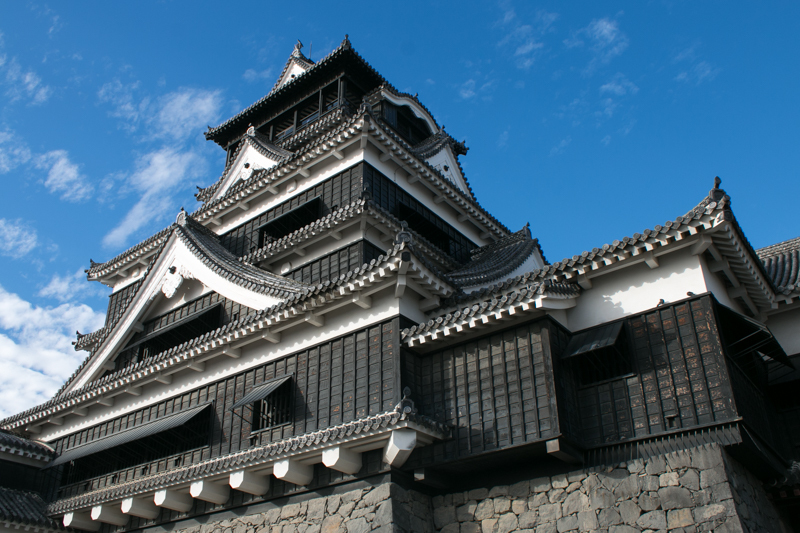 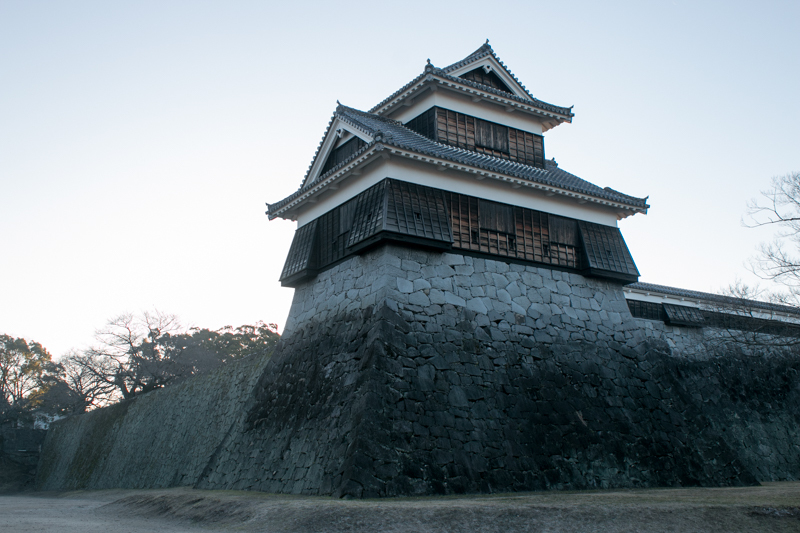 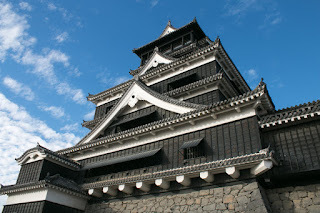 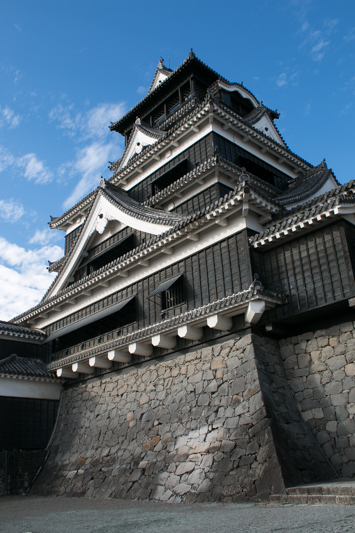 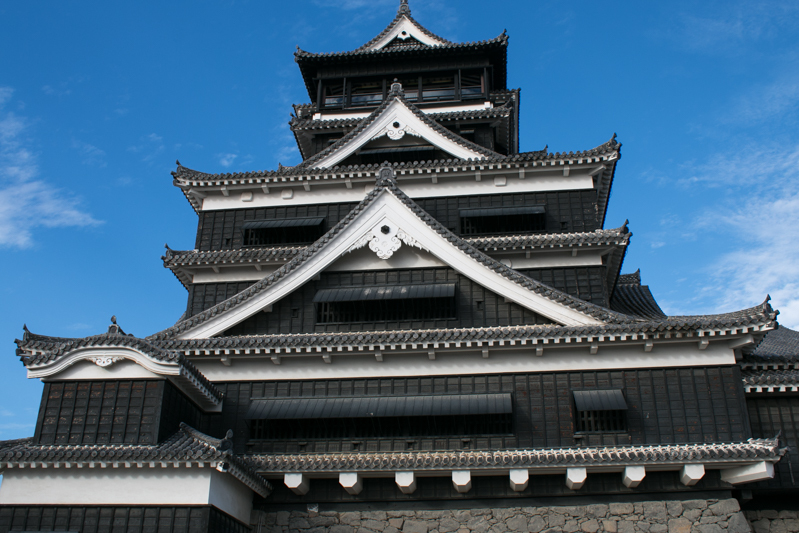 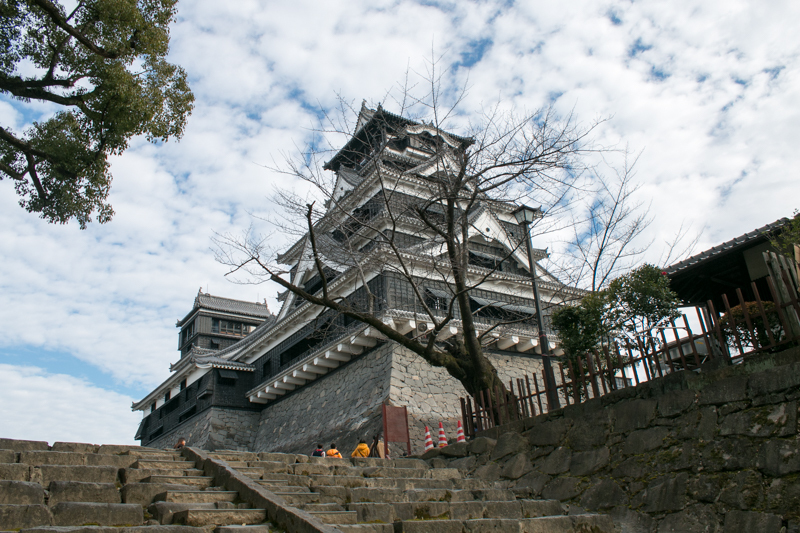 As Kumamoto area belonged to north part, it was governed by Kiyomasa and Kiyomasa entered into old Kumamoto castle. 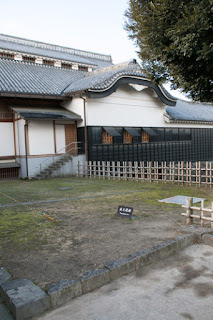 Kiyomasa was a distant relative of Hideyoshi born in the same town, and served to Hideyoshi from youth along with another relative Masanori Fukushima (1561-1624). 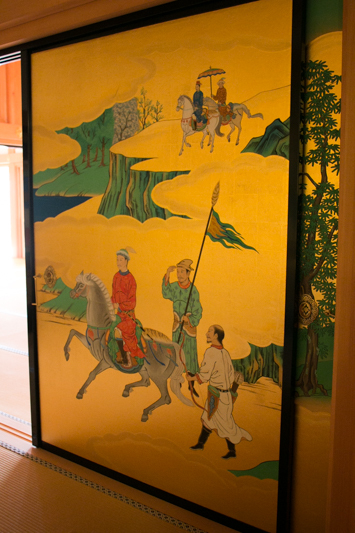 Kiyomasa and Masanori grew as a page of Hideyoshi, and after growing up became the commander of the army. 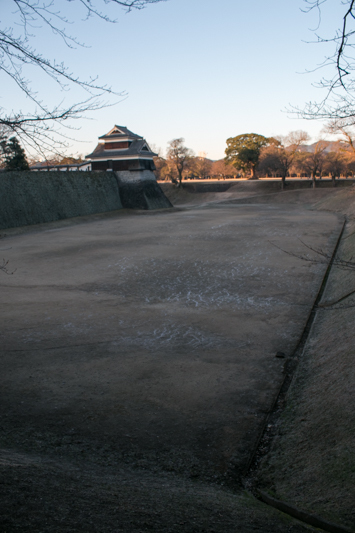 In the process of unification of Japan by Hideyoshi, Kiyomasa activated many battles. 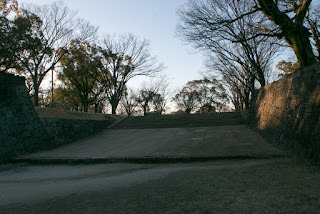 Especially at the battle of Shizugatake against Katsuie Shibata (1521-1583) in 1583, Kiyomasa chased retreating Shibata army as a vanguard along with Masanori and other young generals, and was praised as one of seven braves at Shizugatake. Kiyomasa was exceptionally promoted from commander of small troops to large feudal lord, but he focused on the local administration such as river improvement and commercial promotion. 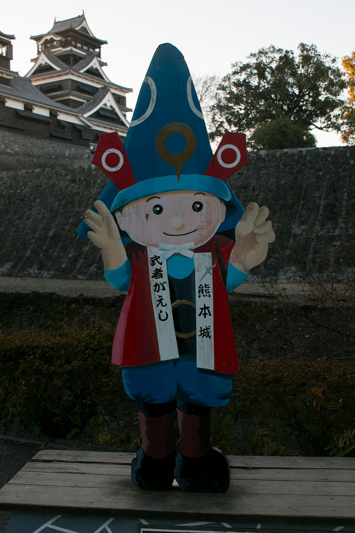 Kiyomasa succeeded the restoration of the province devastated in the rebellion, and was also praised as a good lord. 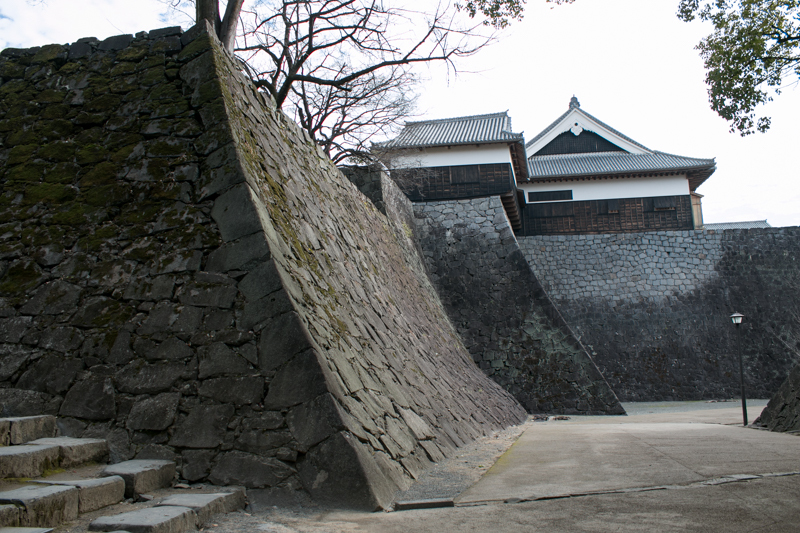 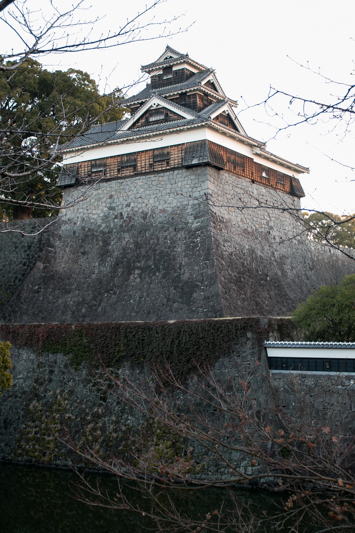 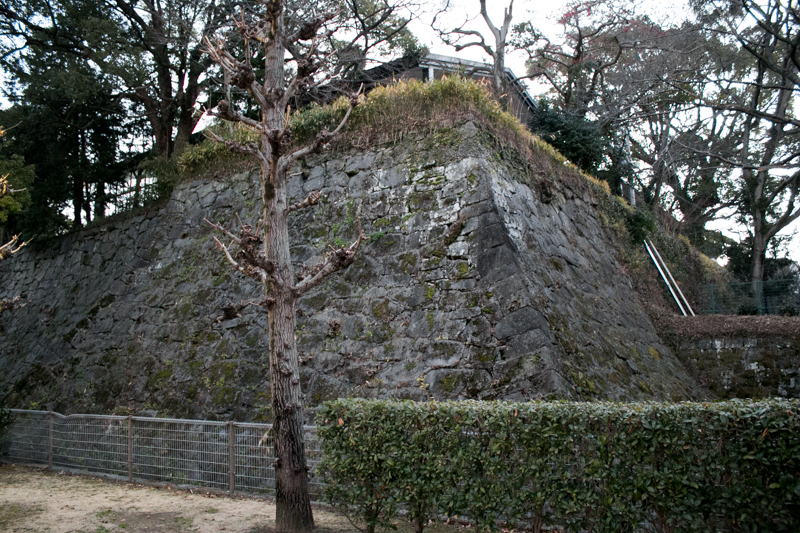 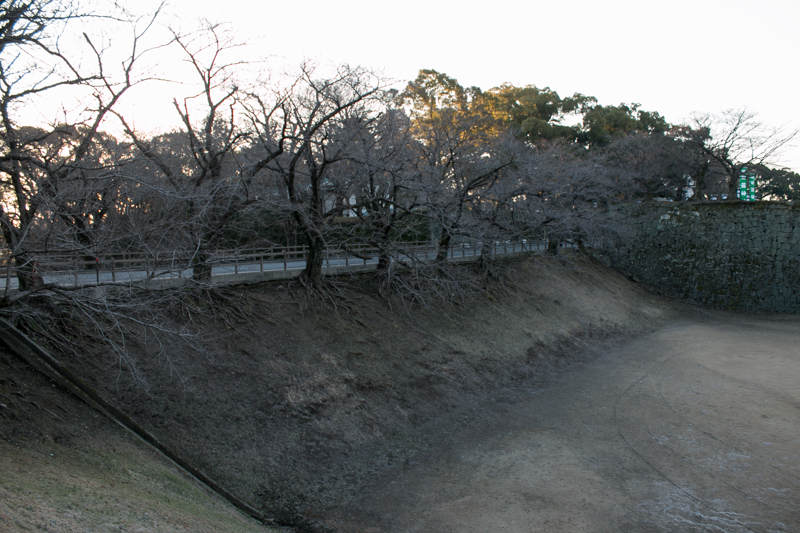 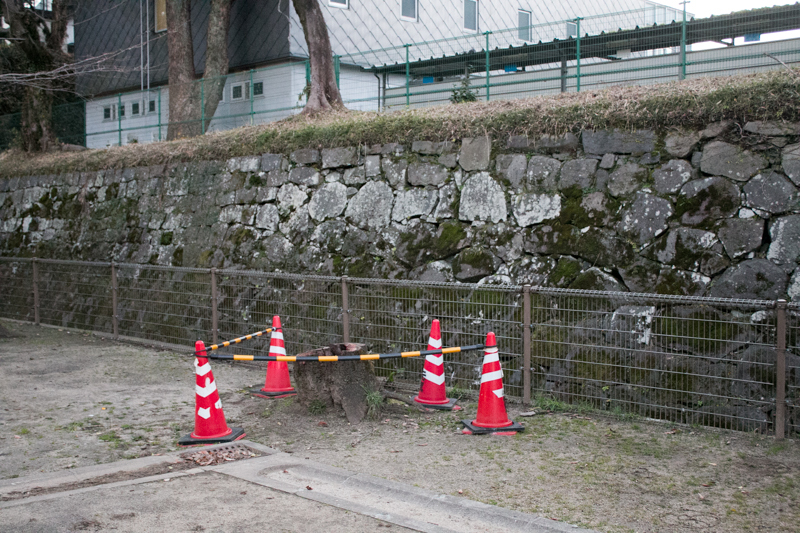 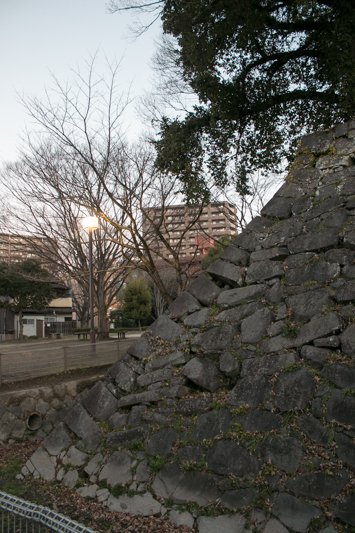 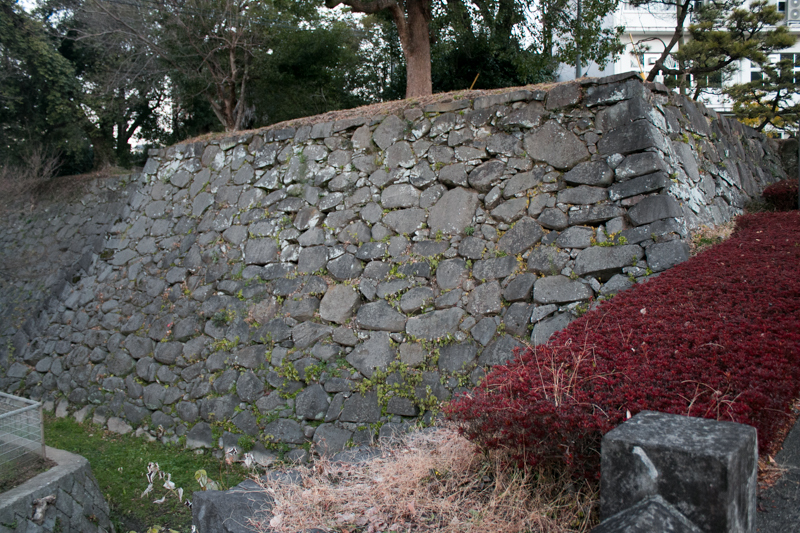 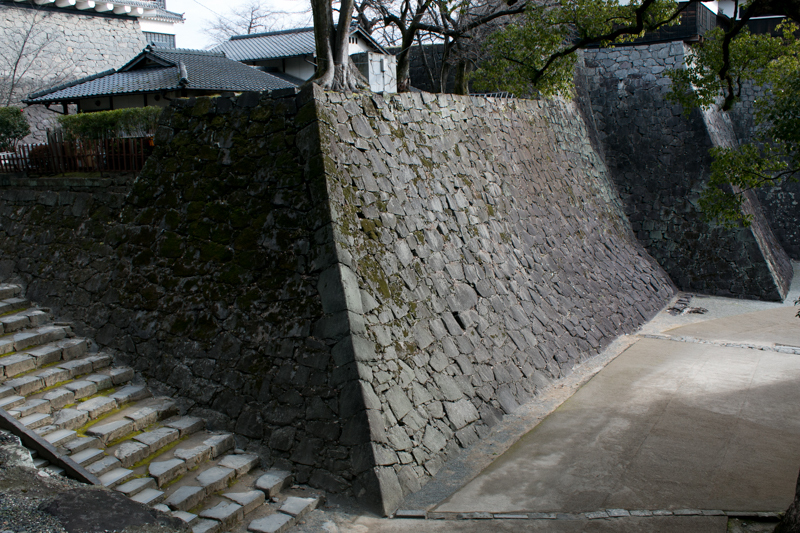 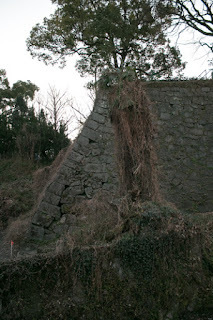 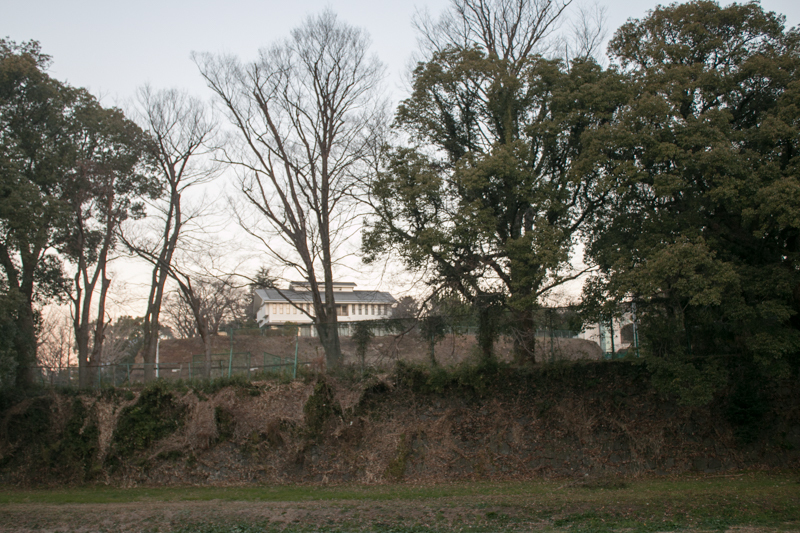 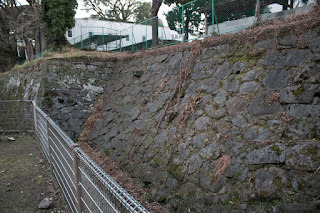 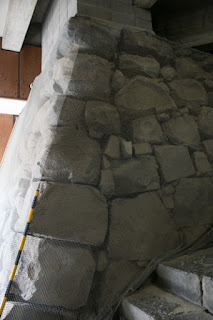 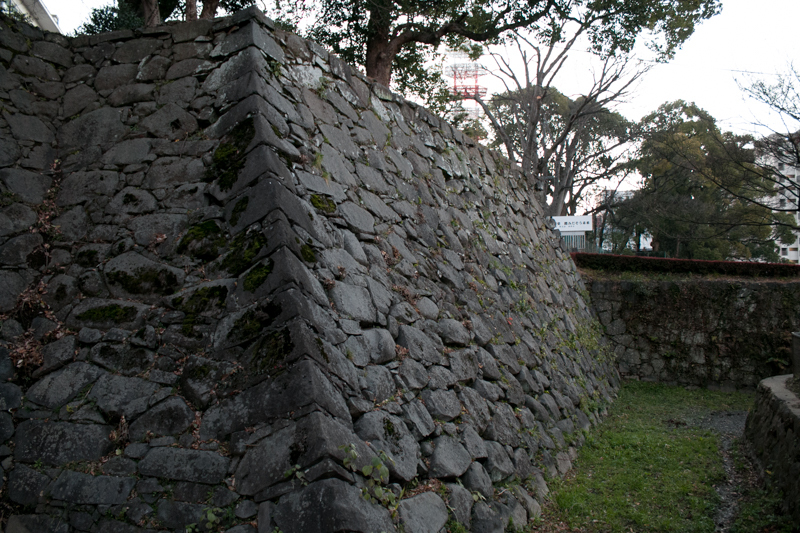 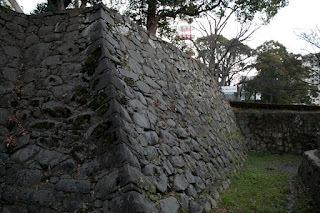 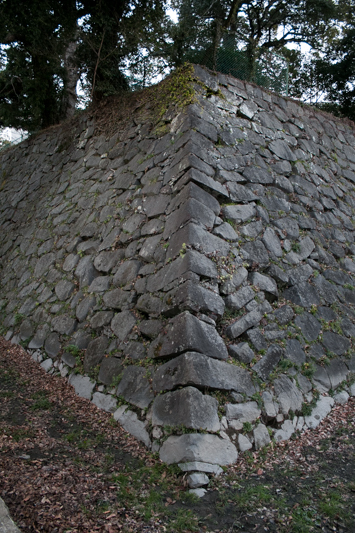 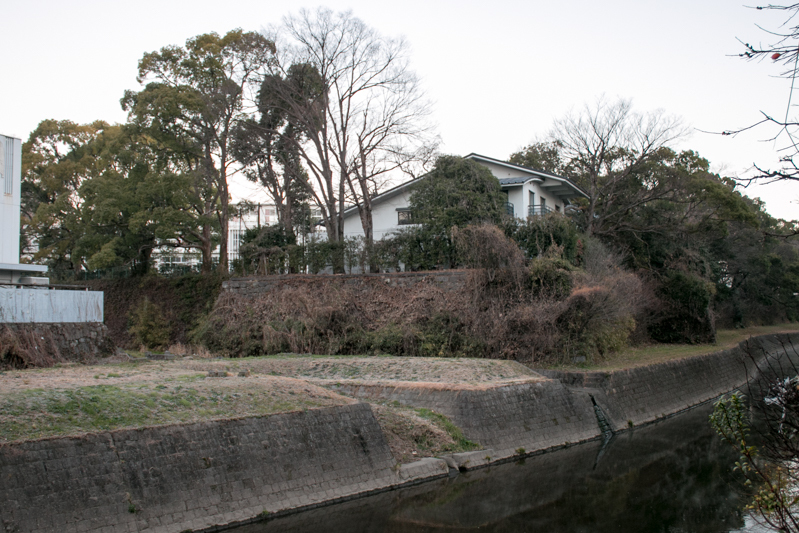 Once the situation stabilized, Kiyomasa started to build his own castle using remaining part of the hill. After the death of Hideyoshi in 1598, a conflict occurred between Ieyasu Tokugawa (1543-1616), the largest lord under Toyotomi government and who aimed newt hegemony, and Mitsunari Ishida (1560-1600), a former chief administrative staff of Toyotomi government and who tried to prevent the ambition of Ieyasu. 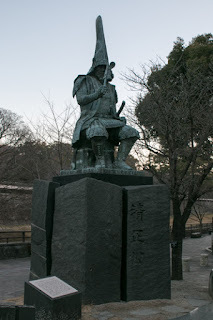 Kiyomasa was loyal to Hideyori Toyotomi (1593-1615), son and child successor of Hideyoshi, but became of the confrontation between front generals and central administrative staffs of Toyotomi government emerged through foreign expedition, Kiyomasa supported Ieyasu. On the other hand, Yukinaga Konishi who had the south half of Higo province and located at Uto castle (Uto city), was close to Mitsunari and supported him. 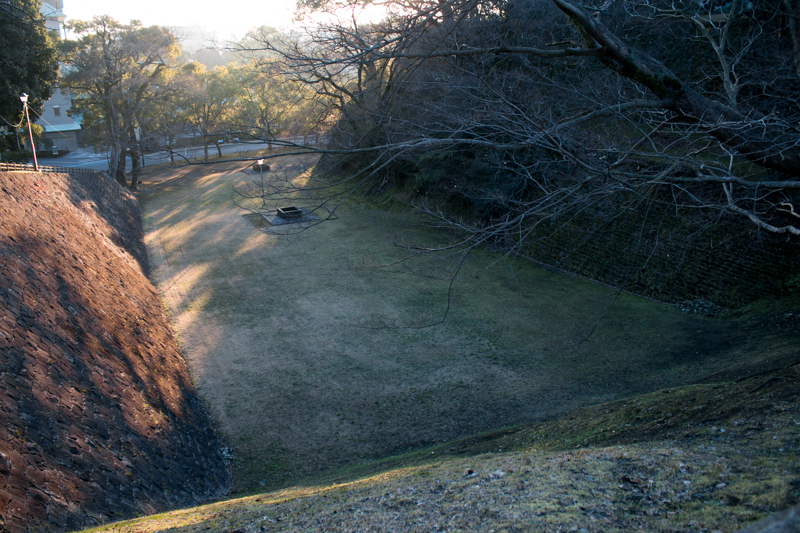 In 1600, the decisive battle of both side arouse at Sekigahara, at the west edge of current Gifu prefecture. 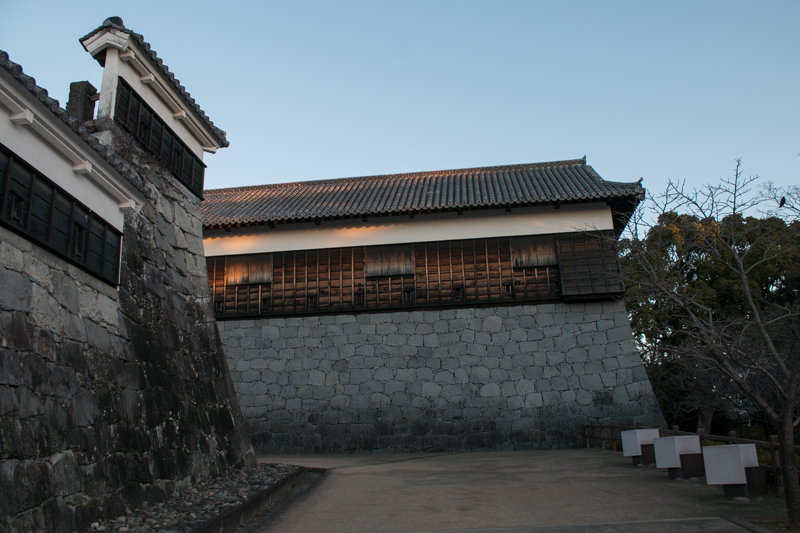 Kiyomasa was ordered by Ieyasu to stay his castle to control Kyushu island, and attacked Uto castle where Yukinaga left for the battle and only deputy commander stayed. 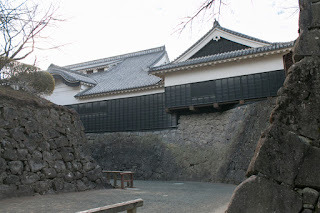 Uto castle securely guarded but hearing the news of defeat and death of his master Yukinaga, Uto castle surrendered to Kiyomasa. 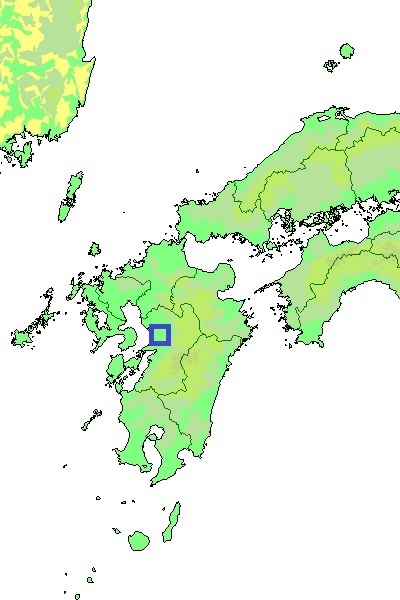 After the battle of Sekigahara, Kiyomasa additionally held south half of Higo province and became the lord of whole province. After the battle of Sekigahara, Ieyasu Tokugawa established Edo Shogunate and became the next ruler. 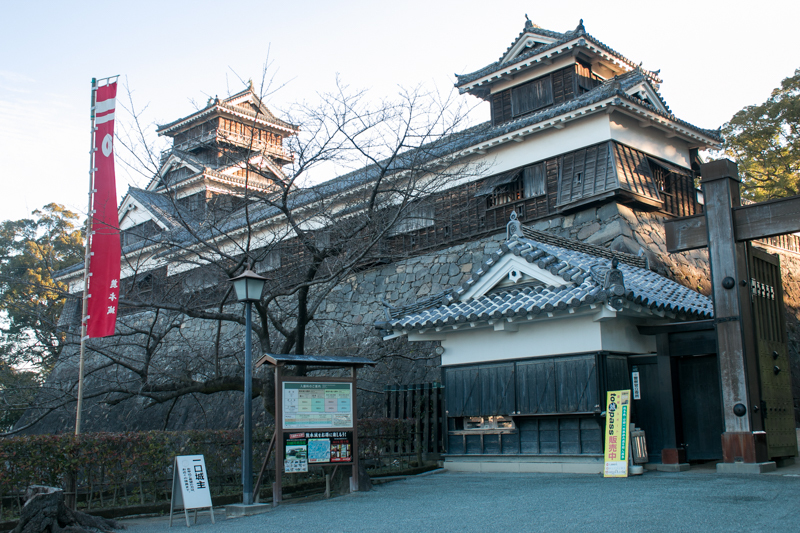 But Hideyoshi Toyotomi still stayed at Osaka castle (Osaka prefecture), and Kiyomasa decided to protect the continuation of Toyotomi clan. 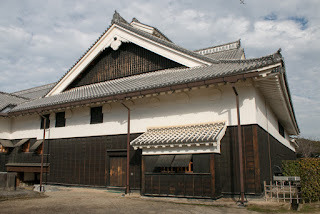 Furthermore, Shimazu clan which was known for strong soldier still remains at Satsuma province in the south of Higo province, and Kiyomasa also had to be cautious against Shimazu clan. 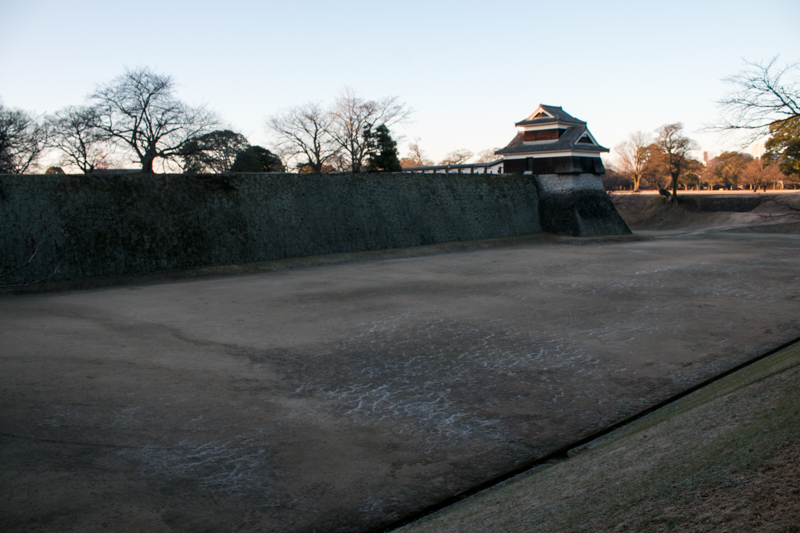 Under such situiation, central area of new castle has completed by around this time, but Kiyomasa decided to further expand this castle. 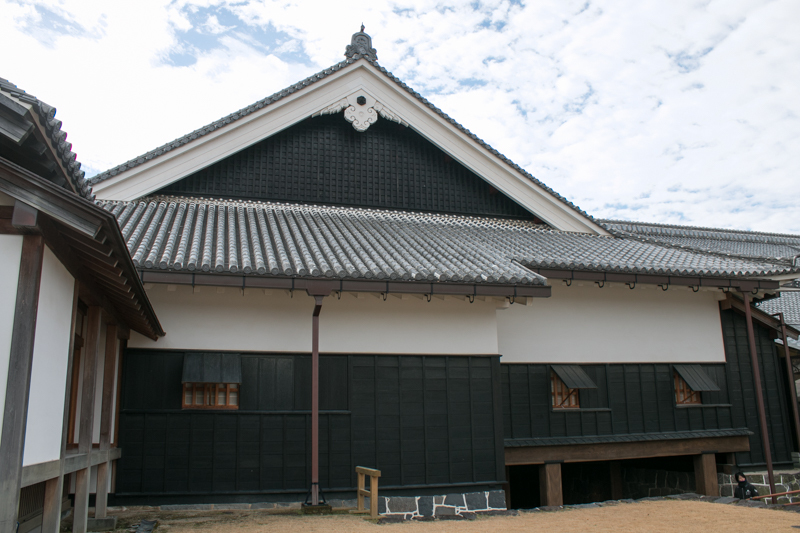 There might be an intention to be a restraint against Edo Shogunate, and also an evacuation place of Hideyori in case of accident. 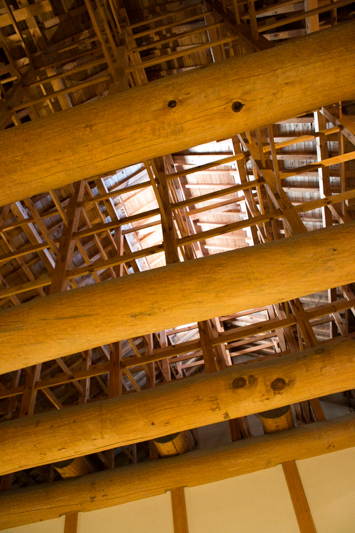 It is said that VIP room was actually built in attached tower and central area palace. Kiyomasa experienced hard battle and castle building through foreign excursion, and fully input his skill and experience into this castle. 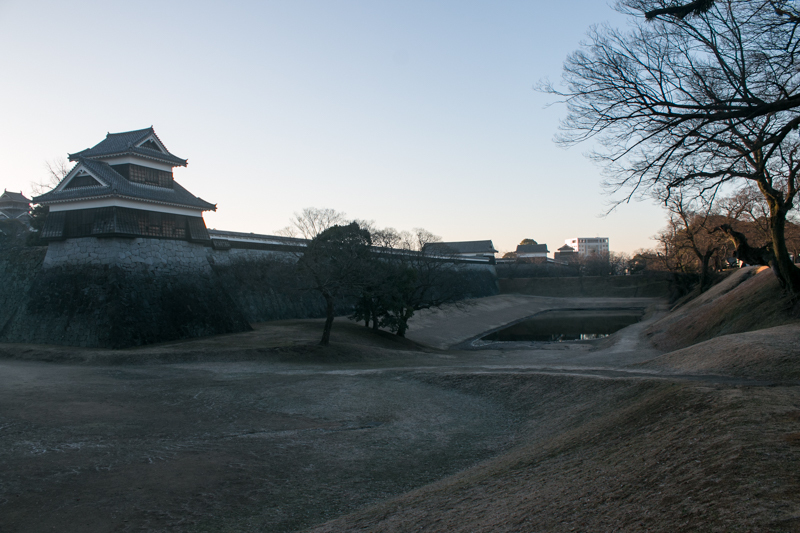 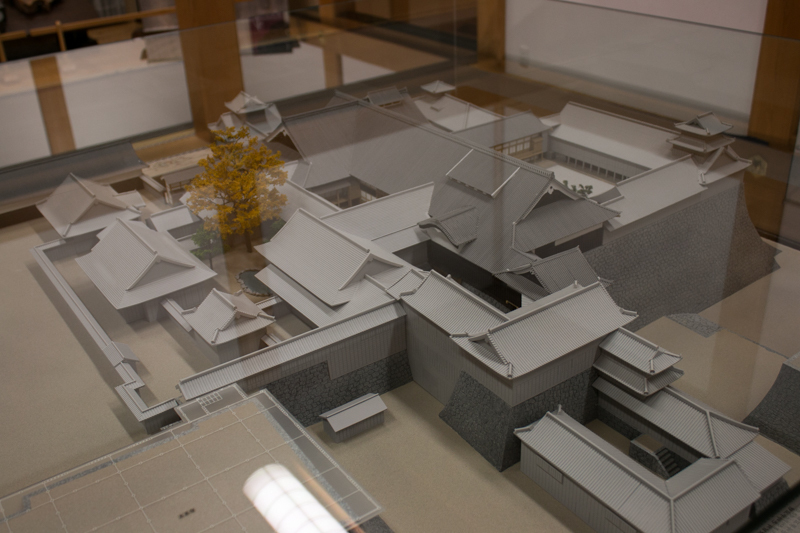 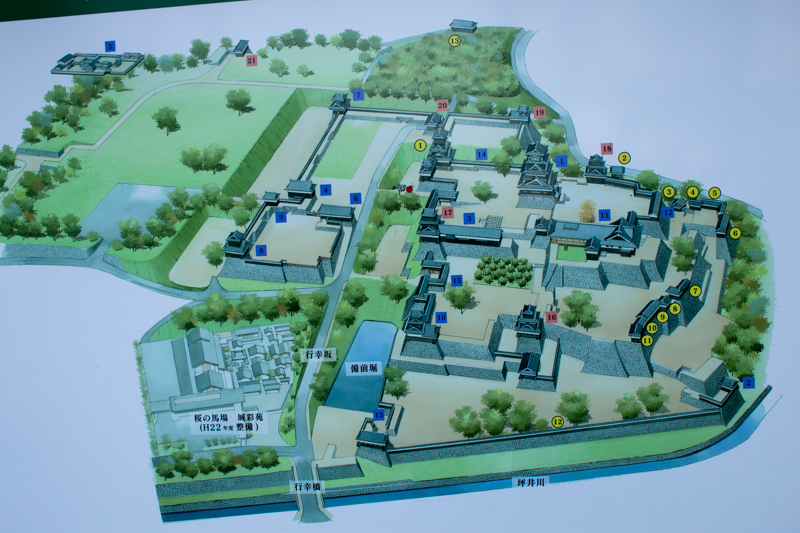 In 1608 this Kumamoto castle mostly completed, and in 1610 a central area palace was added at the center of central area. 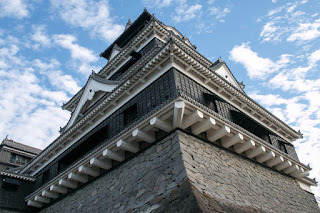 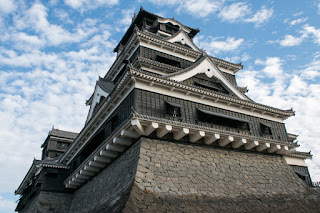 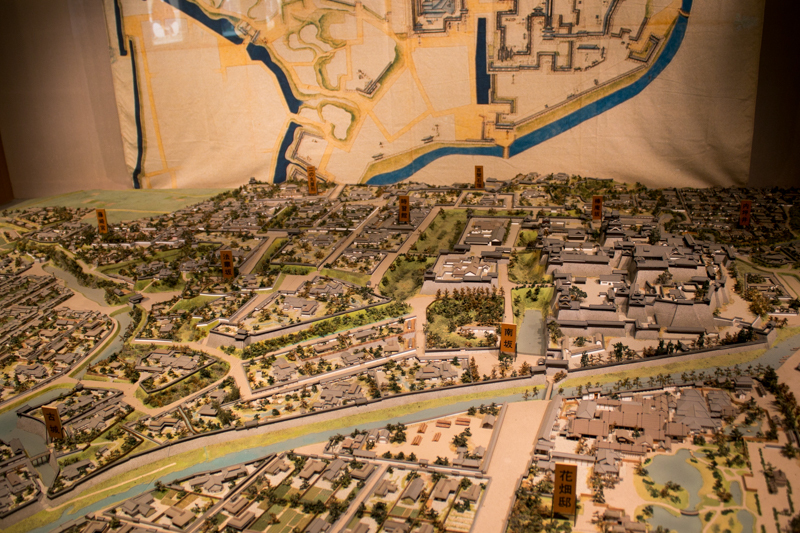 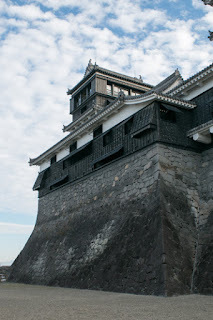 Additionally, Kiyomasa built many prominent branch castles such as Nankan castle, Sashiki castle, Minamata castle or Yatsushiro castle to secure whole province. 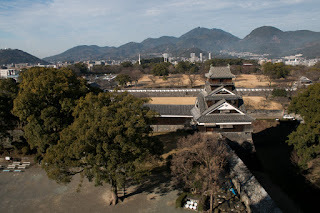 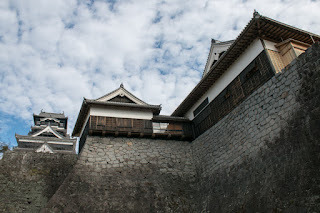 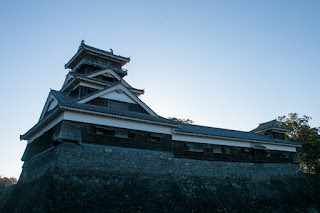 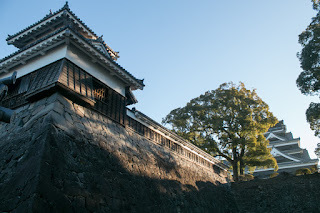 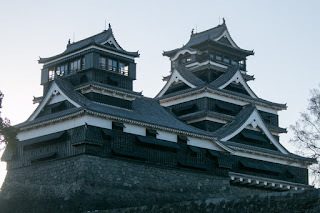 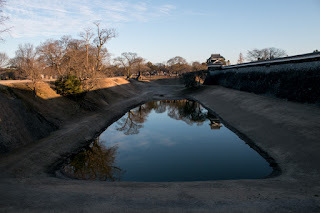 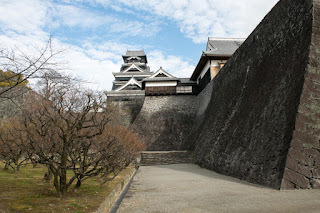 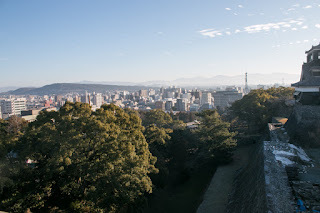 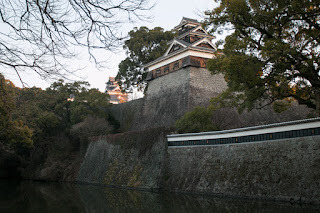 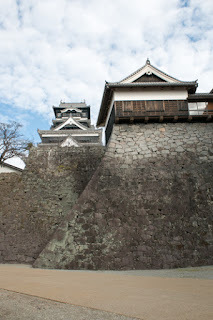 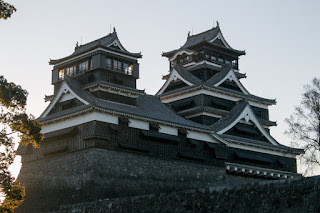 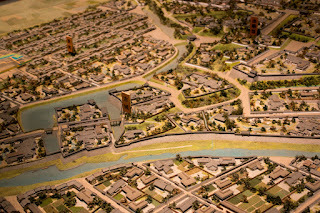 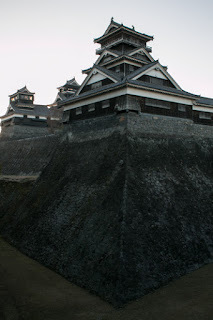 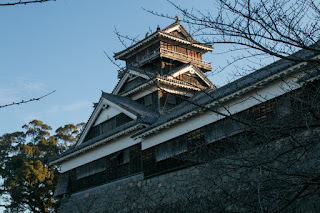 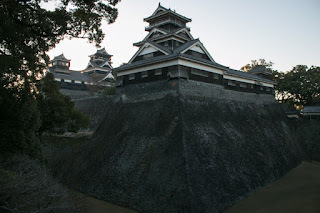 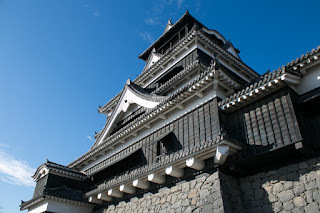 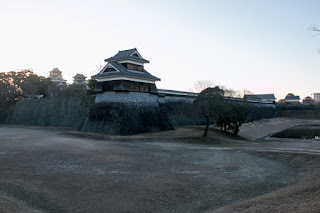 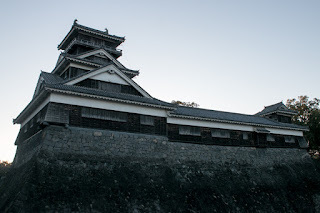 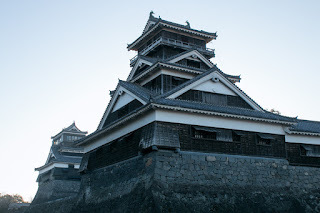 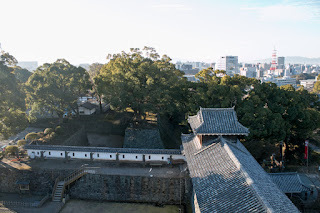 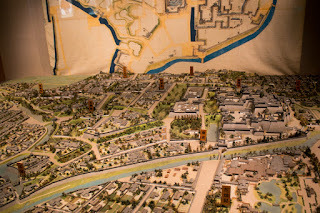 Kumamoto castle spread all over a vast hill of one kilometer long square protruded from northward, surrounded by Tsuboigawa river and its tributary which were the branch stream of Shirakawa river. 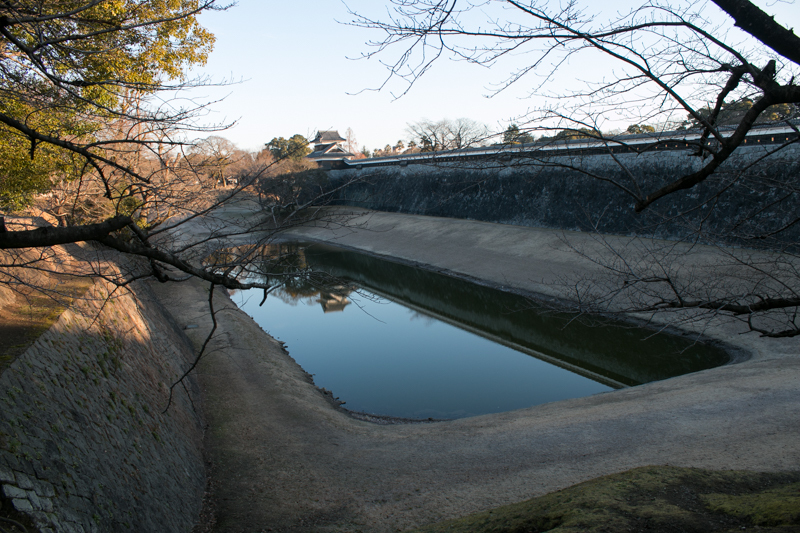 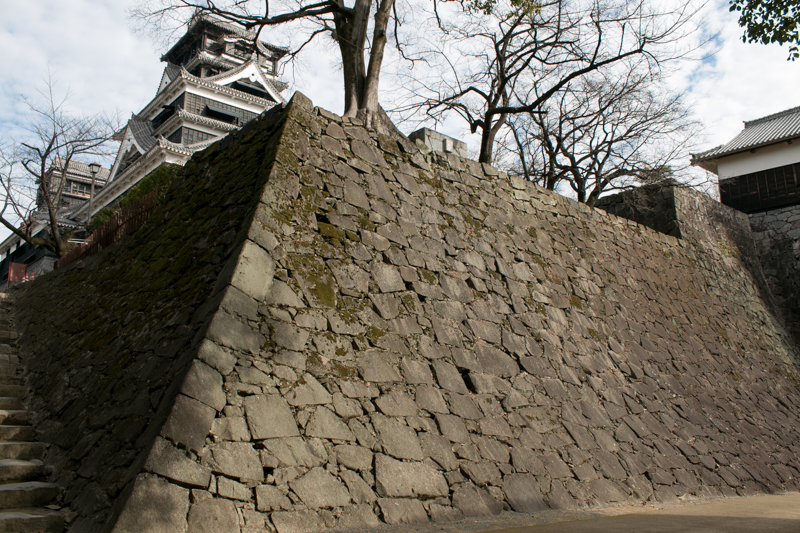 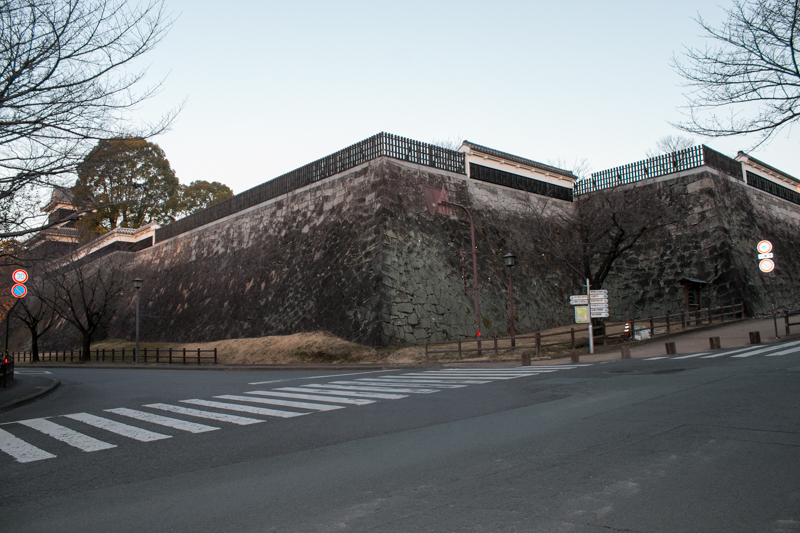 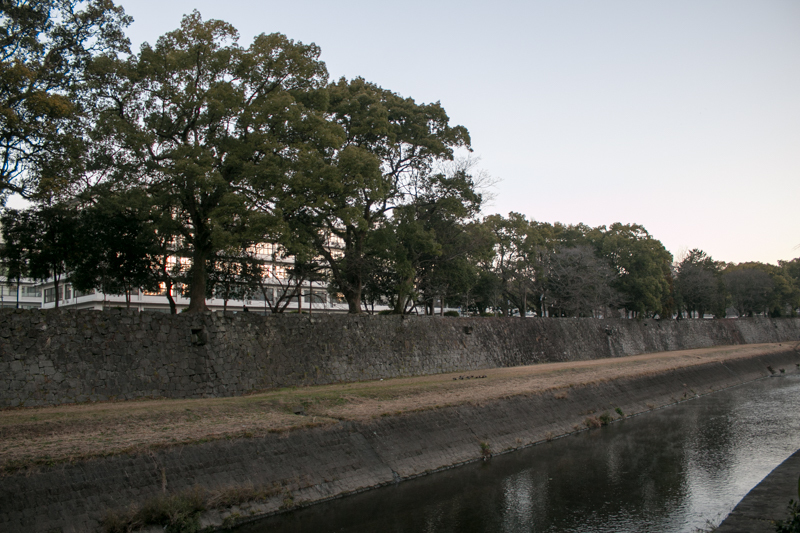 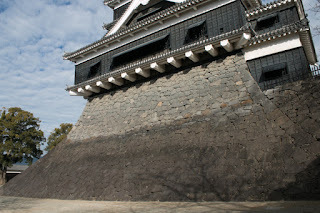 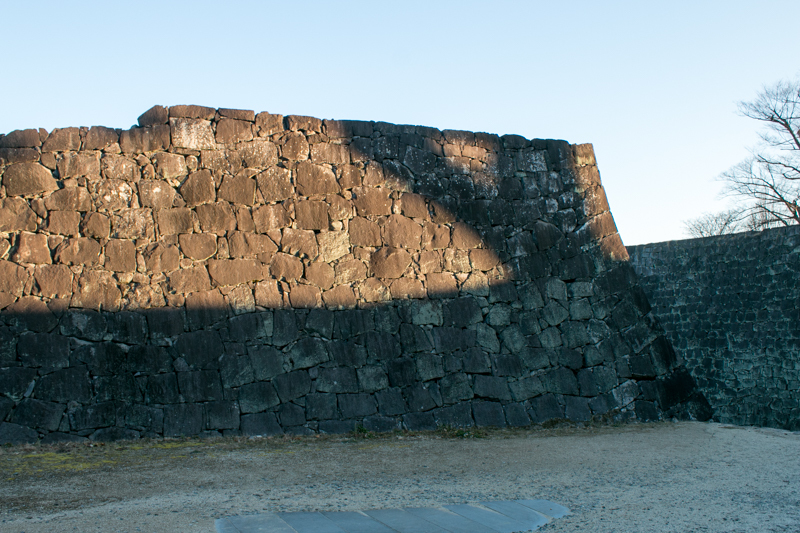 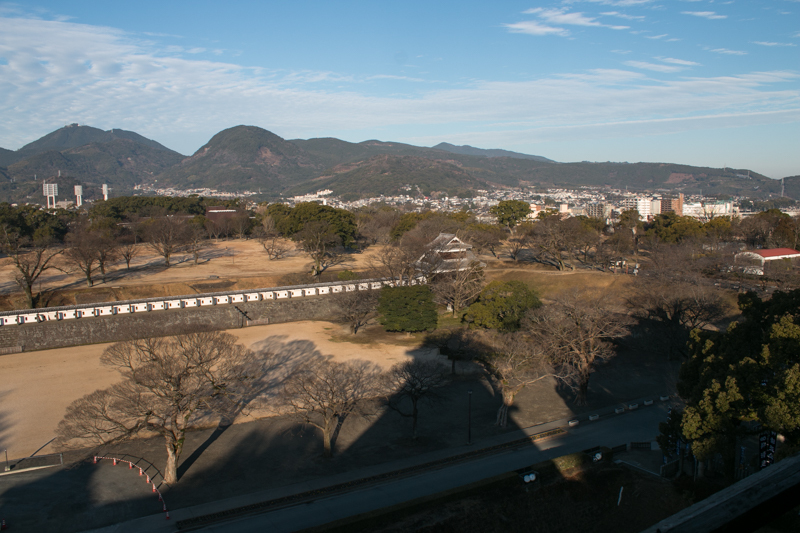 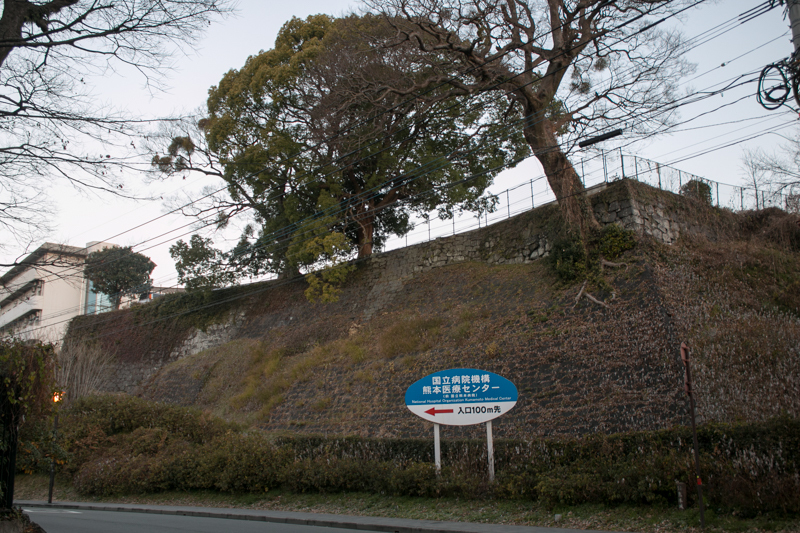 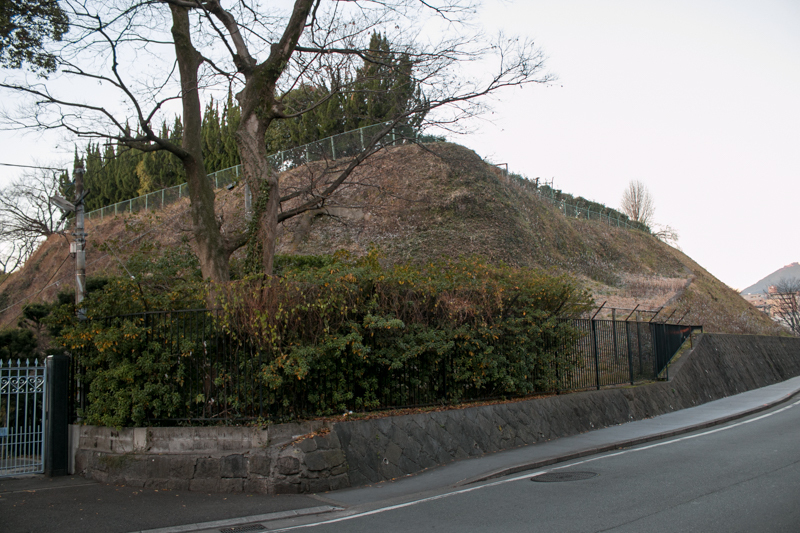 This height is a gentle slope toward westward, thus Kumamoto castle has its critical part at east edge of the hill and faces its combat front toward westward. 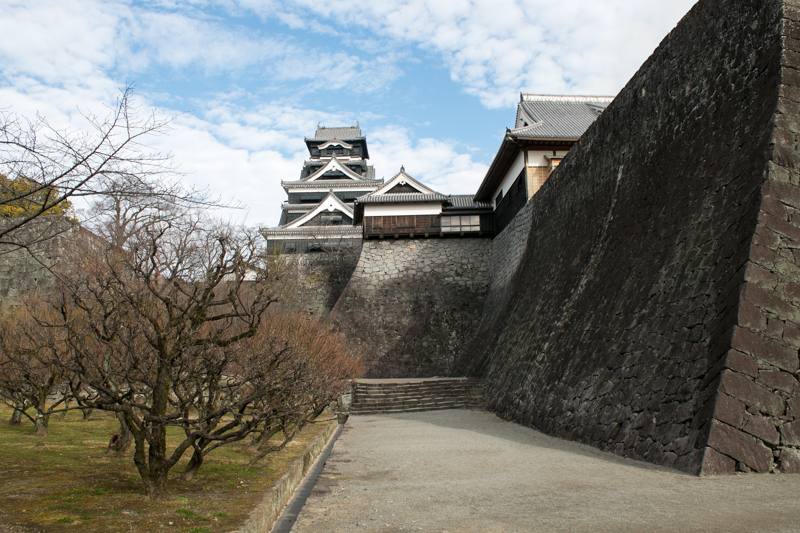 The core area of the castle is about 400 meter long and 300 meter wide size and occupied east edge of the height. 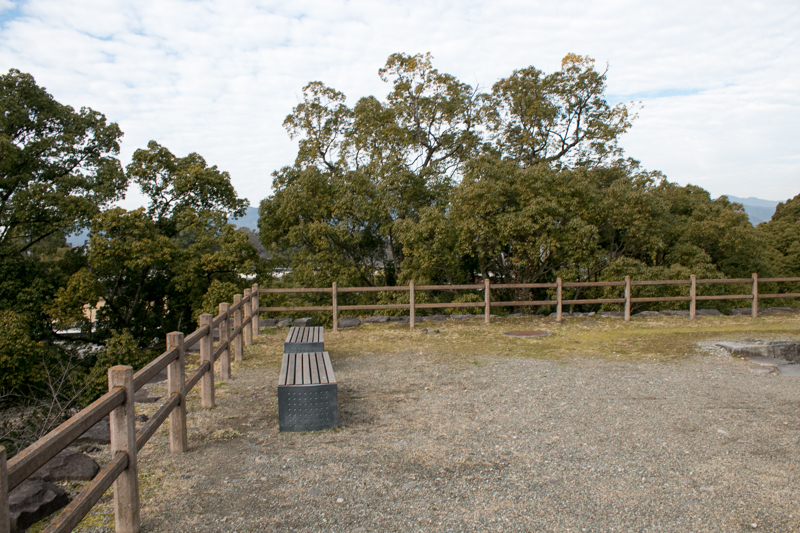 This part consist of several terraces such as Honmaru area (central area), Heizaemonmaru area, Sukiyamaru area, Iidamaru area or Takenomaru area. 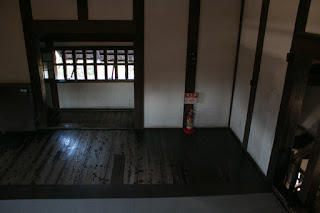 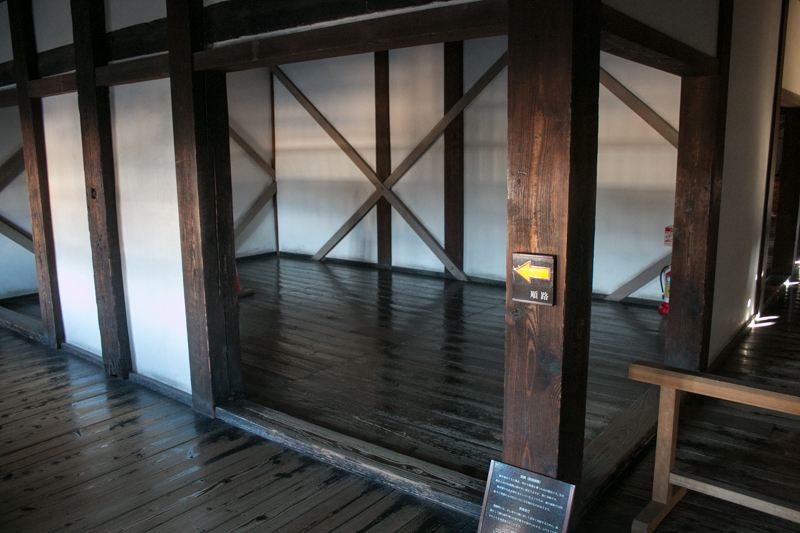 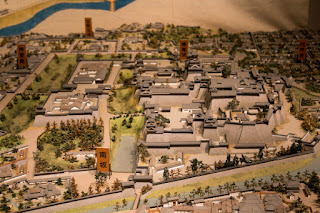 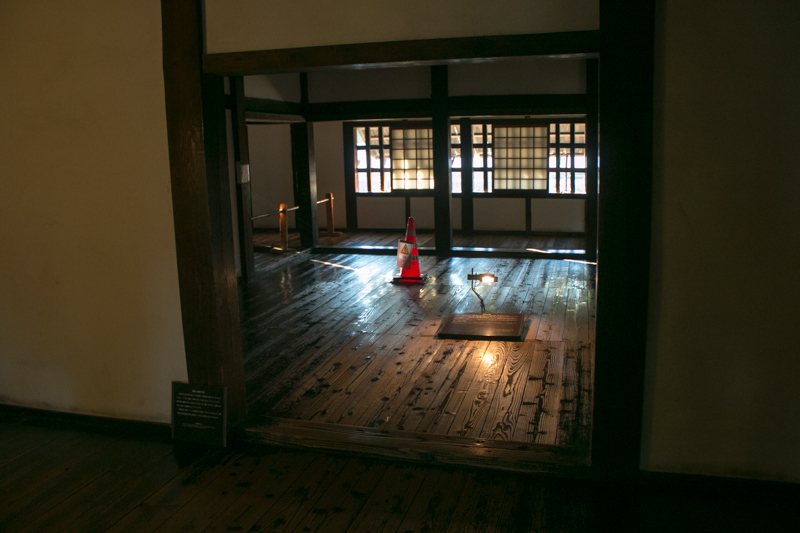 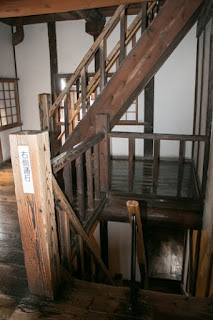 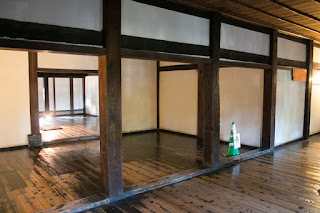 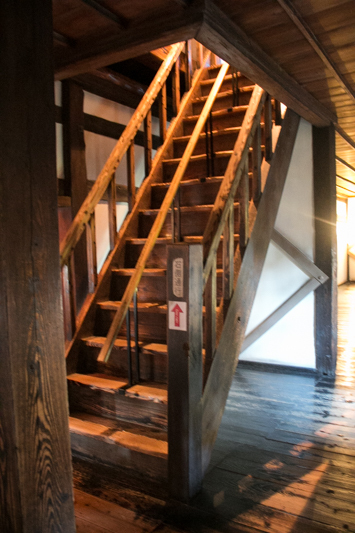 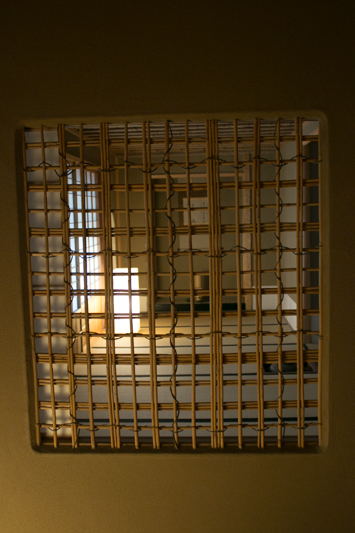 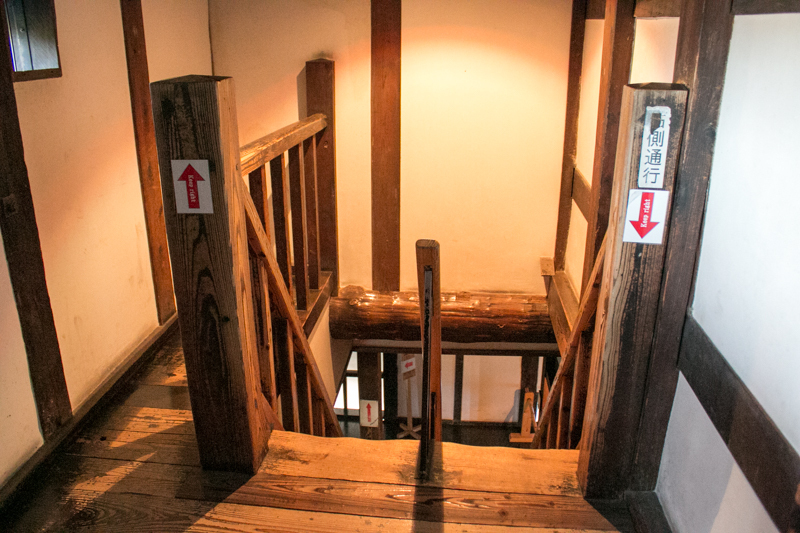 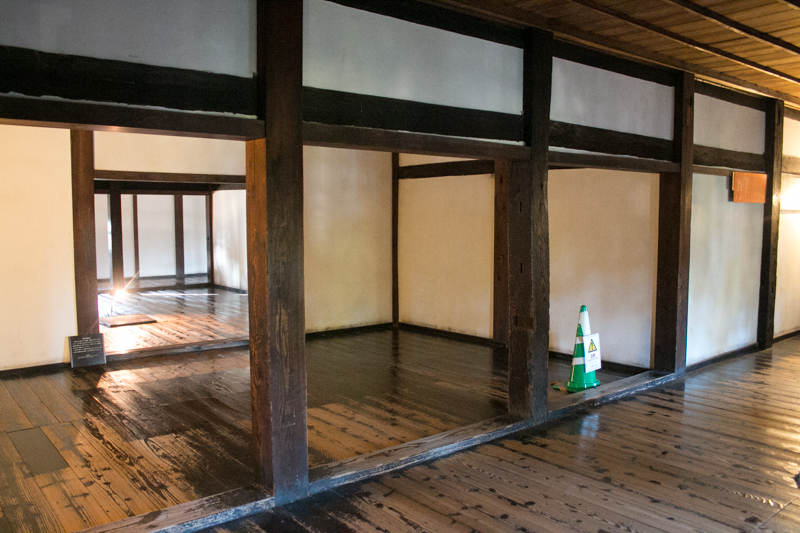 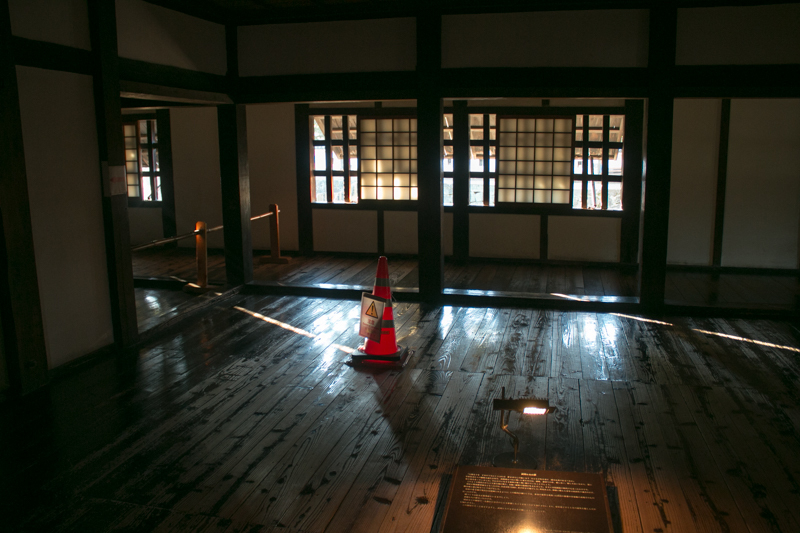 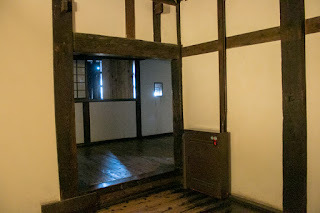 Honmaru is the most important area at the highest place and had a five story six floor main tower (with one ground floor) and three story four floow attached tower (also with one ground floor). 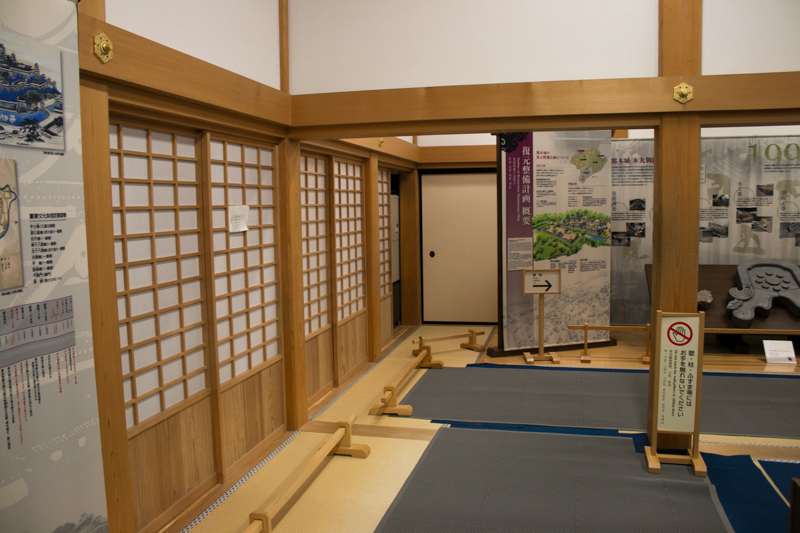 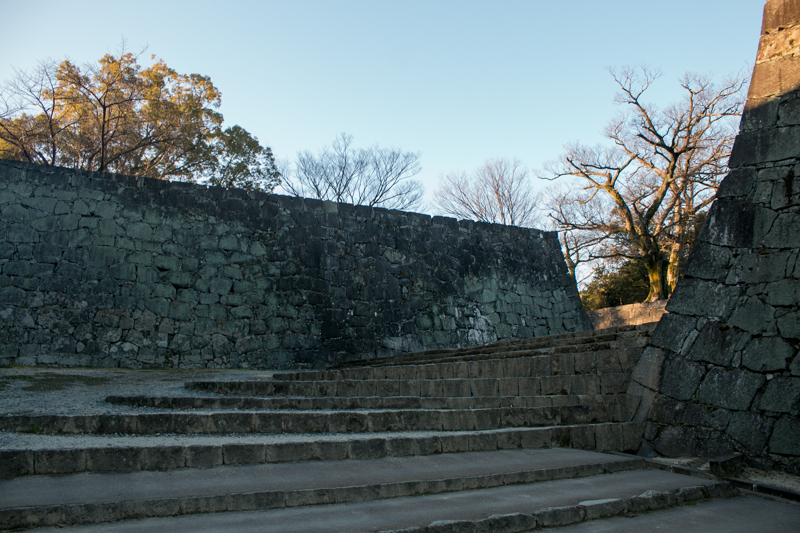 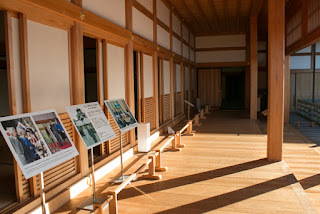 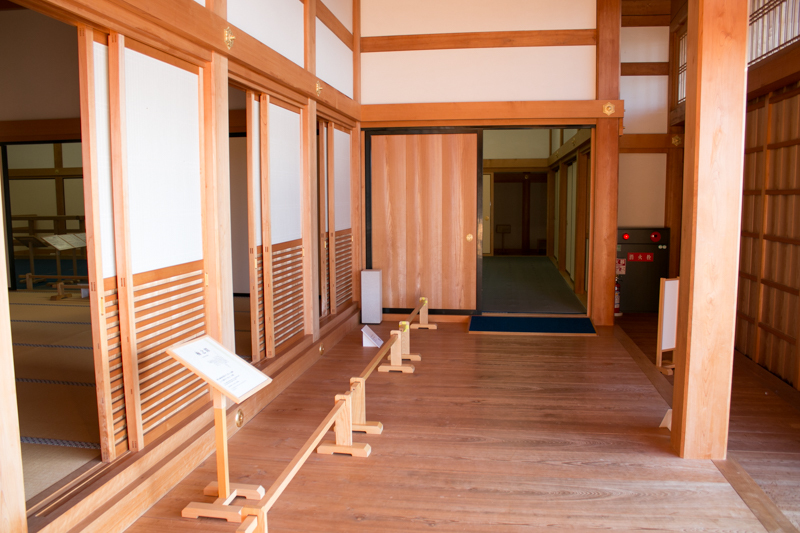 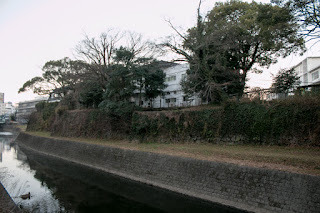 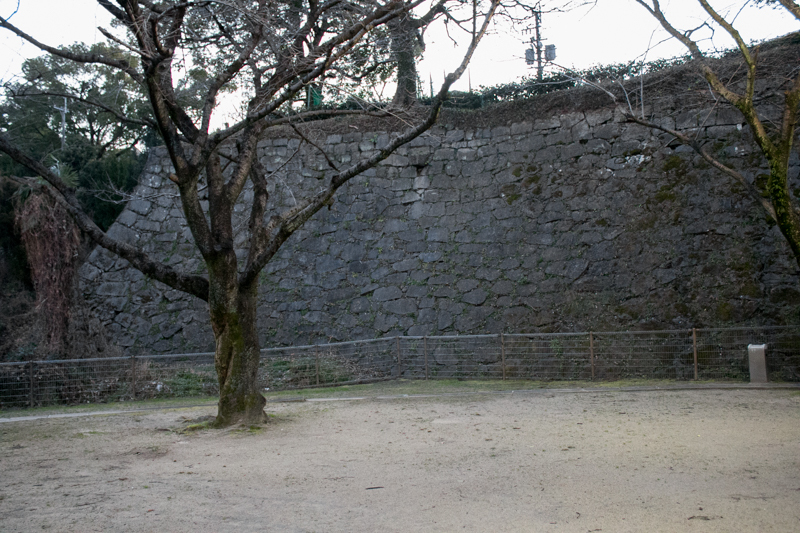 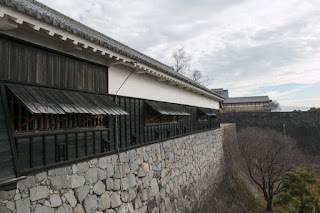 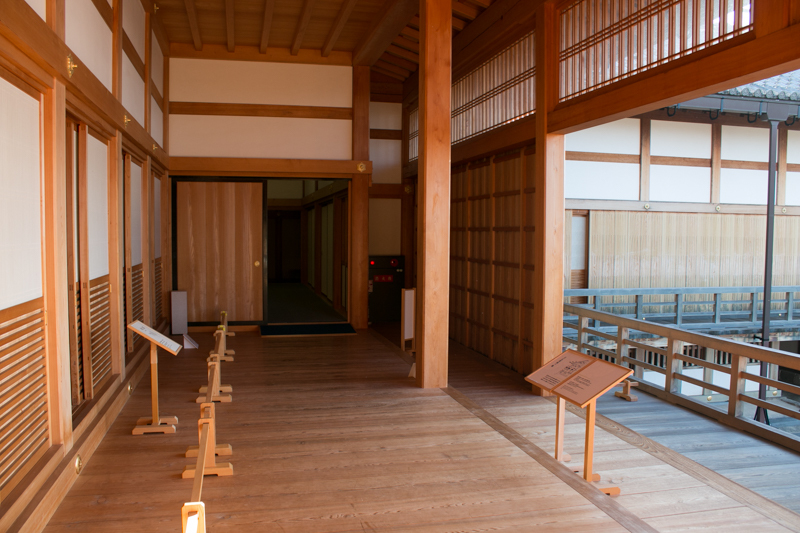 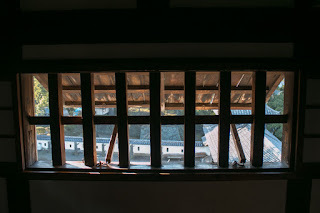 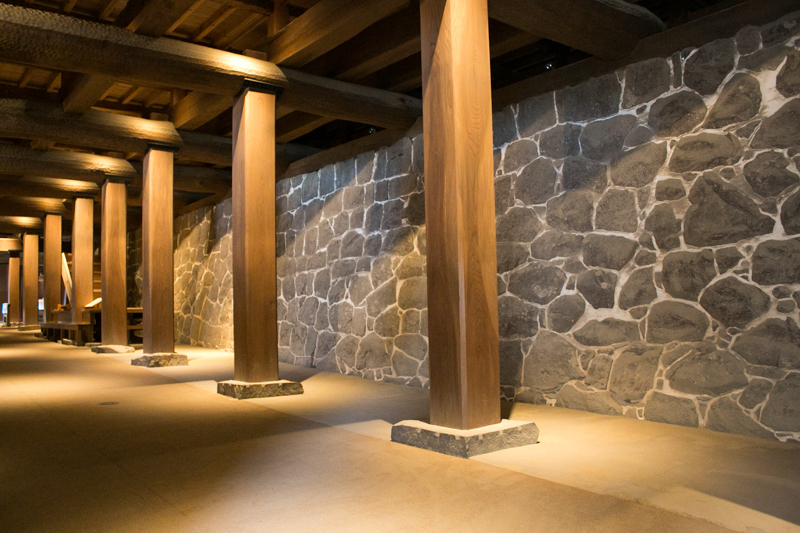 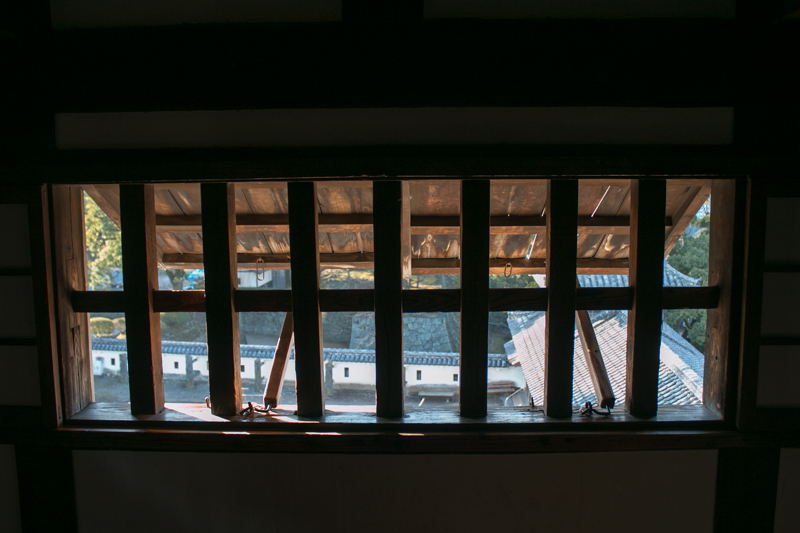 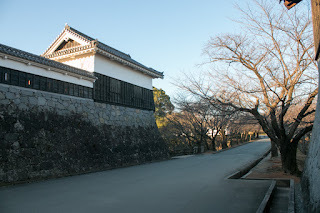 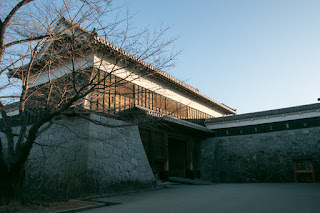 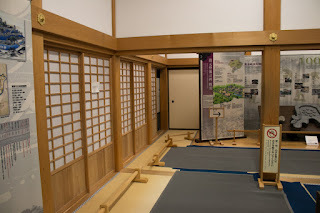 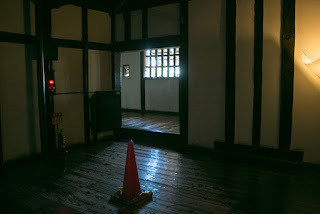 Honmaru palace was also built in Honmaru area, but due to the size limitation building of the palace covered stone walls of the area and visitors had to pass the ground floor of the palace to enter the central area. 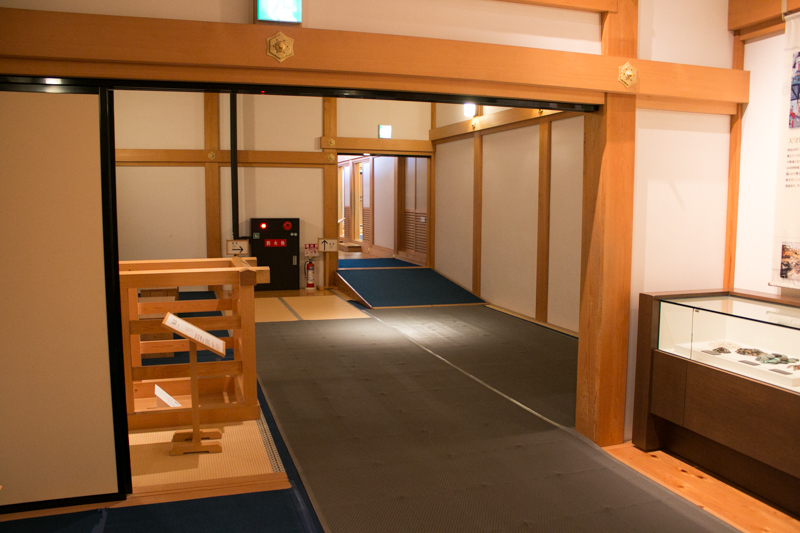 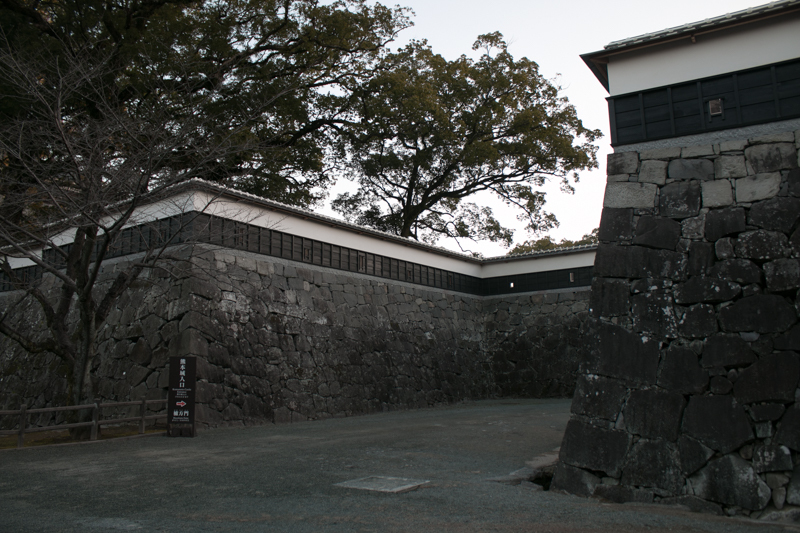 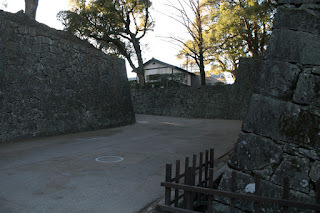 Other areas locate just below the Honmaru area, and guarded gates to Honmaru area. 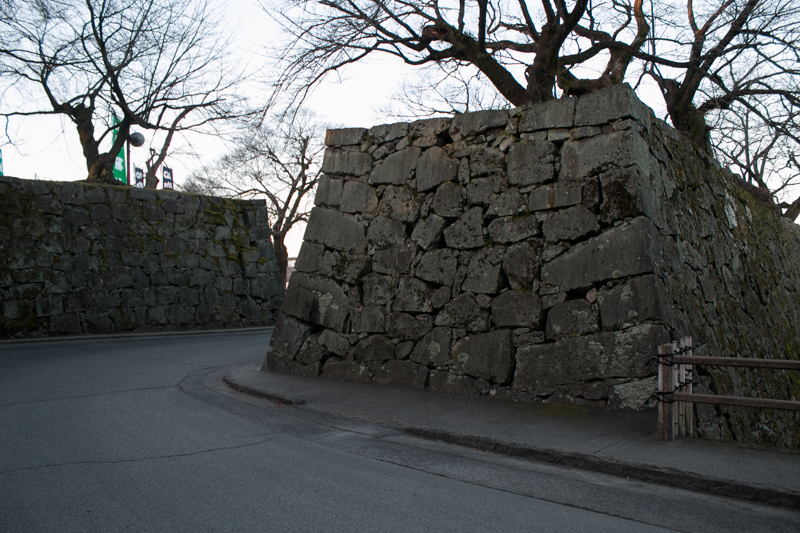 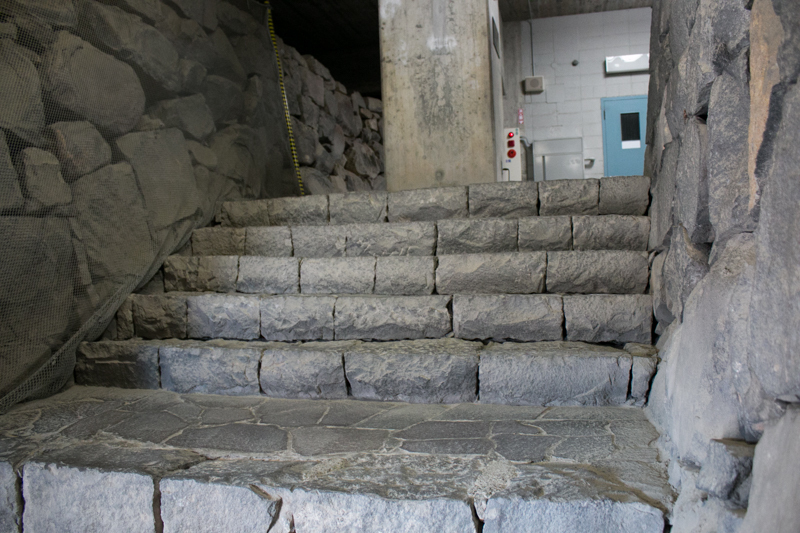 These areas are protected by tall and sheer stone walls. 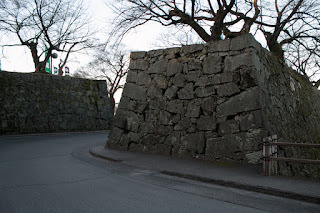 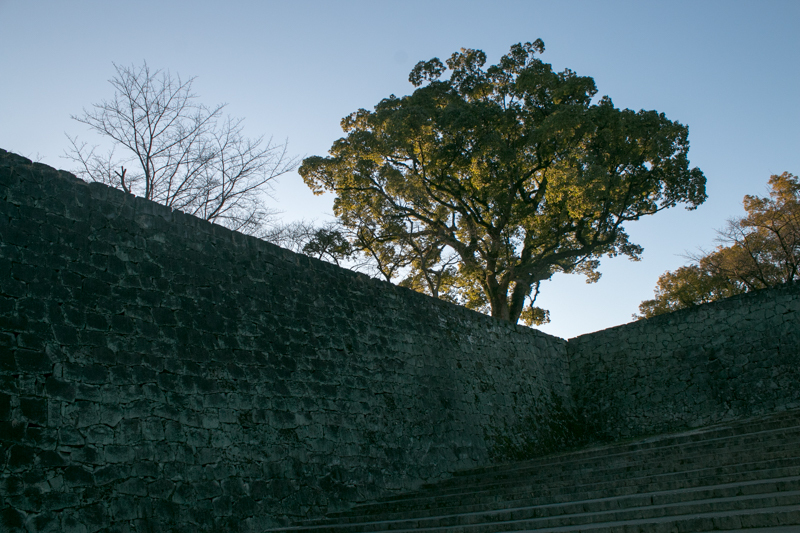 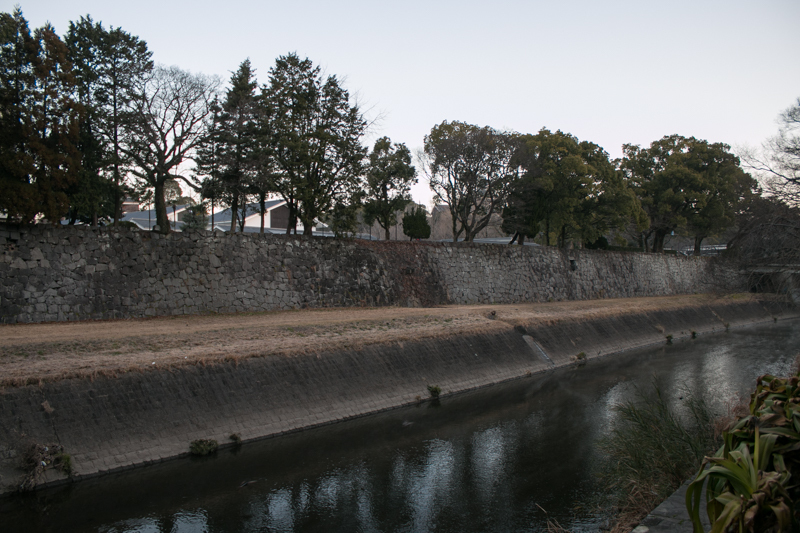 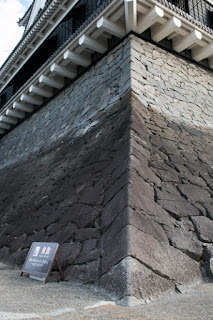 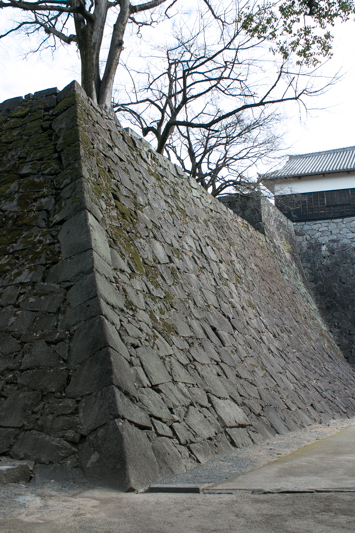 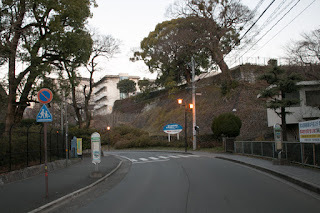 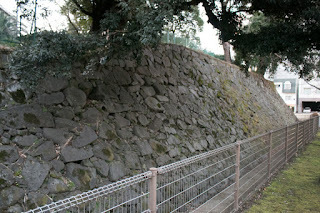 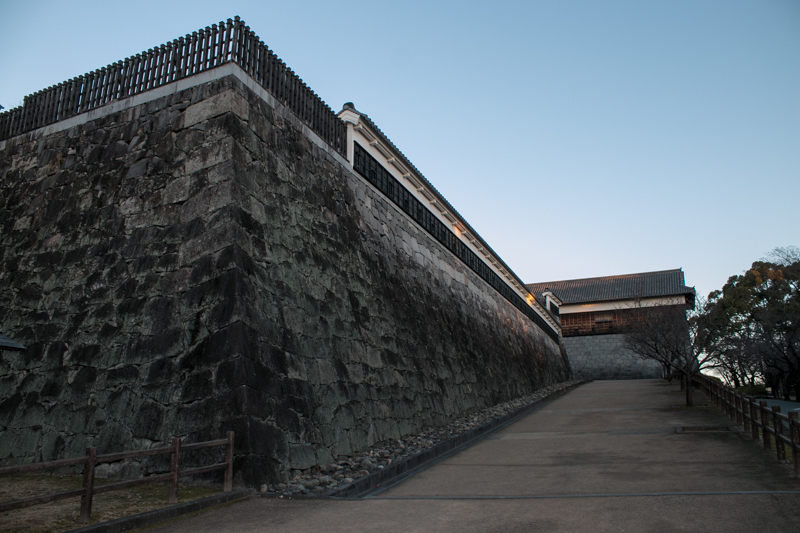 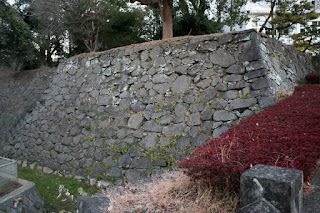 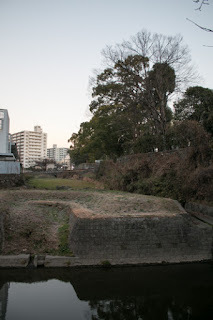 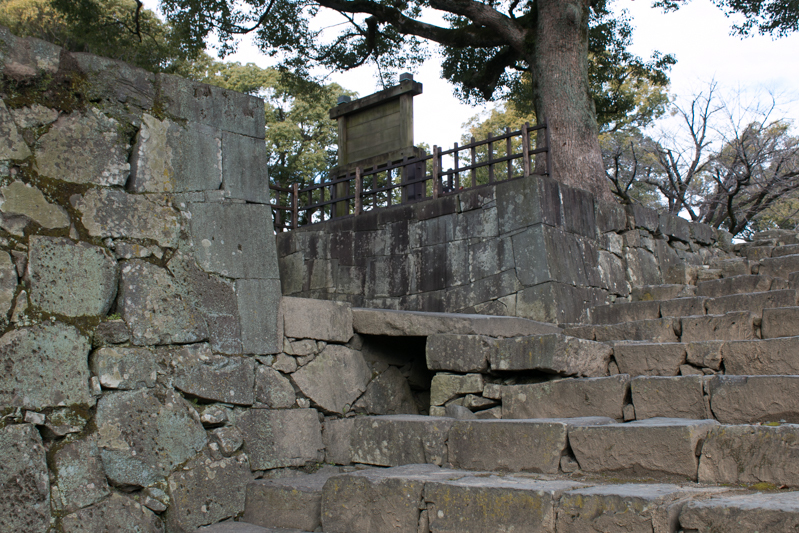 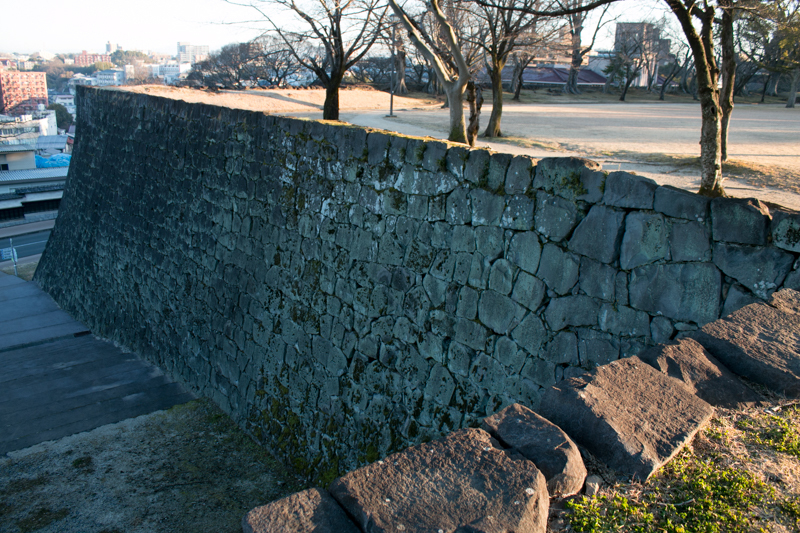 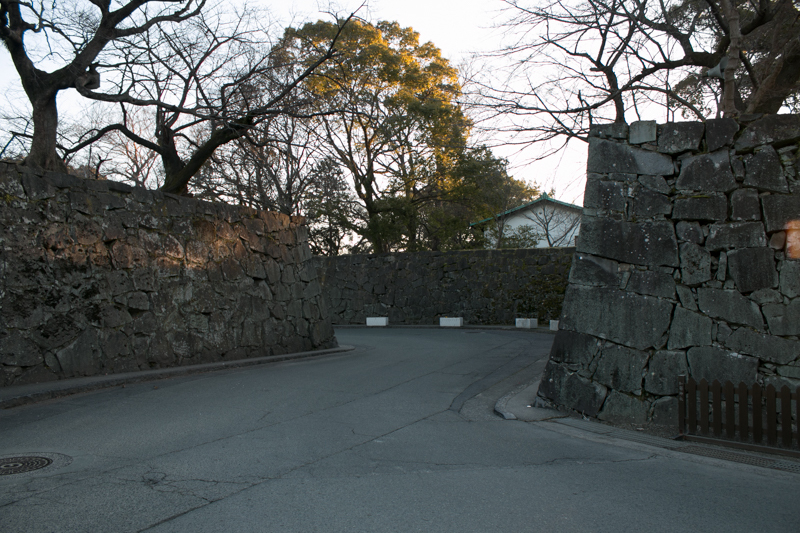 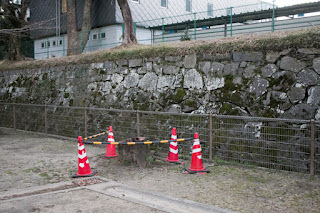 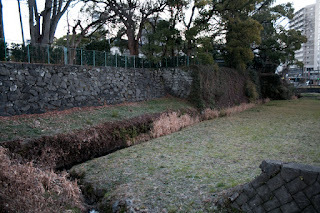 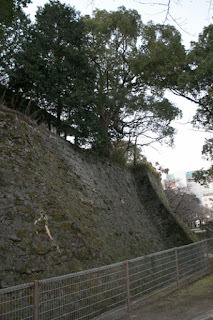 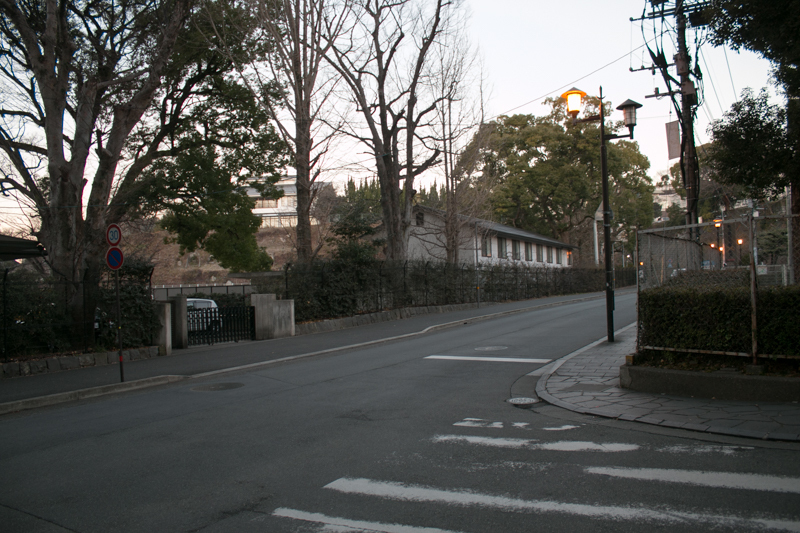 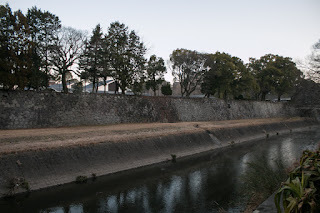 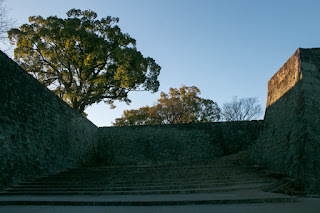 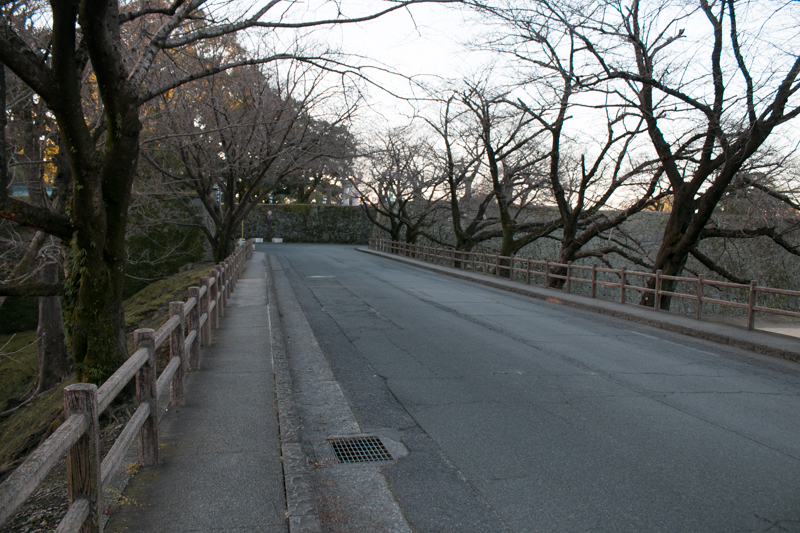 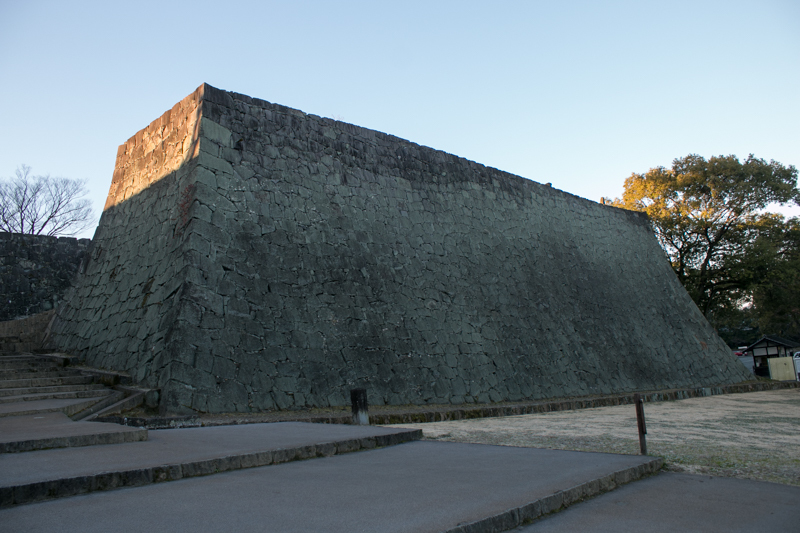 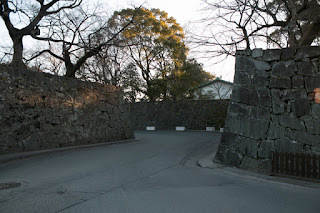 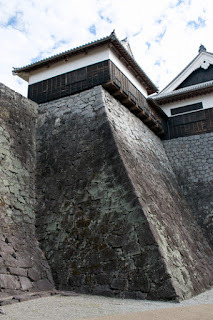 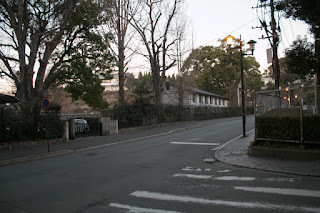 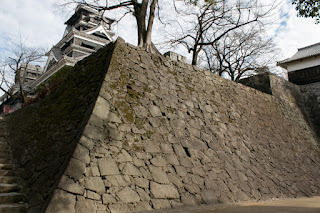 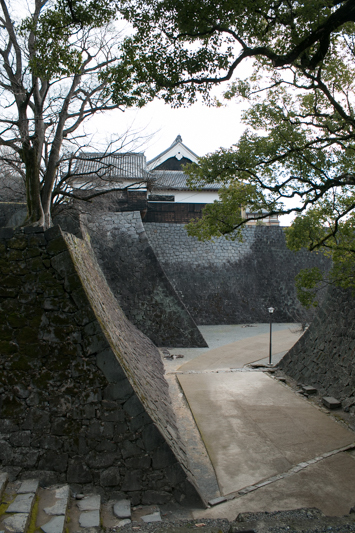 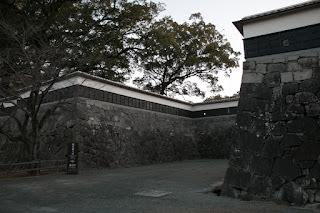 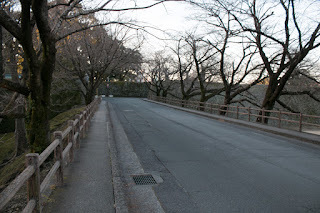 Especially south side and east side which was the backside of the castle and directly faced the outer area, thus roads from these side to Honmaru area were complexly folded and protected by tall stone walls. Today even though without building we feel as if it is the bottom of deep valley when we climb up these paths, and formerly it might be felt more suppressed to be watched by turrets over the stone walls. These area also had five story corner turrets at important corners. These five story turrets were larger than main tower of normal castle and were built to watch and aim at the enemy from distant area. 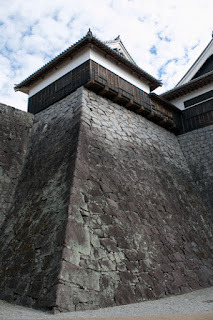 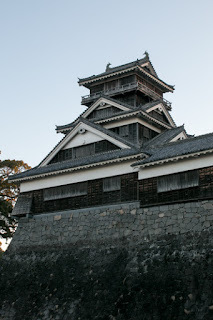 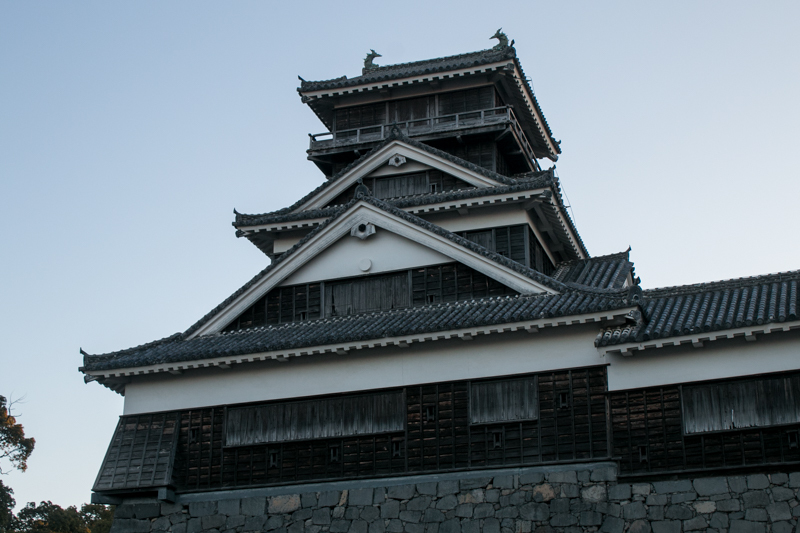 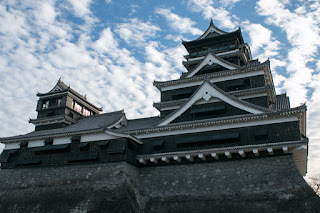 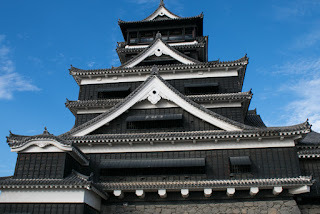 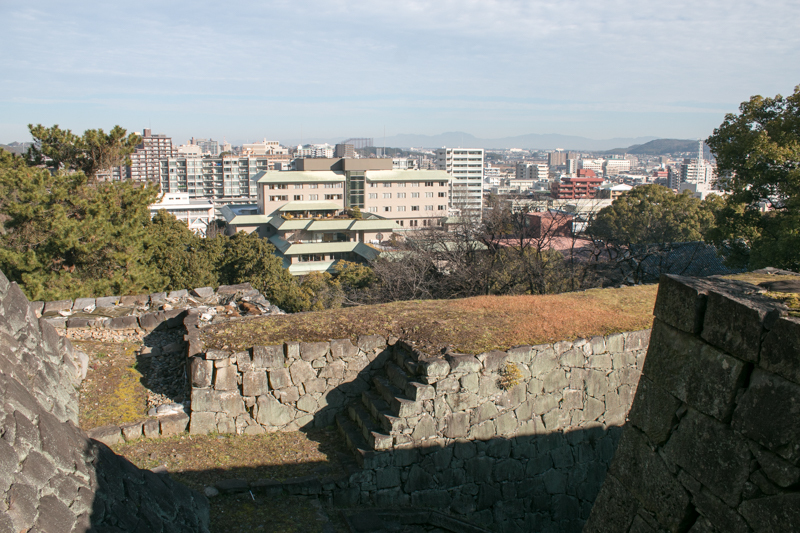 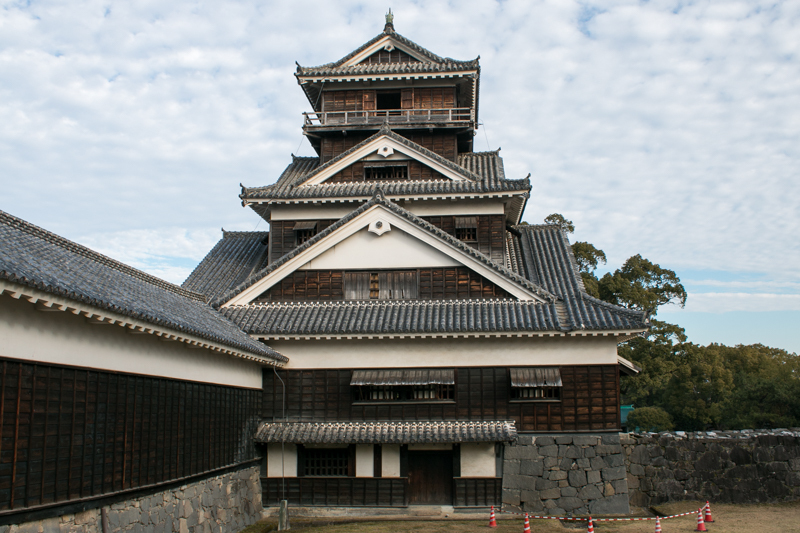 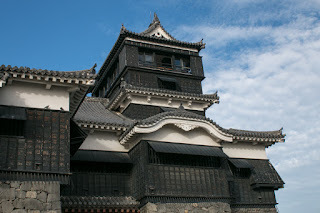 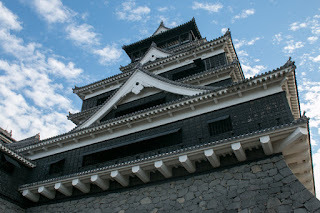 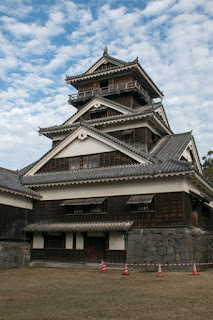 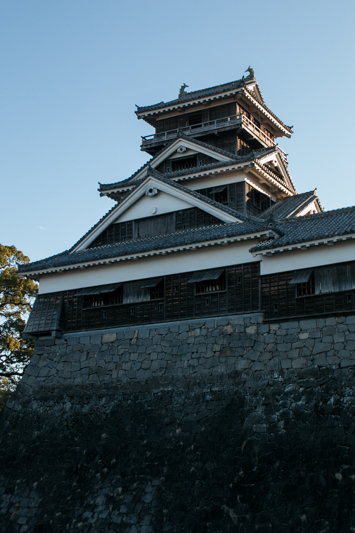 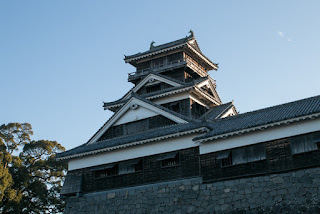 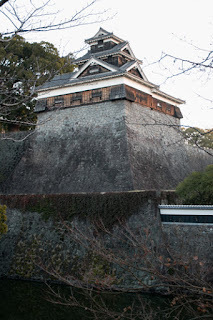 Only Kumamoto castle had these five story turrets. and also had five such turrets. 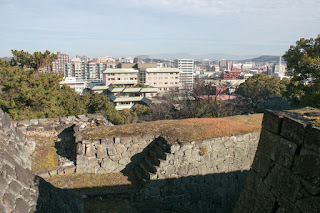 Even though losing many building, the view of core area consist of forest of tall buildings and complexly folded sheer stone walls is magnificent, and original view of the castle might be more spectacular. 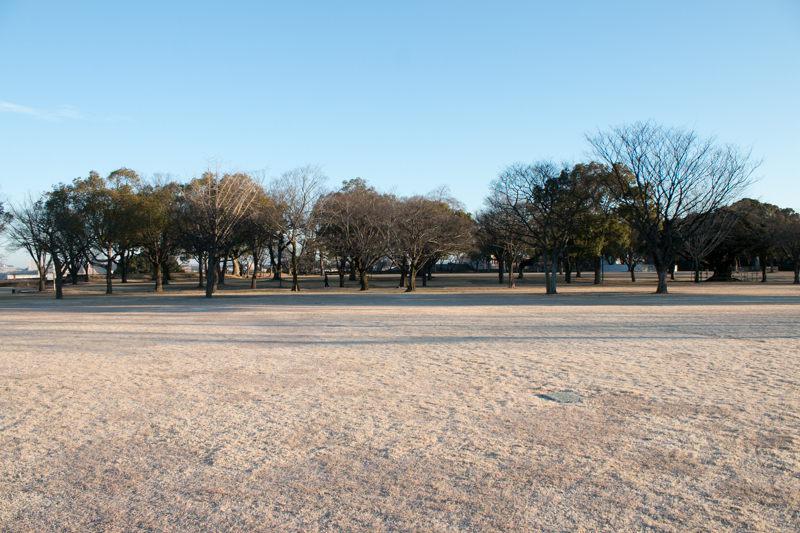 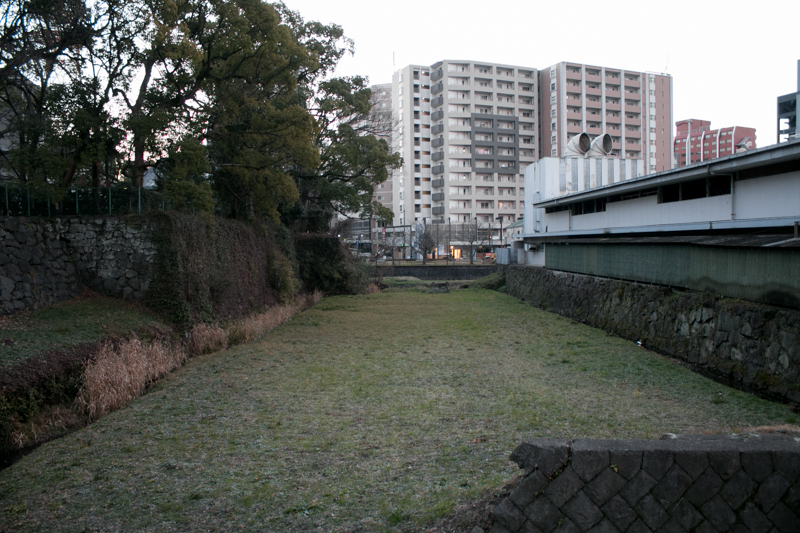 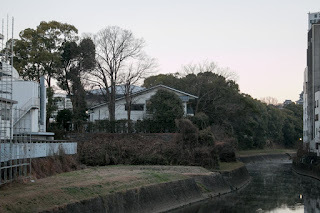 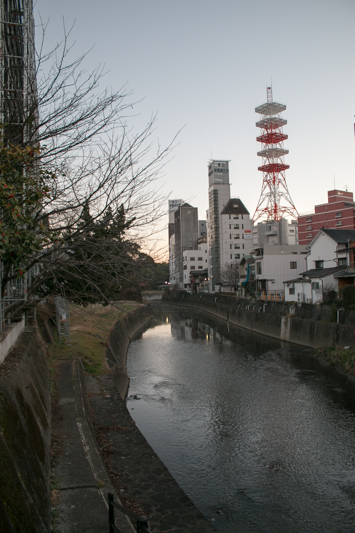 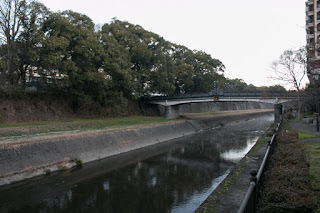 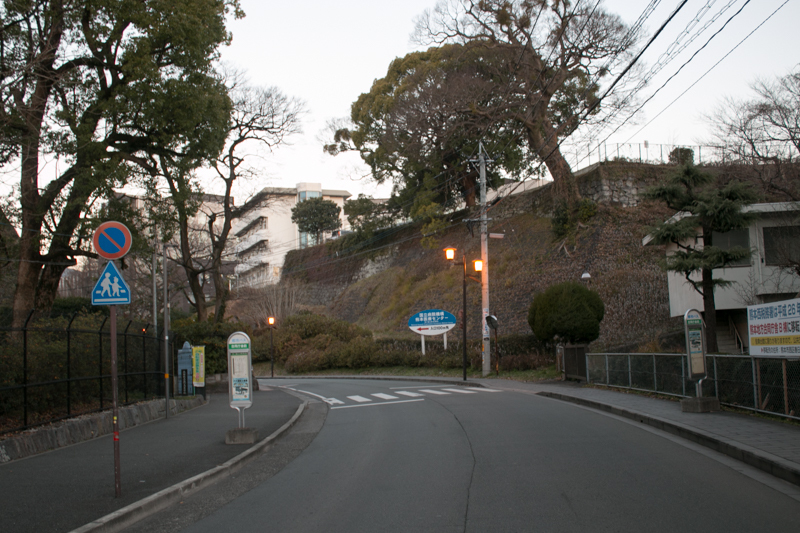 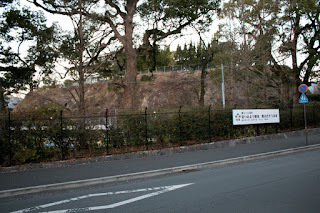 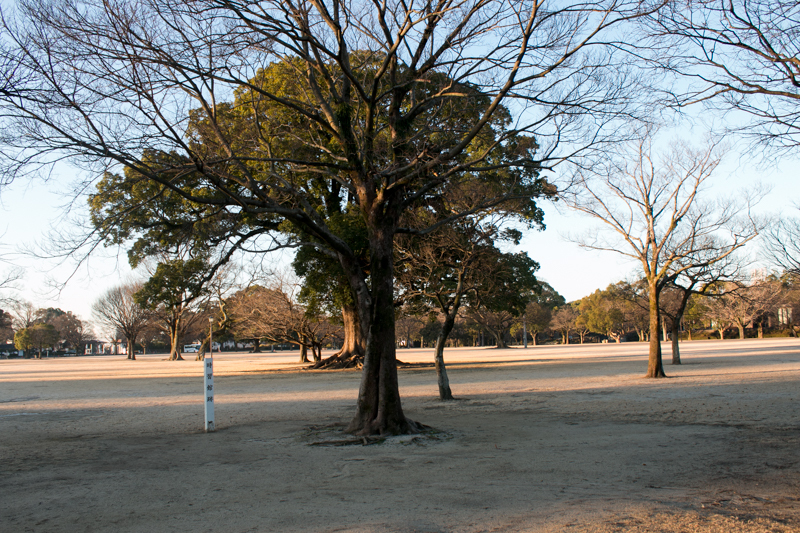 At the west side of core areas, there are buffer areas named NIshidemaru and Bugyomaru area. 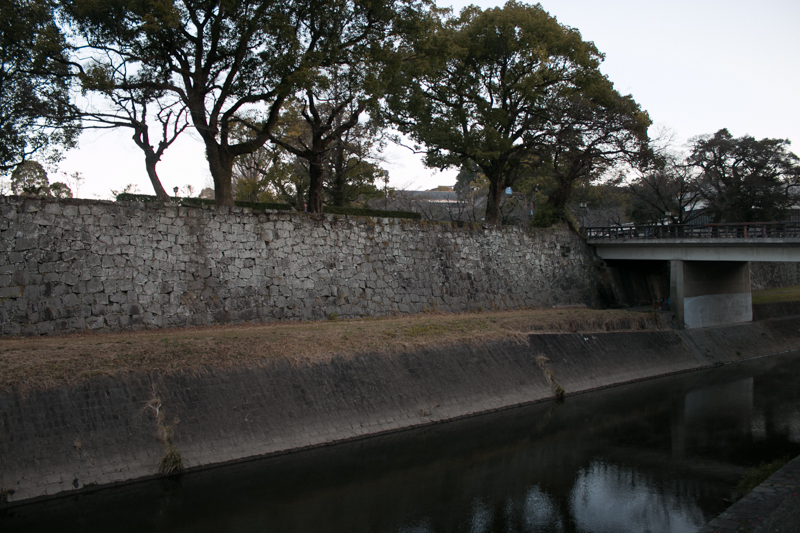 These areas had a wide dry moat in front of them, and were built to work as a front fort at the time of castle siege. 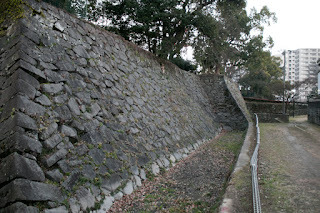 It might be thought that these front forts stand the attack of enemy from Ninomaru area at the westward, and when the enemy tired counter attack force left backside of the castle round the height and attack the enemy from backside and slash the enemy as sledgehammer, using these front areas as anvil. 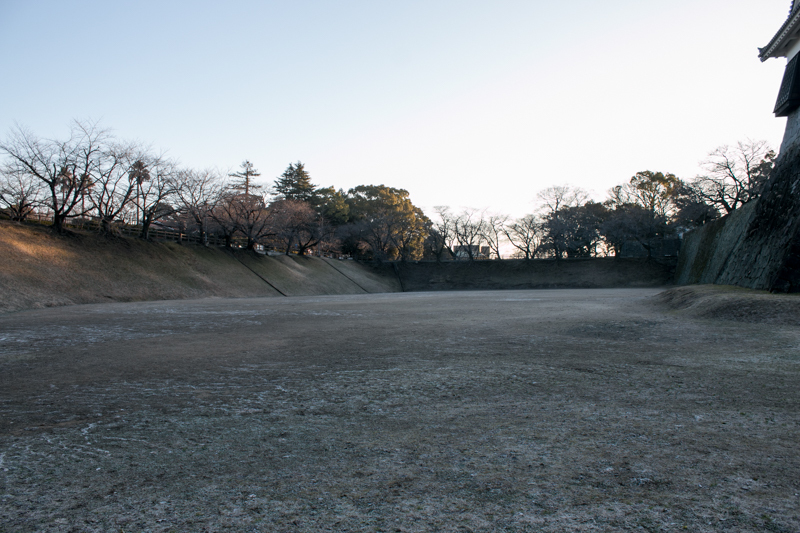 West half of the height might be originally thought as a battle area as above, but were later used as a place of residence of high class retainers or domain school. 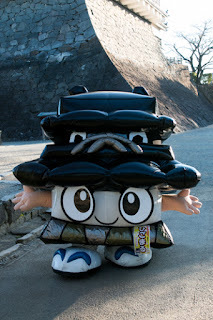 As a matter the size of the castle, Edo castle or Osaka castle are larger than Kumamoto castle. 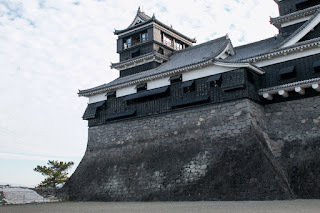 Surely these two castles were also protected by sheer stone walls and tall buildings, but they were also administrative base of the goverment thus they had to have large flat space, and also had to avoid too much military atmosphere. On the other hand, Kumamoto castle was built by a lord solely for military purpose, and fully consistent with its tactics. 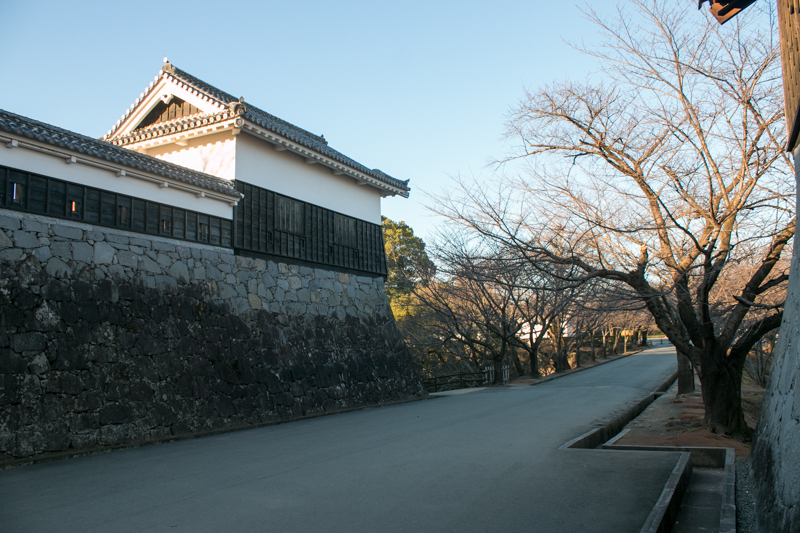 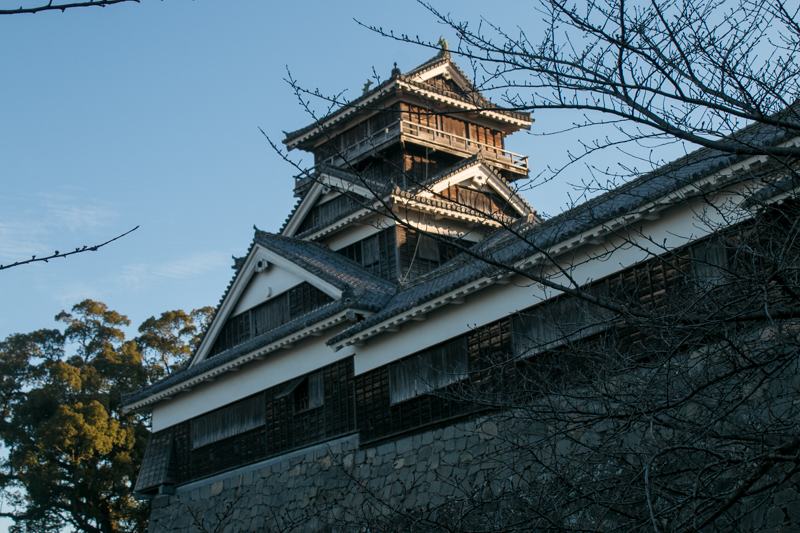 Later Kumaoto castle certified its security over 250 years after its construction. 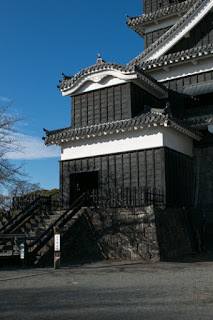 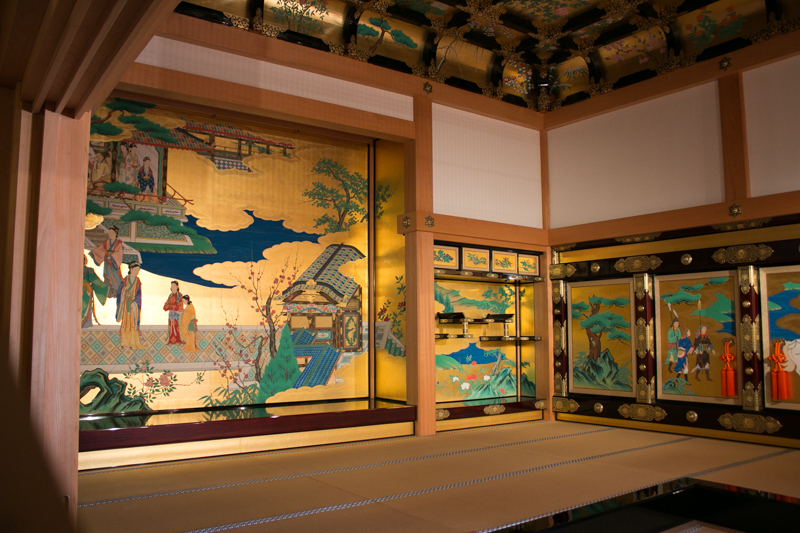 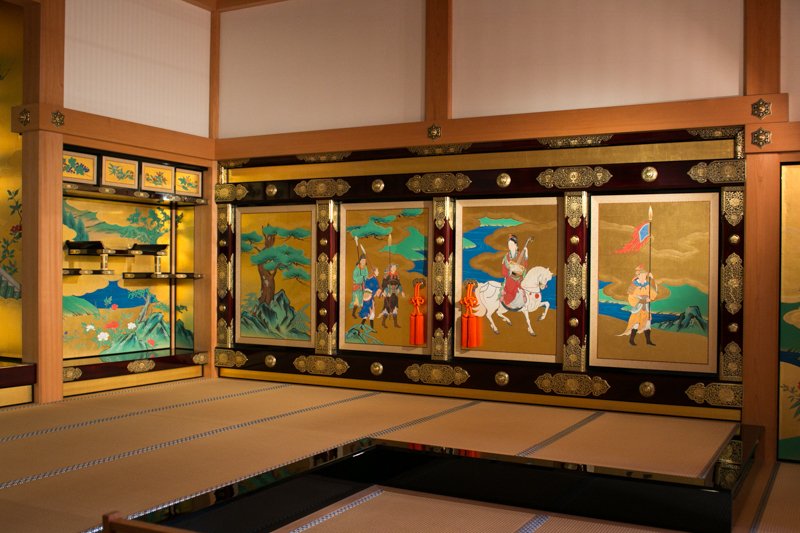 Kiyomasa tried every effort to protect Hideyori Toyotomi, the son of former master, and in 1611 he coordinated the meeting of Ieyasu Tokugawa and Hideyori Toyotomi at Nijyo castle (Kyoto prefecture). 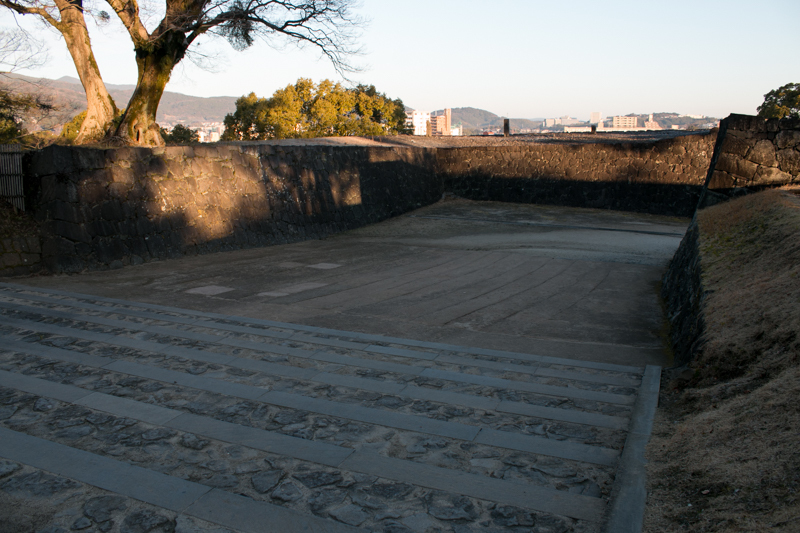 After the meeting Ieyasu and Hideyori temporally seemed compromised, but in 1611 Kiyomasa suddenly died. 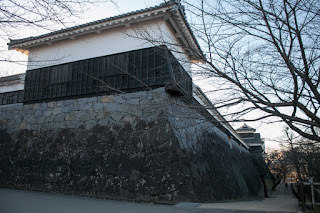 The cause of the death is said as ill, but it is also said that this was an assassination of Ieyasu who wanted to remove the obstacle to ruin Hideyoshi Toyotomi. 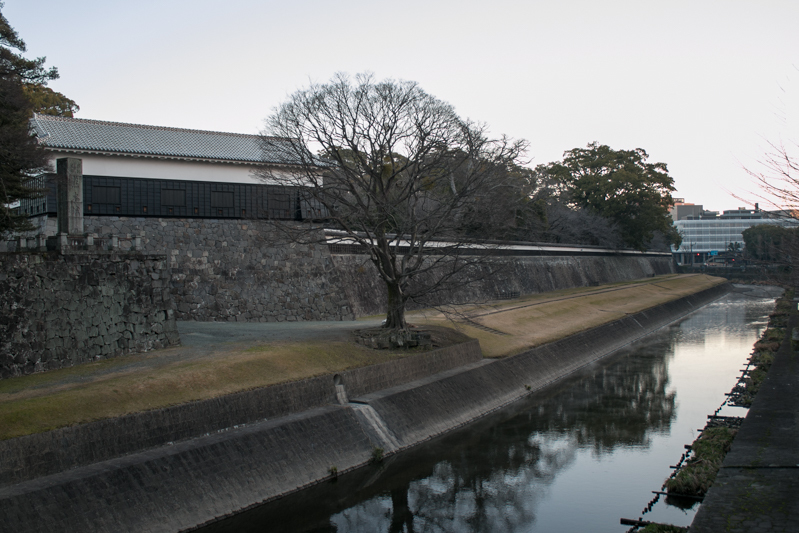 As a result, in 1615, Ieyasu sieged Hideyori Toyotomi at Osaka castle and ruined Toyotomi clan, just four years after the death of Hideyoshi. After the death of Kiyomasa, his son Tadahiro Kato (1601-1653) succeeded the leader position. 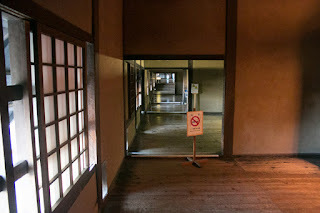 Kato clan barely escaped the crisis of discontinuation but Tadahiro could not control important retainers well and invoked confusion. 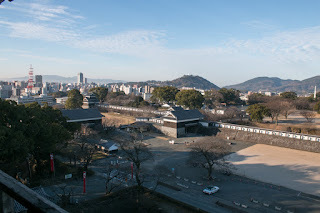 Build and maintenance of huge Kumamoto castle and branch castles was a burden for Higo Domain, and Tadanaga was close to Tadanaga Tokugawa (1606-1634), younger brother of third Shogun Iemitsu Tokugawa (1604-1651) but who lost the competition of Shogun position and later was forced to die. Originally Kato clan was watched by Shogunate due to its closeness to Toyotomi clan, and finally Kato clan was expelled due to internal confusion in 16xx. 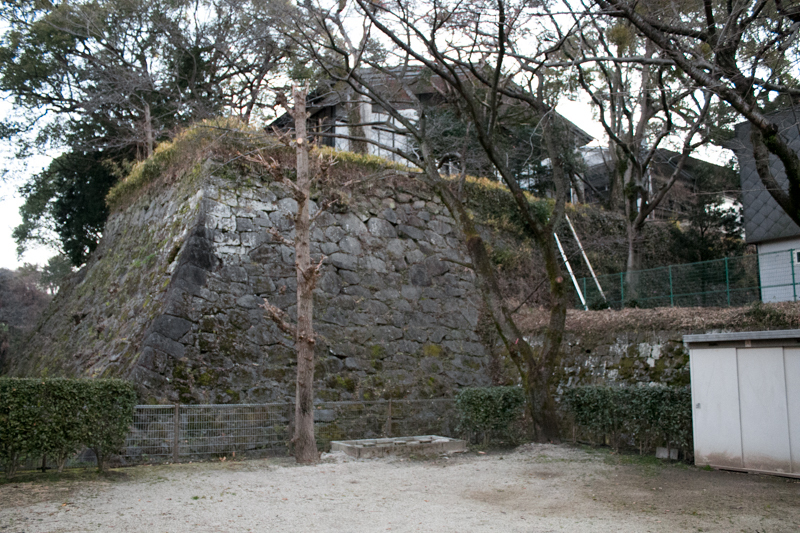 After the leave of Kato clan, Tadaoki Hosokawa (1563-1646) moved from Kokura castle (Fukuoka prefecture) and became the lord of Higo domain. 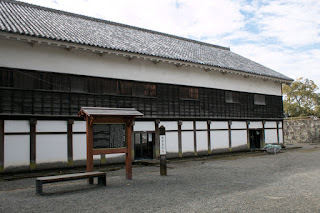 Hosokwa clan was originally a branch family of high class retainer of Muromachi Shogunate, and Fujitaka Hosokawa (1534-1610), father of Tadaoki, served to Nobunaga Oda and Hideyoshi Toyotomi then survived difficult situation and promoted to a large lord. 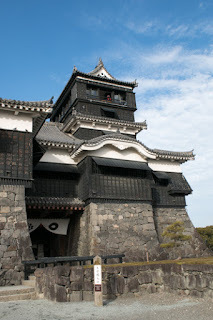 Hosokawa clan further reformed Kumamoto castle, and kept the castle and domain without significant trouble by the end of Edo era.